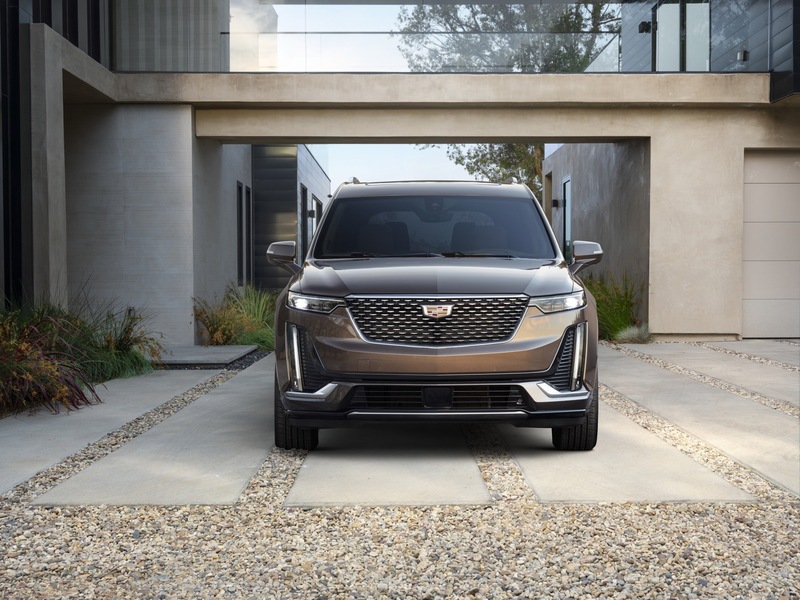 General Motors president and chief of global product development Mark Reuss says the Cadillac XT6 represents a new direction for Cadillac that is more aware of what its buyers want. 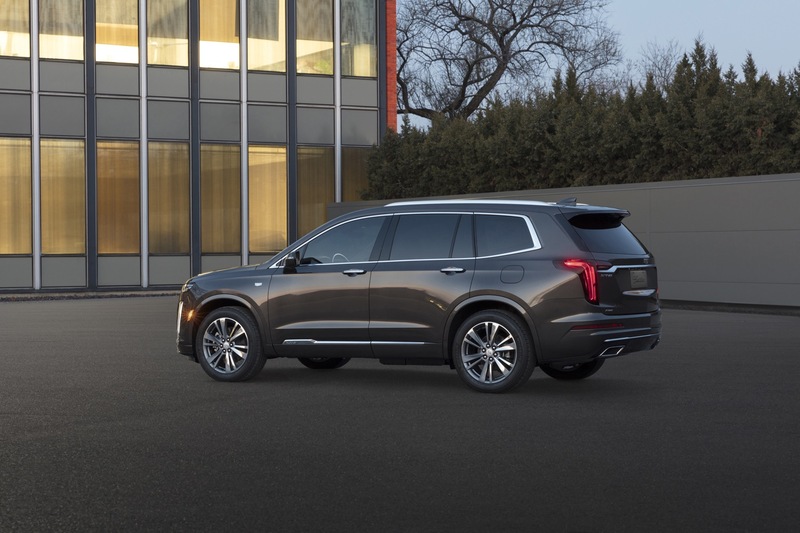 In an interview with The Detroit Free Press, Reuss explained that the XT6 is the first Cadillac that represents the new look and feel of the brand, along with its new desired pricing and model positioning. 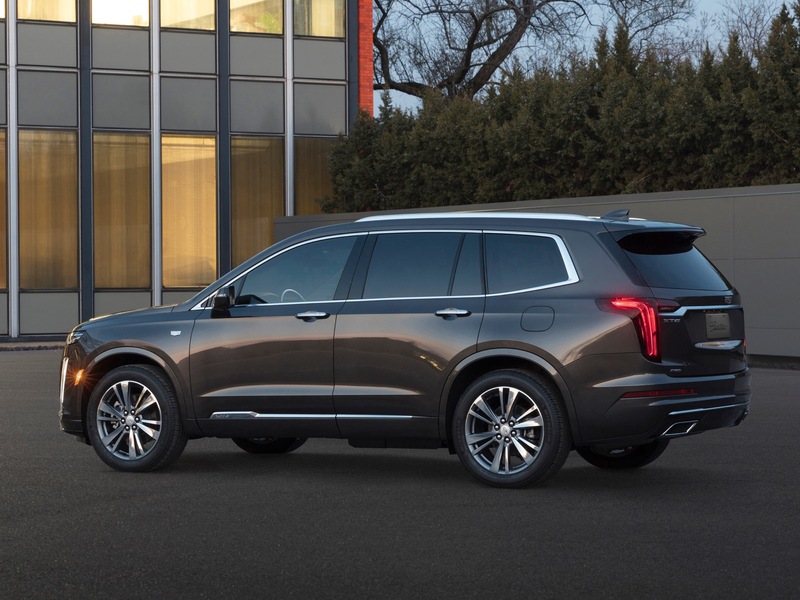 The XT6 is based on GM’s C1 platform, which is also shared with the GMC Acadia, Chevrolet Traverse and Buick Enclave, not one of Cadillac’s more premium, rear-wheel drive based platforms such as Alpha or Omega. 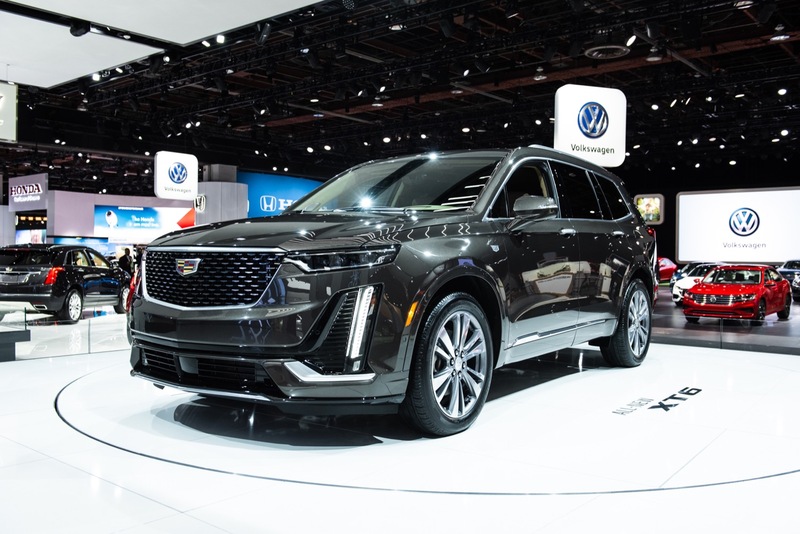 It seems to represent a more price-conscious offering from Cadillac and is a sign of a change at the brand as it explores new vehicle sizes for various segments. 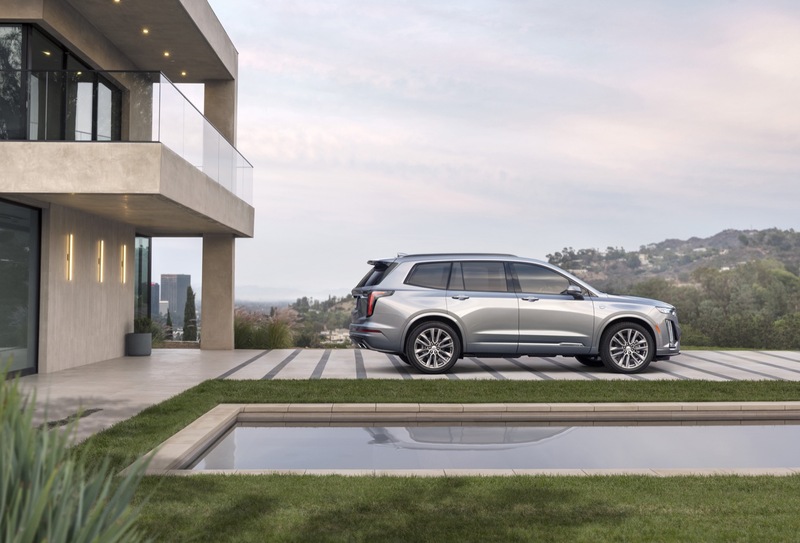 Reuss is confident the Cadillac XT6 can win over buyers despite the strategy and is betting on the more youthful design to carry the crossover to success. 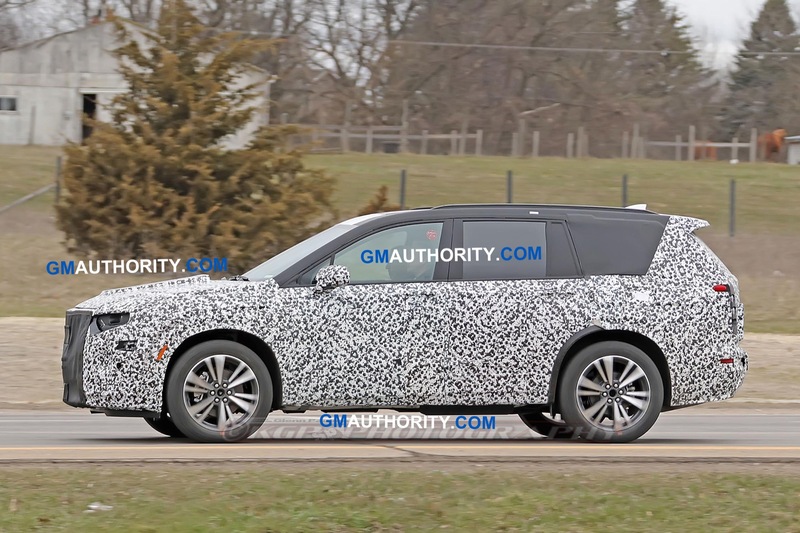 He also emphasized the car’s ability to be a great companion for being an every day driver. 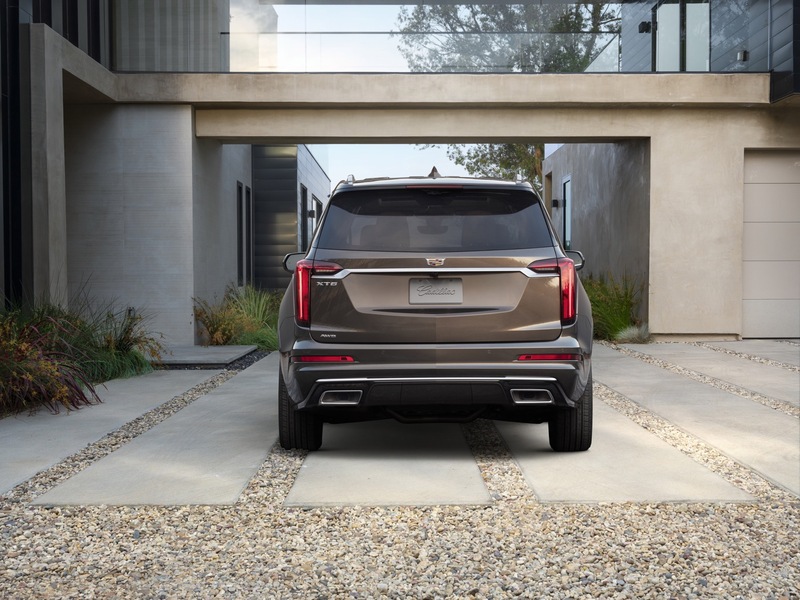 “A Cadillac needs to be a vehicle you look forward to driving every day,” he added. 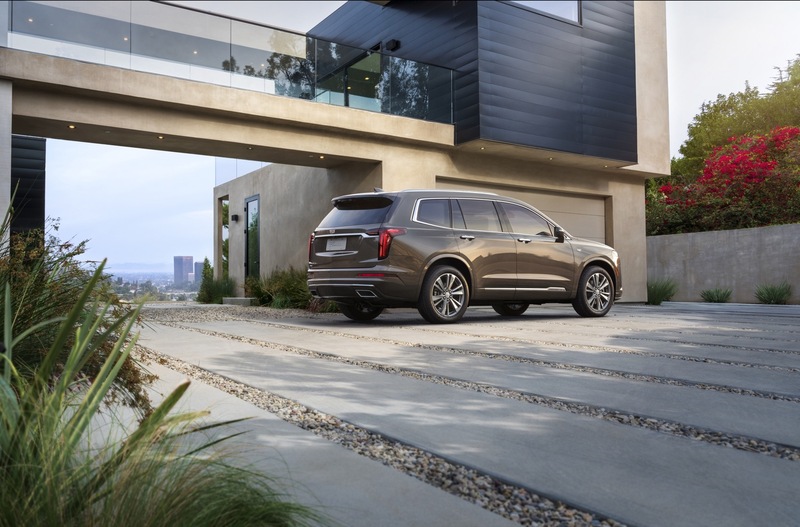 The Cadillac XT6 comes with GM’s 310 hp 3.6-liter V6 engine and nine-speed automatic transmission, which sends power to all wheels through the automaker’s twin clutch all-wheel drive system. 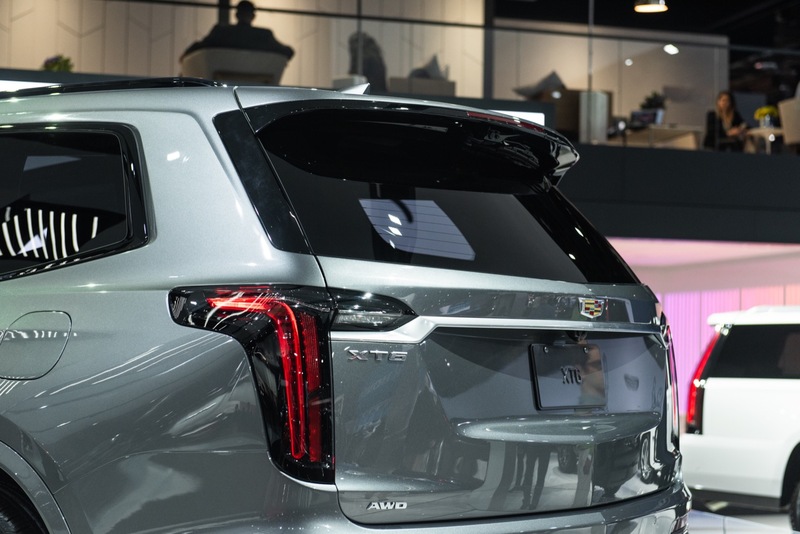 Pricing has yet to be announced, but it’s likely that prices will start somewhere between the $40,000 XT4 and $75,00 Escalade. 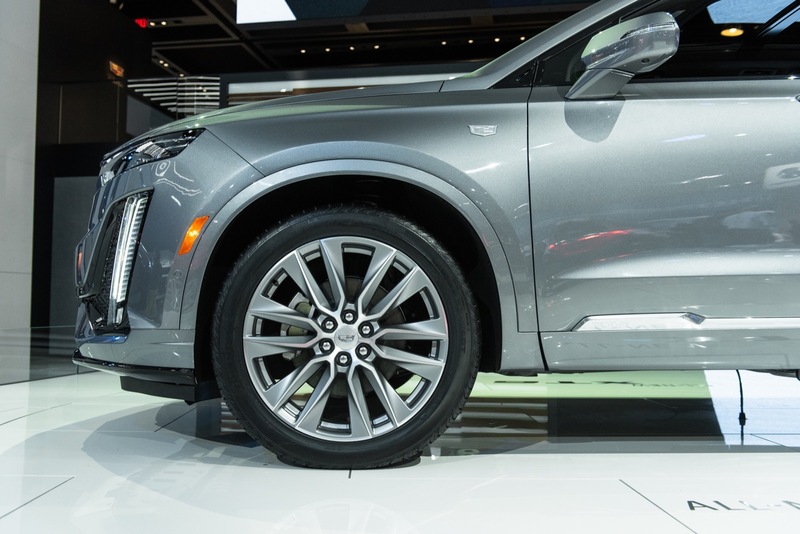 Dealers will begin accepting orders for the three-row crossover this spring. 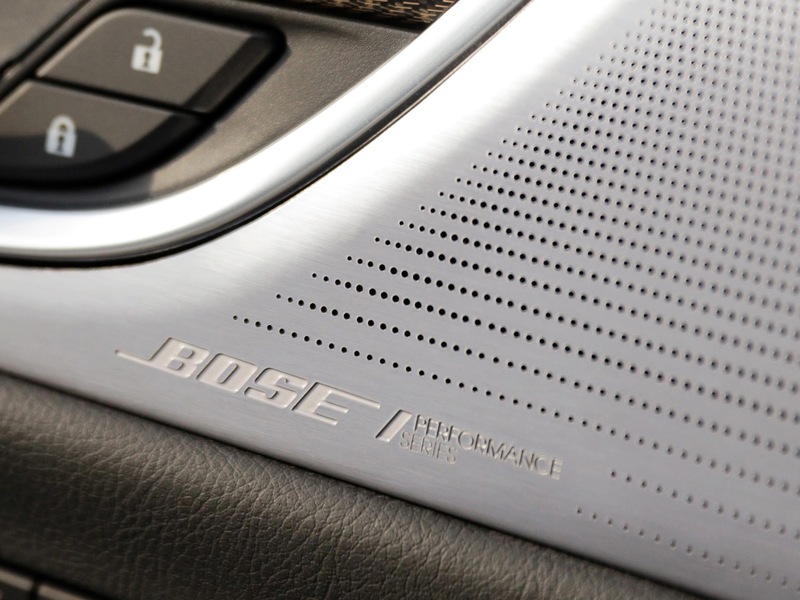 Priced to customer expectations, executed above customer expectations. What will probably happen: Priced to customer expectations, executed to customer expectations. 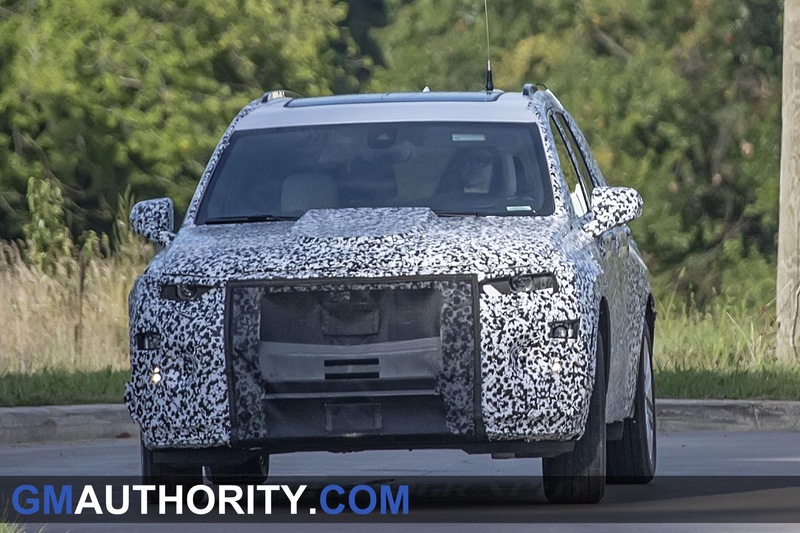 The fact that Reuss is touting the XT6 as the future of Cadillac is extremely troubling. 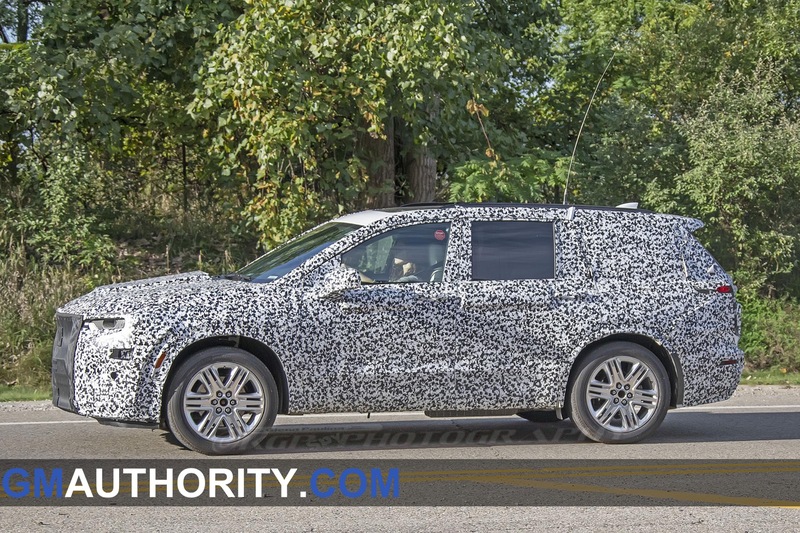 If every upcoming Cadillac is done like that, they won’t stand a chance. The ZB Commodore, Reuss’s Choice for “what Aussie buyers want”, except they didn’t buy any at all. 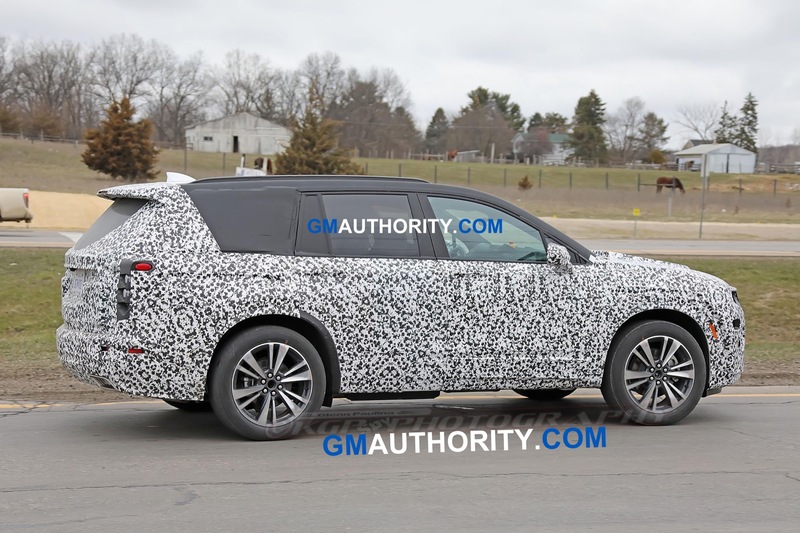 I wish it looked more like the escalade or even the new XT4 vs the XT5 . 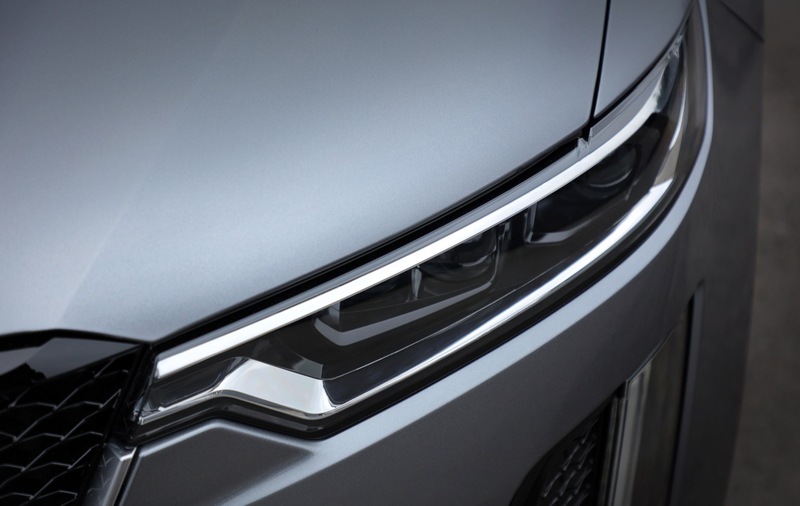 ( headlights and rear ). 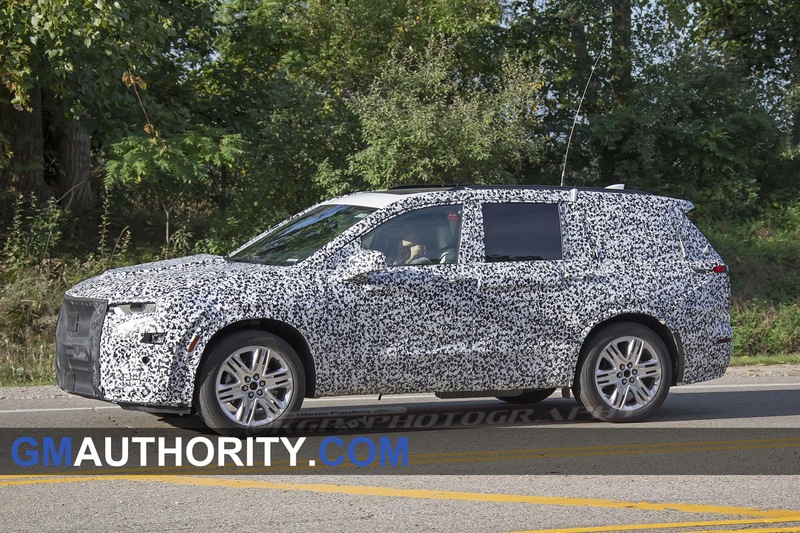 XT6 may be a fine looking CUV – but there’s nothing Cadillac under its skin. 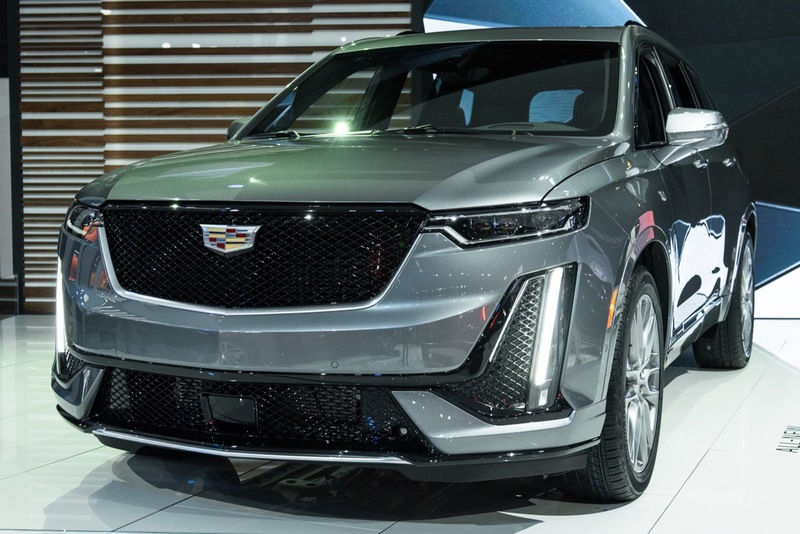 It has zero Cadillac DNA. 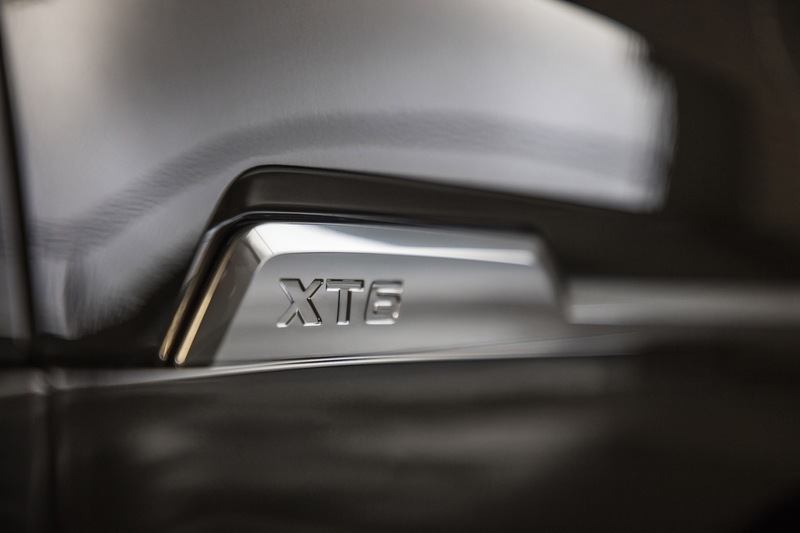 Even XTS is more Cadillac than this. 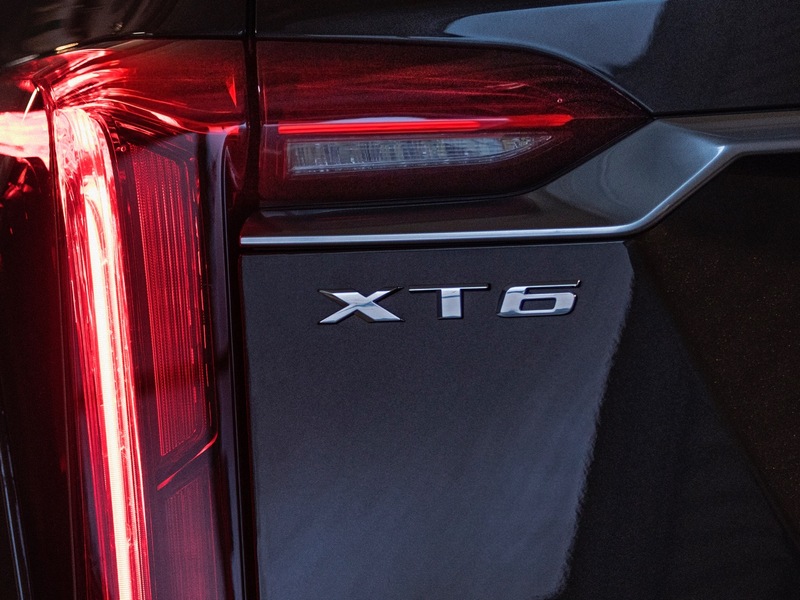 Although it will undoubtedly sell well, XT6 is just the latest chapter in the Cadillac brand’s long, slow, death. 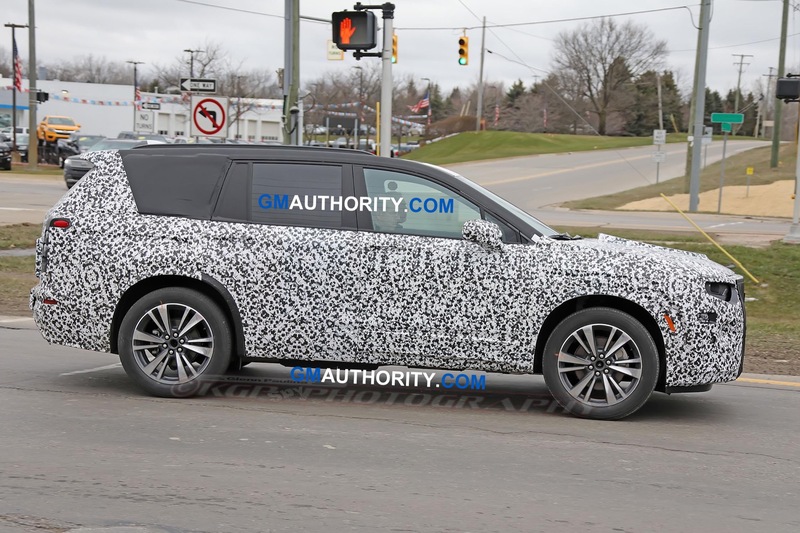 Cadillac DNA? Literally, such a thing does not exist. 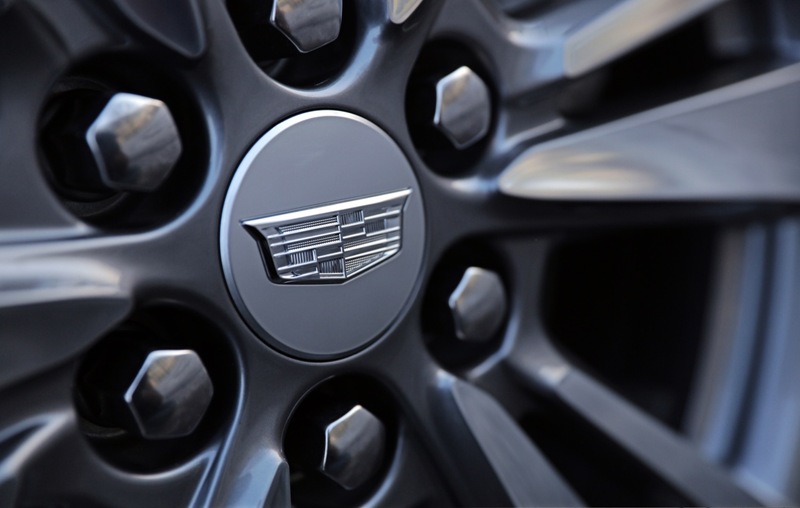 Cadillac, just like Chevrolet and Buick, is nothing but a marketing brand. 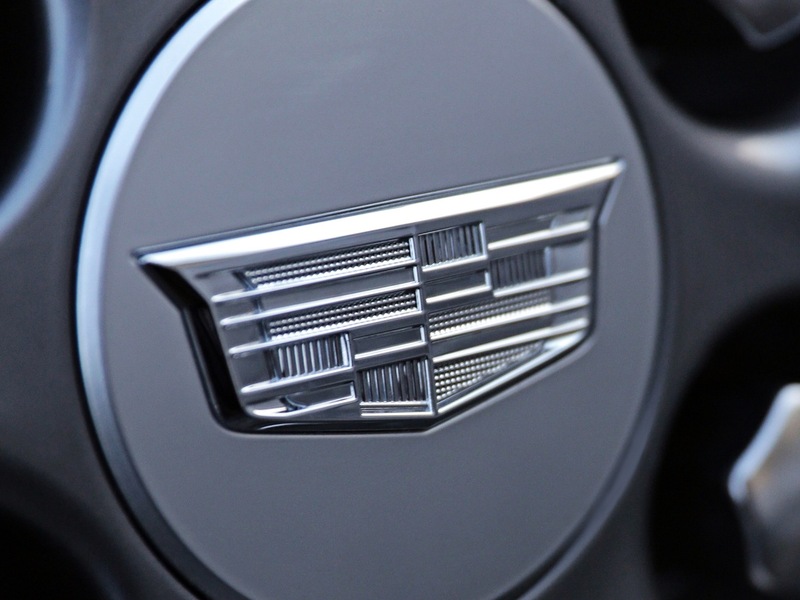 It’s not real… There’s no such thing as the Cadillac Motor Company anymore. There’s no such thing as the Chevrolet Motor Company either. That’s been decades ago they were folded into Divisions. Since the early 80’s the Divisions themselves don’t exist. 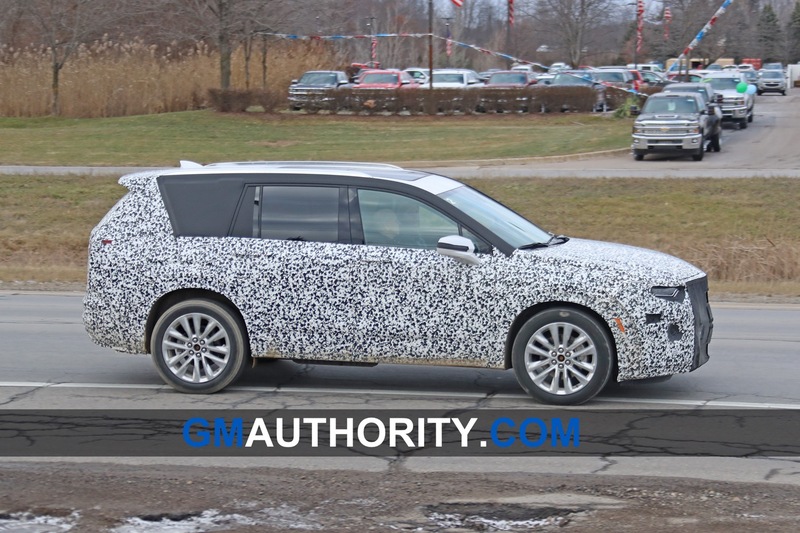 You can’t find the Cadillac or Chevrolet Motor Divisions anywhere. They are gone…. It’s been One GM for a good 35 years now. They may as well call things as they are. 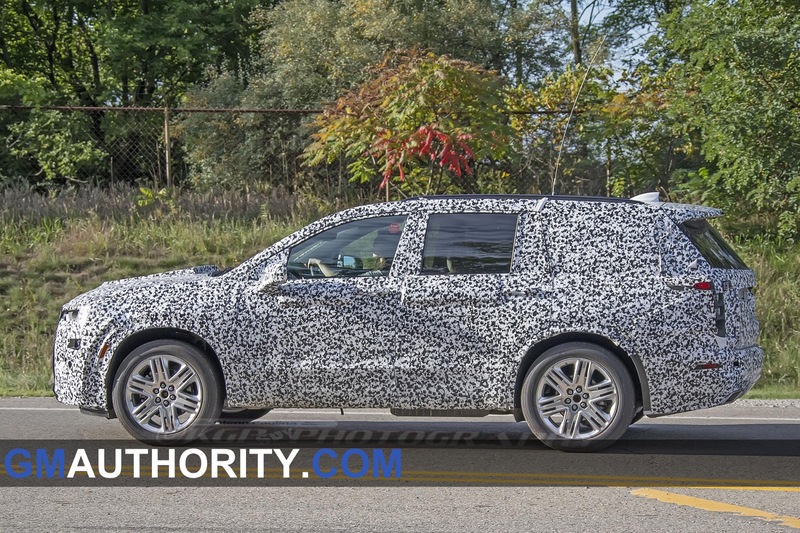 The GM XT6 or the GM Silverado. Because that’s literally what they are. I don’t like it but it’s the truth. 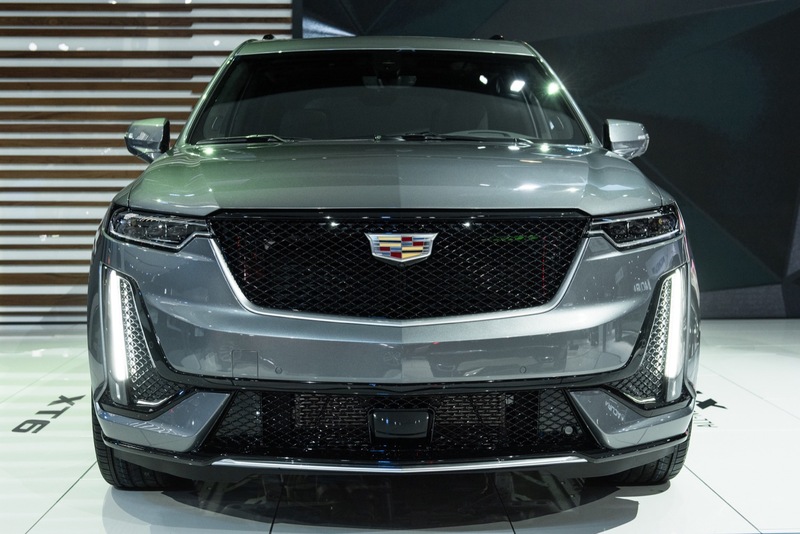 I take your point – but I will challenge you to explain how the ATS, CTS, CT6 do not possess Cadillac DNA? 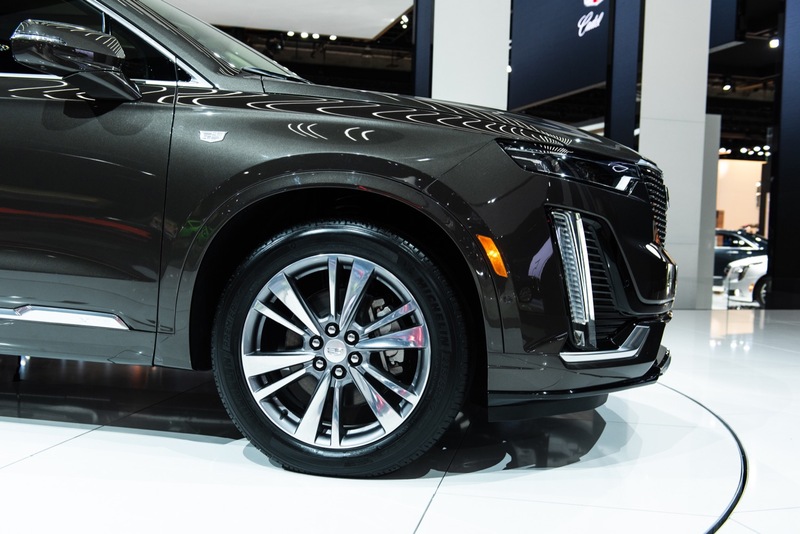 Well, the CT6 is the only one with a truly unique platform. 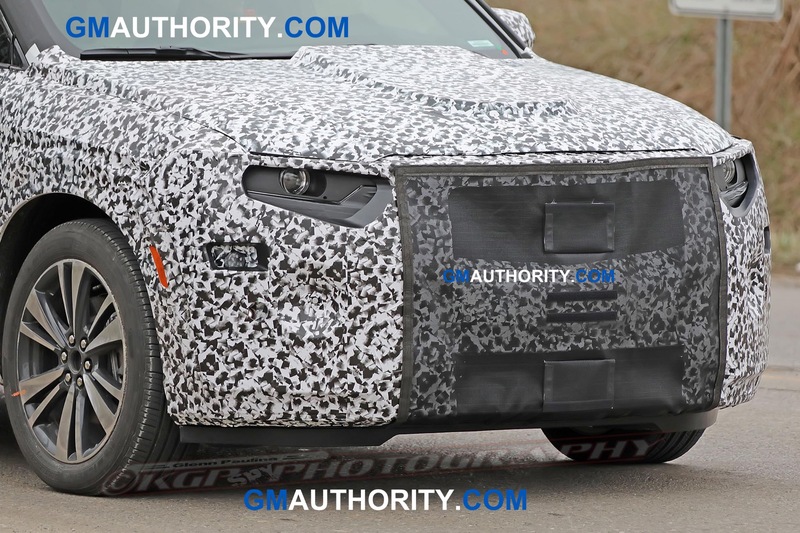 The Alpha platform in the ATS and CTS was co-developed for use in the Camaro as well. 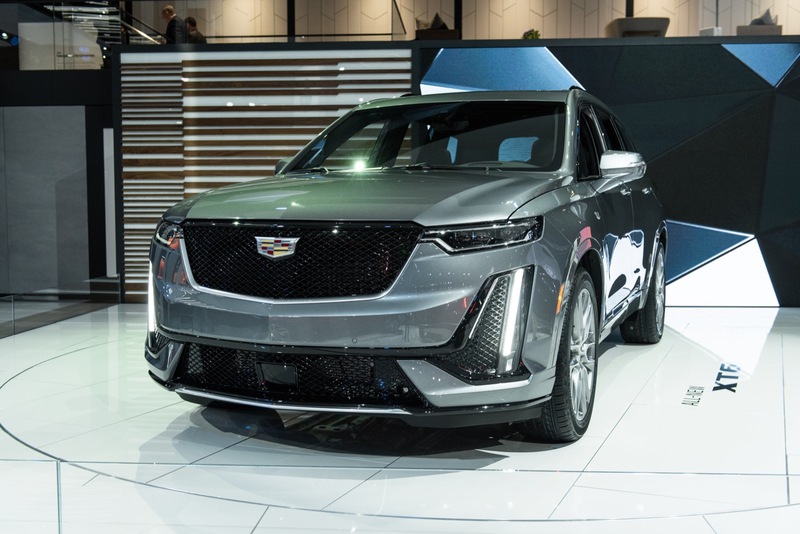 I know that doesn’t dispell the idea that those vehicles have “Cadillac DNA”, but I take his point to mean specific and unique platforms for the Cadillac lineup. 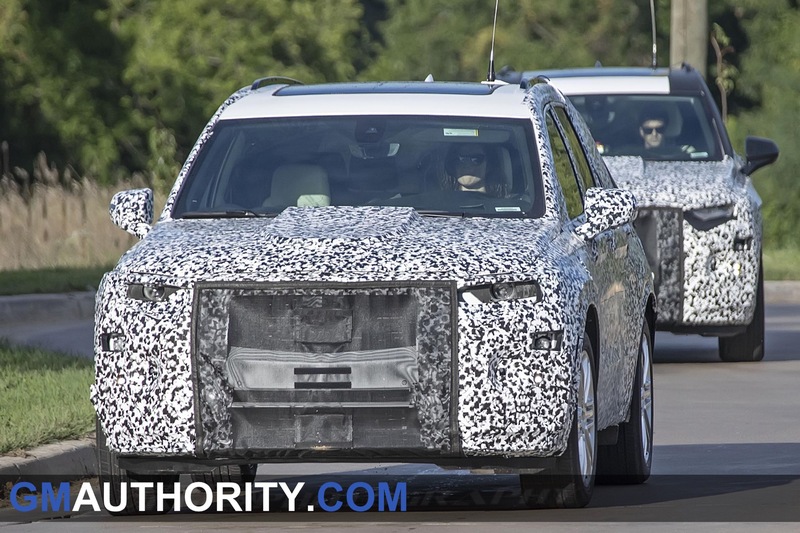 That’s less necessary these days because of modular platform design that helps reduce costs and can easily pass as luxury vehicles – take VW’s new MQB platform as an example of an exceptionally well-designed one that can easily be used in both Audis and (mainly) Euro-market VWs alike. 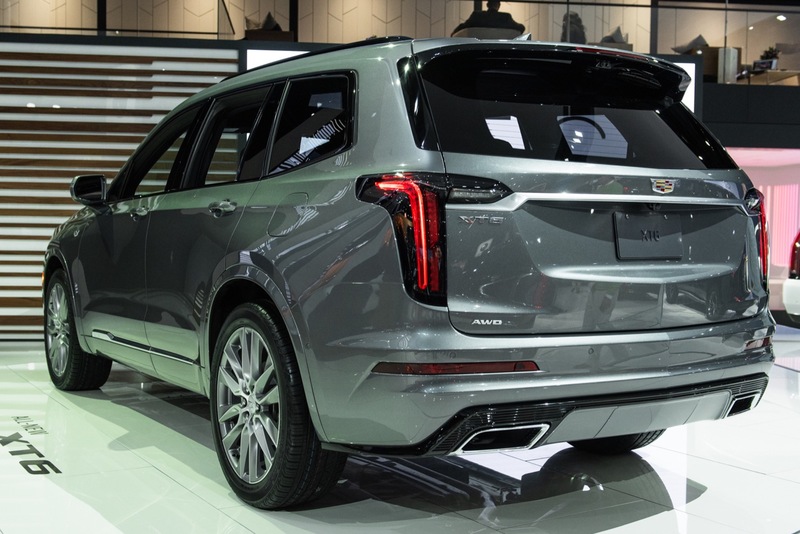 If the XT6 sells well, it will be a significant driver of revenue and profit… which in turn fuels the Cadillac brand/division as a viable commercial entity. So I would advise against ringing the Cadillac death bell… just yet. 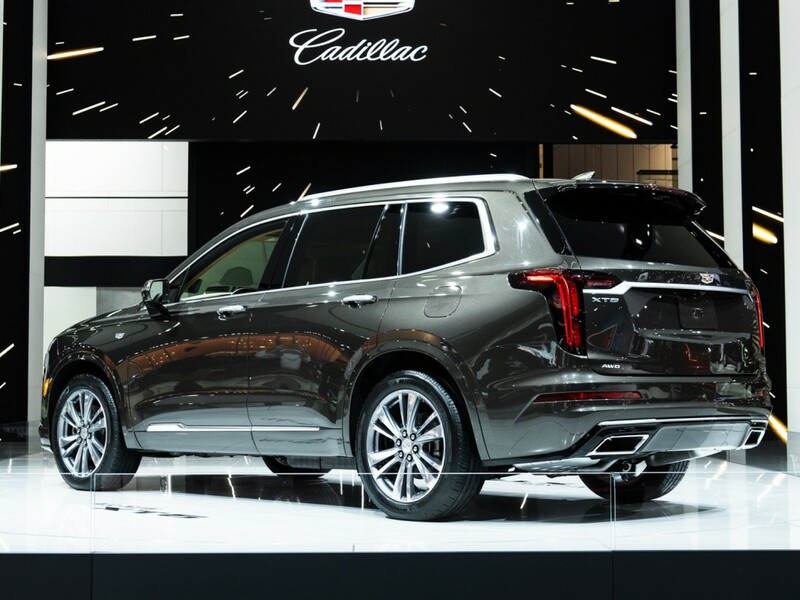 There is no greater cash cow in the Cadillac portfolio than Escalade. 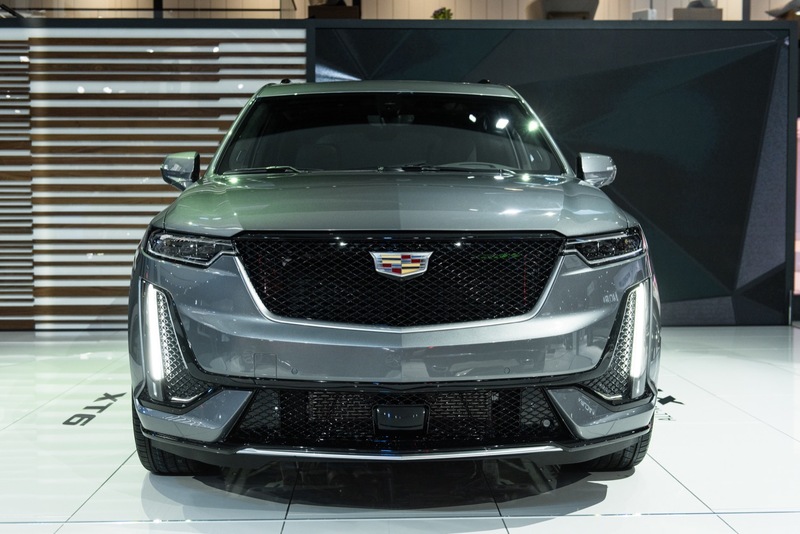 We should not cut Cadillac any breaks for giving us a luke-warm CUV on the grounds that Cadillac needs another stream of easy money. To do so simply excuses them yet again. Even in America a luxury brand cannot be founded on excuses. Melody Lee, for all of her faults, understood that. You lost me at the second paragraph, the third made my eyes want to burst. 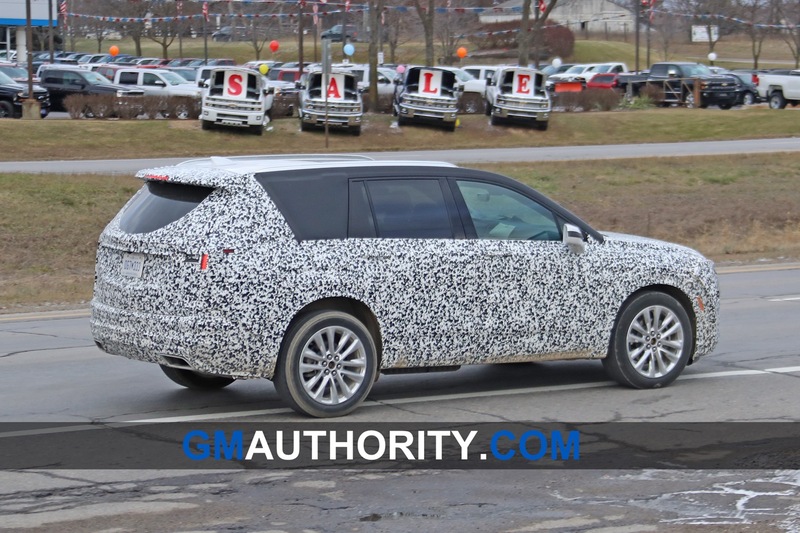 Um…what about the XT4? That was released in, what, all the way back in September 2018? 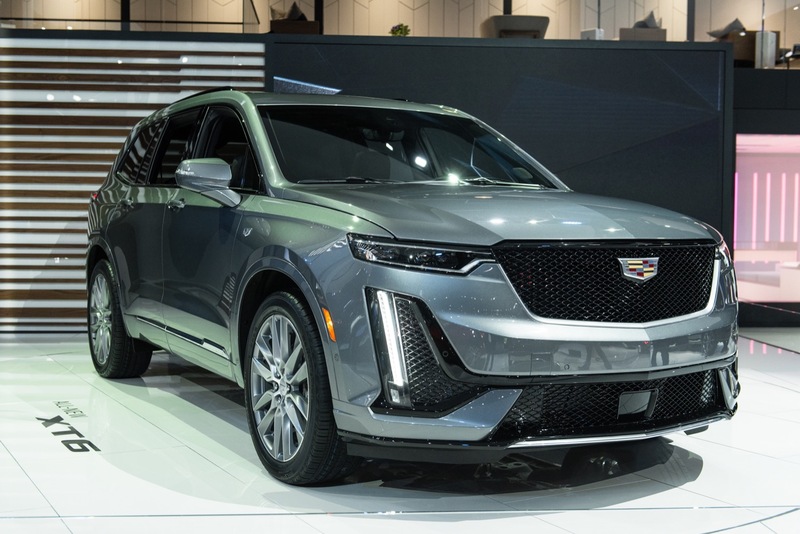 Are you telling me that it is not “in line with where Cadillac is in customer expectations; first and foremost with design and execution, safety, pricing and value”? 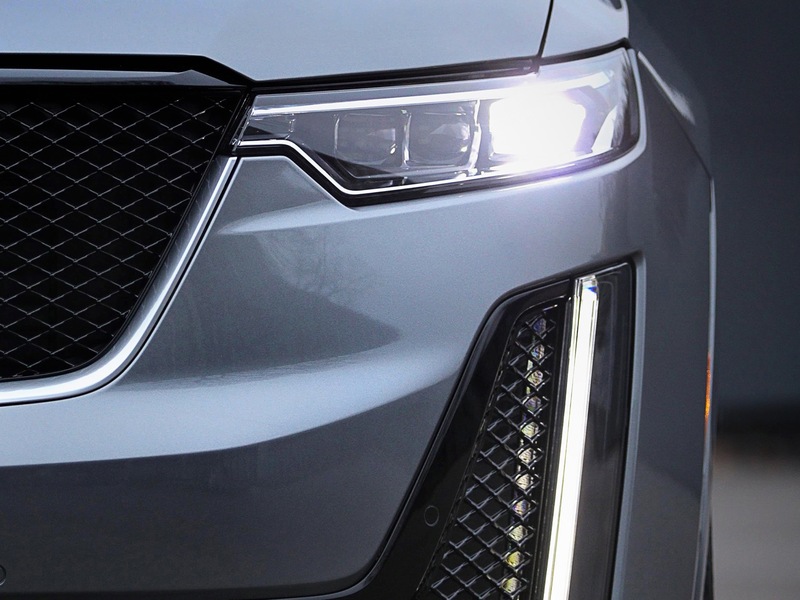 Why did they approve those headlights, the xt4 head lights are better than xt6. Someone needs to tell the design team we are going for an Escala look! True. 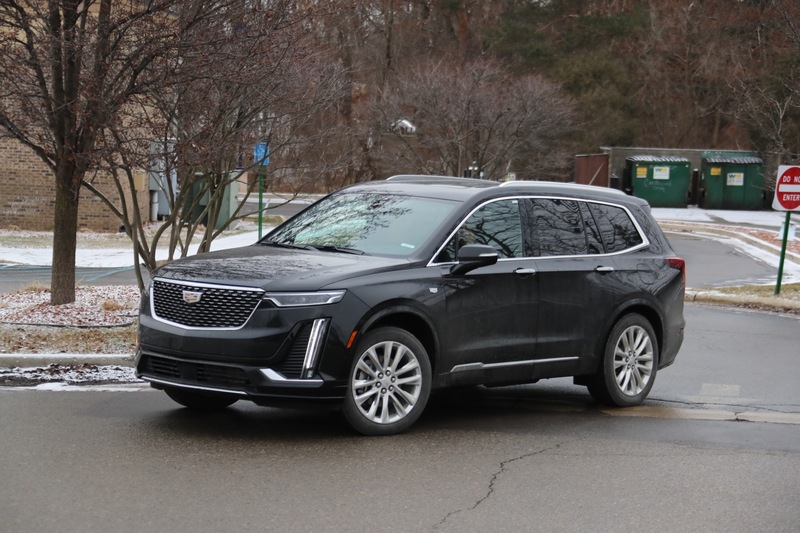 I love the way the XT4 and CT6 look. 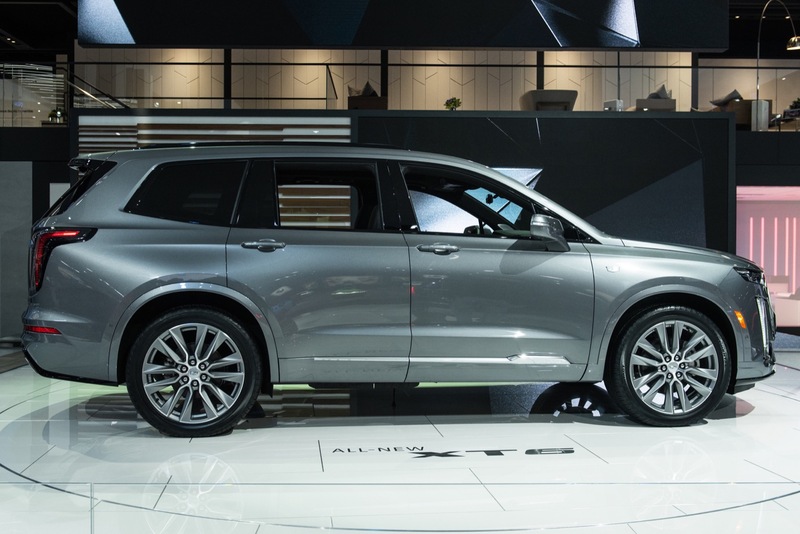 Even the old CT6 was pretty damn good looking. 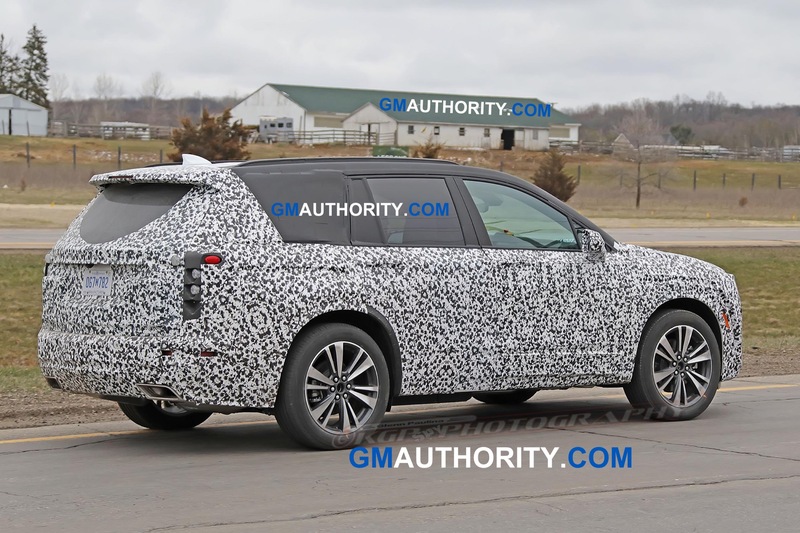 But this XT6 just looks plain ugly. 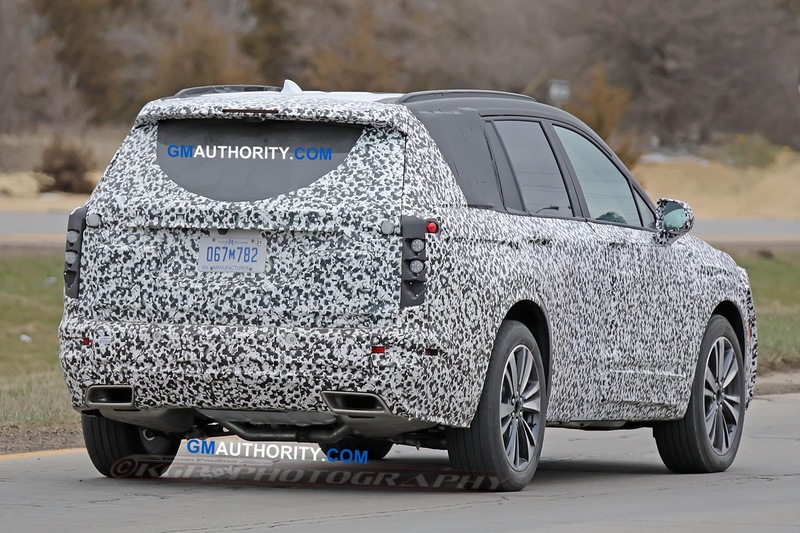 The front doesn’t scream Cadillac, the side DOES scream Kia and the rear taillights are too short and fat to have the much loved “vertical tail fin” look. I would go even farther and say instead of to late , to conserve money. 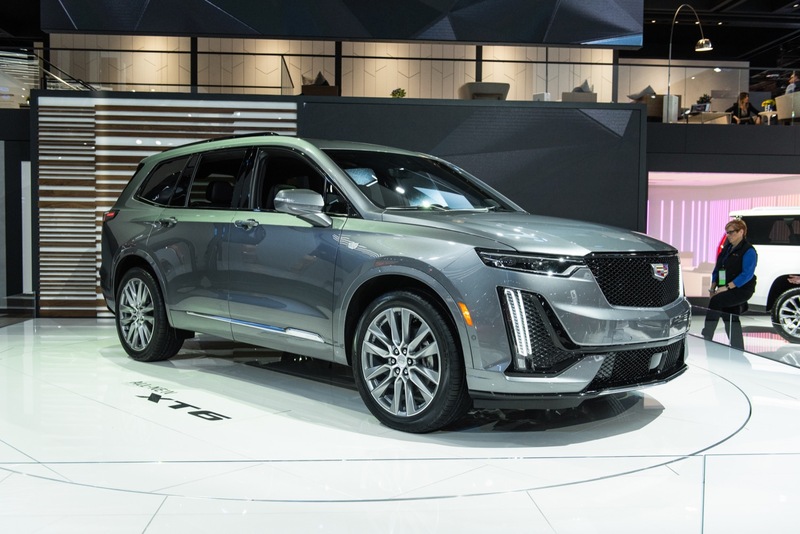 I also would go out on a limb and say they will not only look like the Escala -XT6, but will be on a different “platform”. 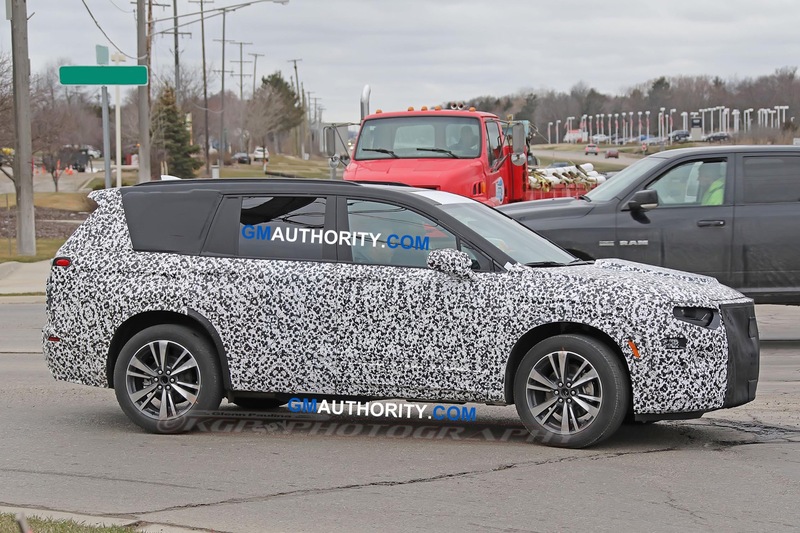 I would also be willing to bet we are looking at a smaller version of the Escalade. Sounds about right. This type of vehicle has to impress the tech trendies. 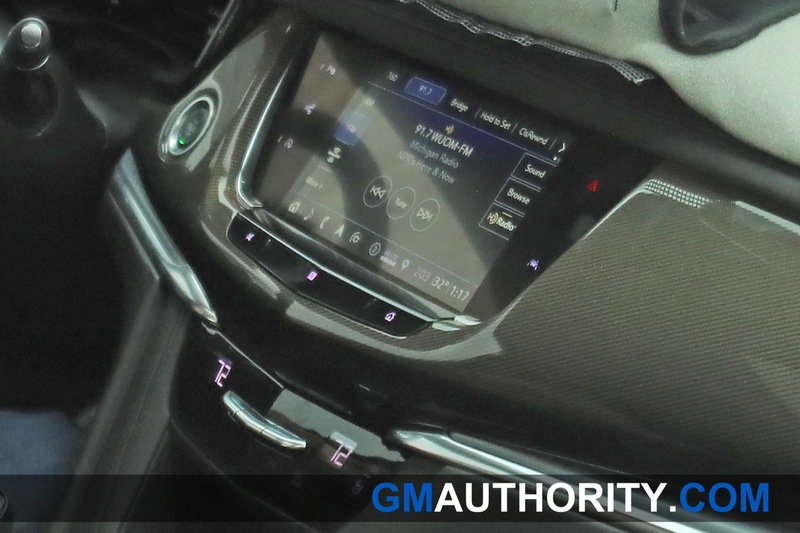 They should also consider full digital instrument clusters across the board. 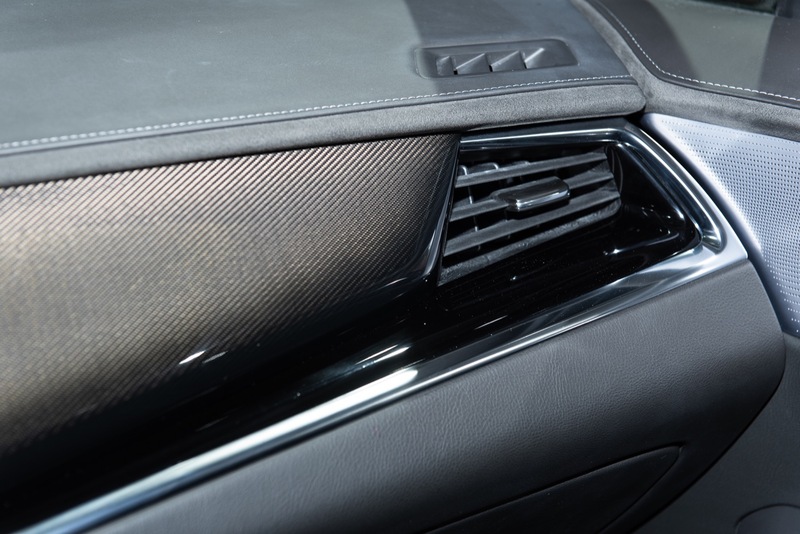 And they can’t get dinged for any hard-touch plastics even if only top trims get to be full-beefy plush. 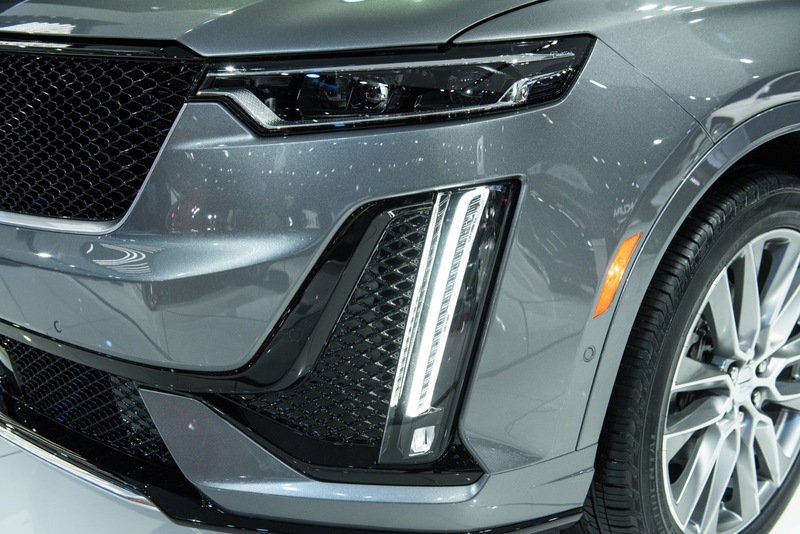 This would fix a lot of issues for all of GM’s brands. More standard equipment, especially safety tech. Toyota, Honda, Hyundai, and Nissan understand this and have managed to make it perfectly profitable. 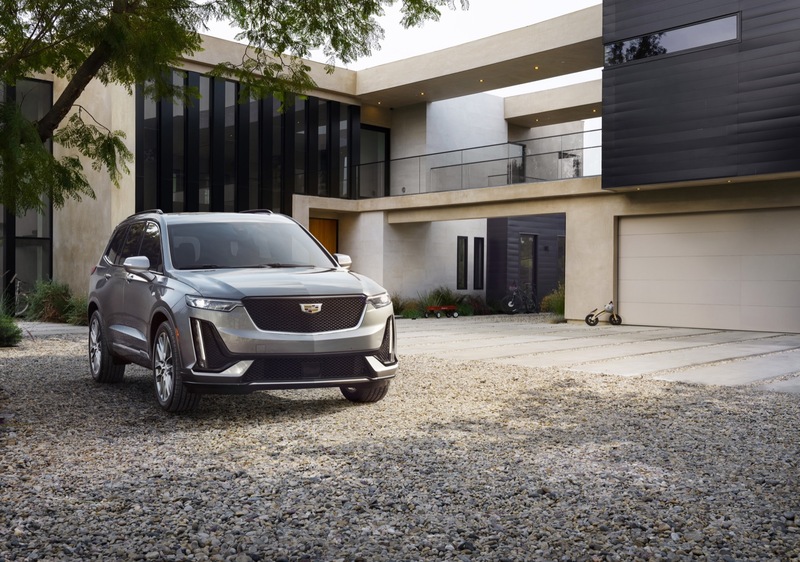 Ruess must believe Cadillac customers have low expectations and will not do any research or read comparison articles before they decide on a new vehicle. This CT6 design is about as exciting and fresh and watching paint dry. 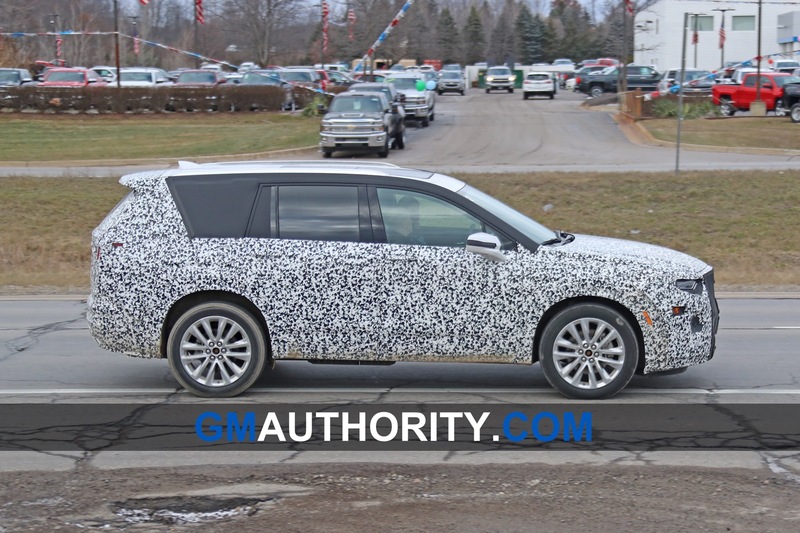 The automotive world has been waiting for another GM parts bin vehicle. Building it in China will just be icing on the cake. 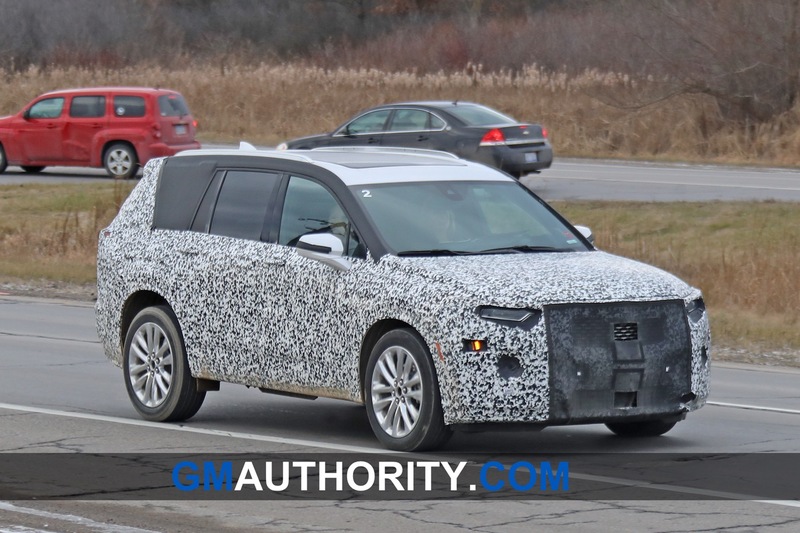 The Lexus RX is a parts bin vehicle. 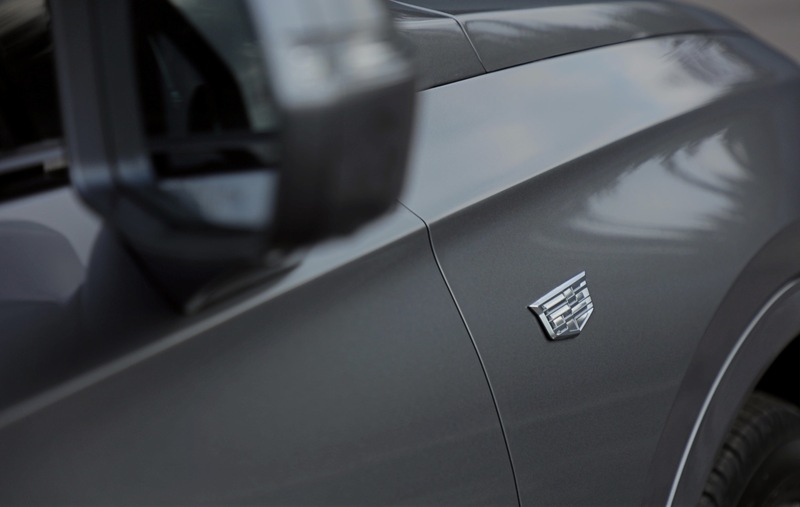 And it is the best selling vehicle in its class by a wide margin. And it’s solidified itself as a hassle-free mommy-mobile. 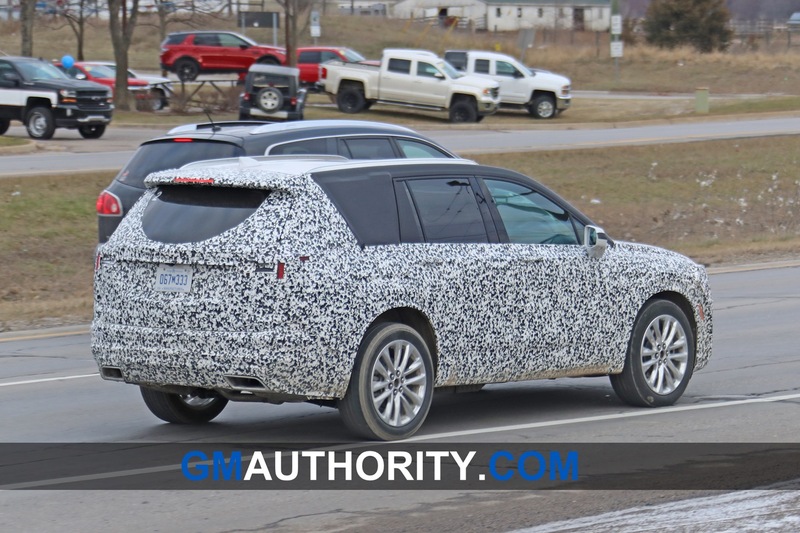 It’s backed entirely by Toyota’s reliability record. 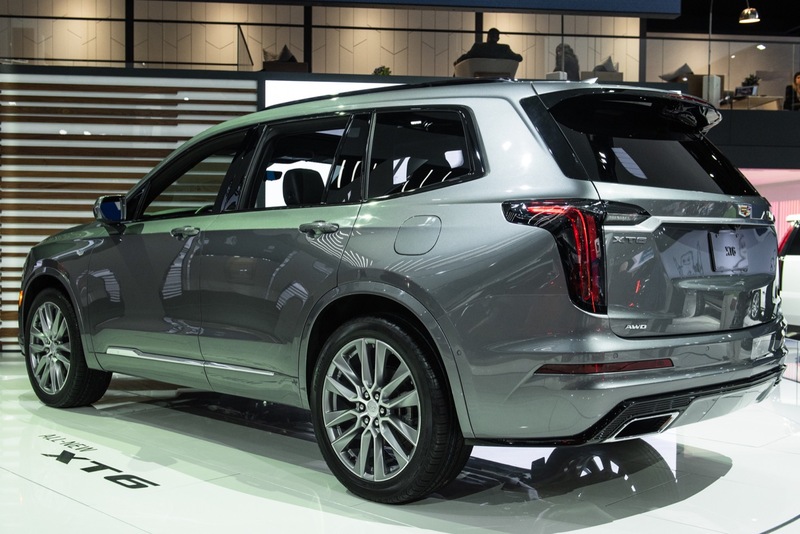 No other entry in that segment has or wil topple the RX in sales, let alone Cadillac. 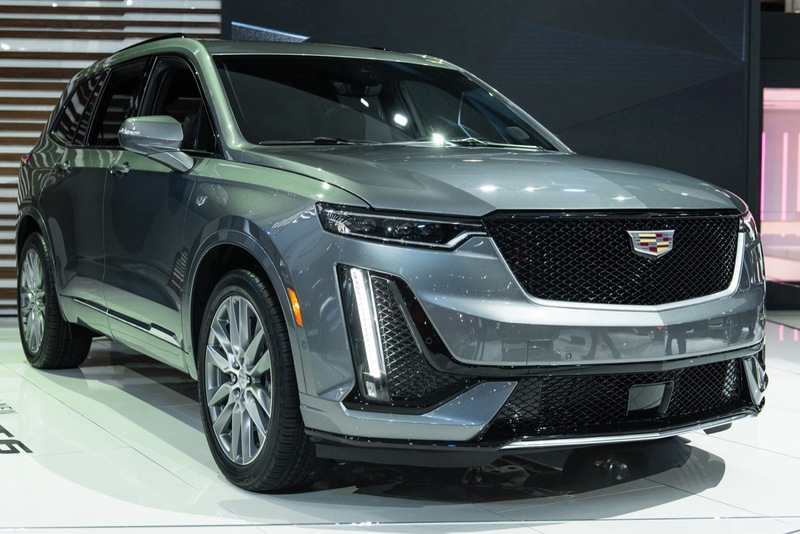 Cadillac can, however topple it in ATP if they make the next generation CUV portfolio with the same amount of care as they did the sedan portfolio. 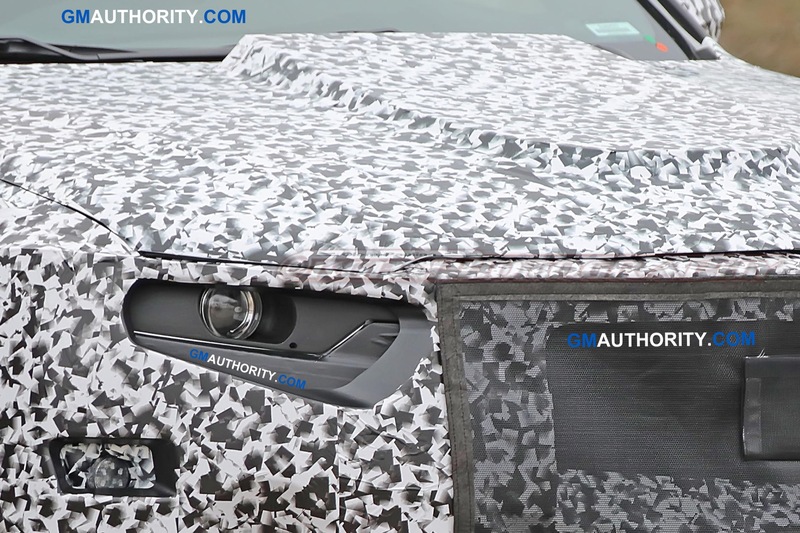 Including putting them on VSR-R.
I’m not saying that automakers should only live by this practice, but its good to keep current customers in mind when designing a new car. 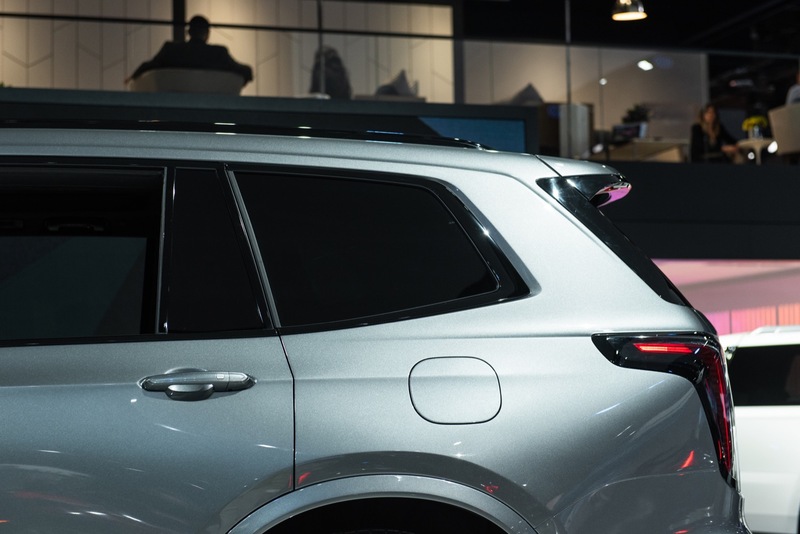 If a customer has a great experience with a vehicle, and just generally loves everything about it; they most likely will not even look elsewhere when they buy another. I know quite a few people who live by this rule. Our family friend loved his old RAM, so he didn’t even look elsewhere. His wife loved her Avalanche, so she had 2 without even cross shopping anything else. Even my own parents, My dad loved his first Surburban; since then he has only every looked at Yukon XL’s/Tahoe’s/Suburbans. One the other hand, my mom loved her first Cadillac (a 2004 SRX). After leaving the brand (due to getting a company car with no need for 3 cars at the time) she bought a 2011 CTS. In 2014, she blindly bought a new CTS; no questions asked. However, when the second CTS was a POS she looked into MB, and Volvo. 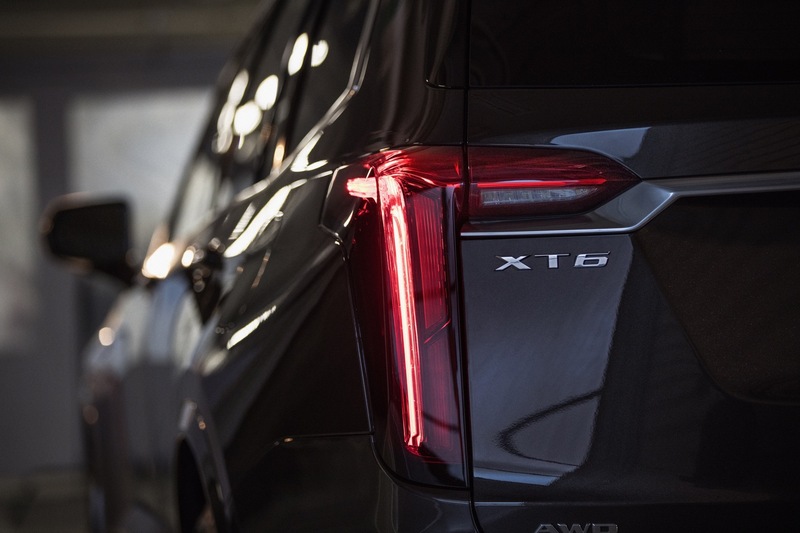 Now she loves her XT5 and has no plans to leave. You can not discount luxury your way to the top. Have they not already proven this did not. work before. 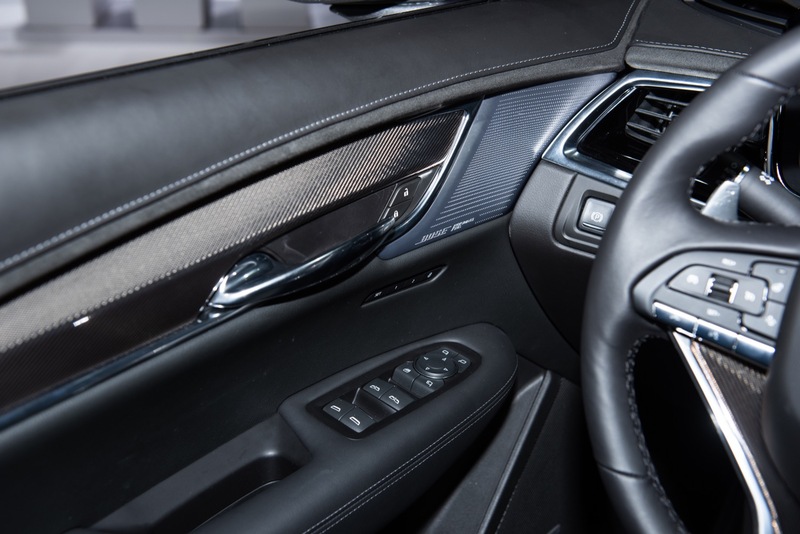 What people want is the best interiors, engines , technology and styling. Yes it would cost more but it is what they would be willing to pay for. Like now. 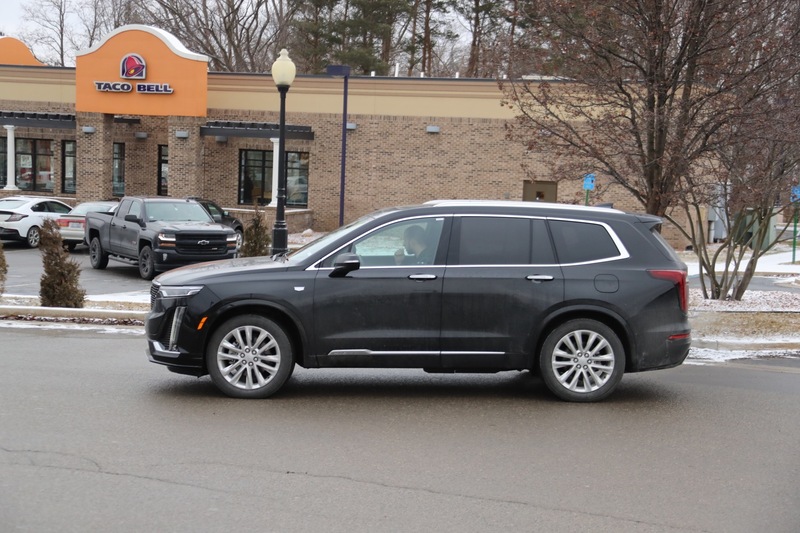 I looked at the XT5 and there was not enough there to make me pay more than I could get a Denali for. 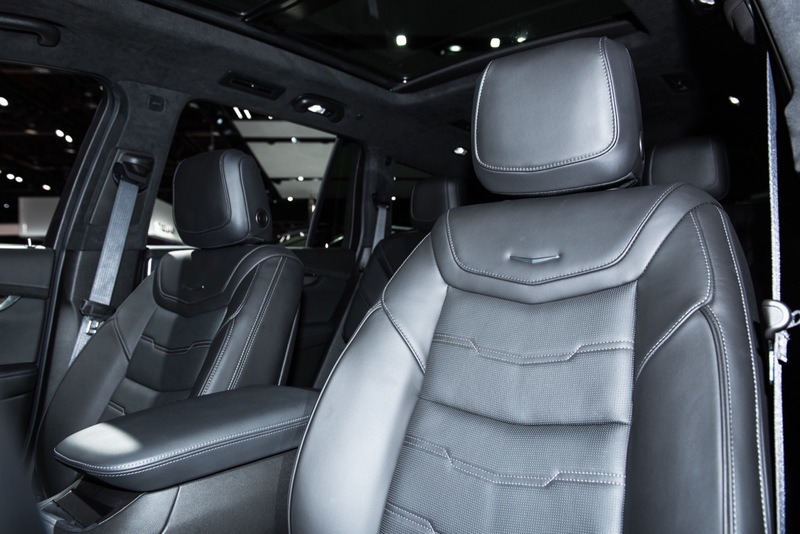 Discounted luxury leaves the owner short of the best and leaves the owner with horrific lost resale value. ^This!!! I just don’t understand GM’s positioning here! 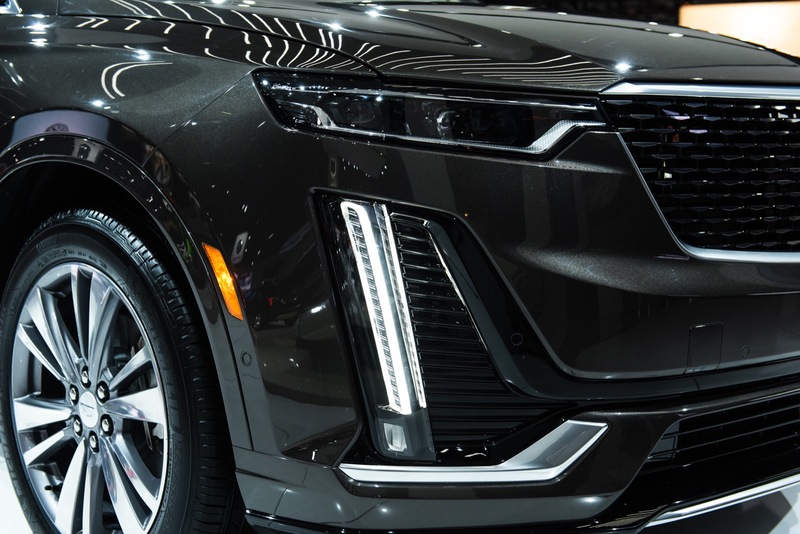 Cadillac is supposed to represent the best GM has to offer, exceeding everything else within the brand in terms of technology, refinement, performance, and especially luxury! 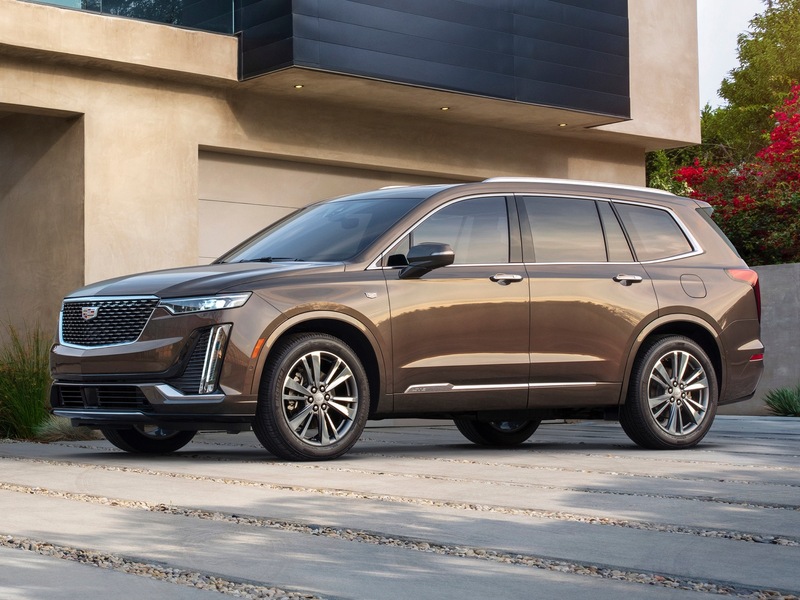 So is GM simply admitting to being unable to compete with the tier-1 luxury brands?! Are they simply going to cater to the geriatrics and price-conscience buyers?! 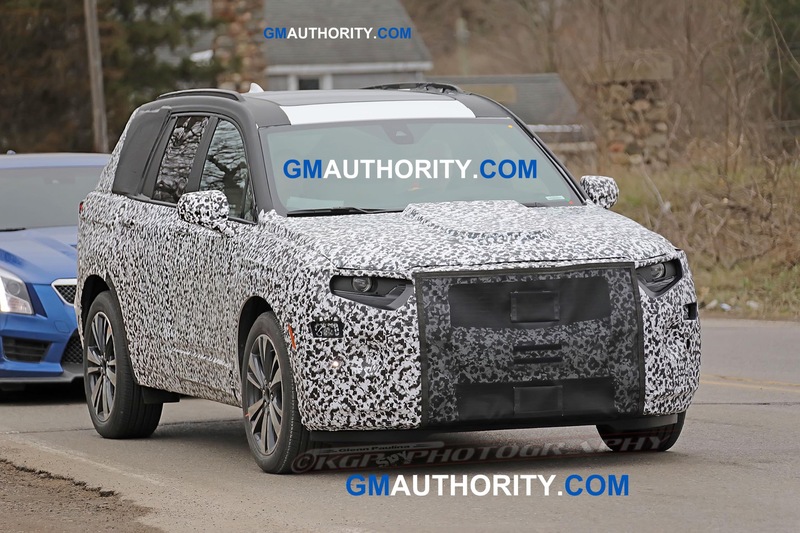 Got it got it, We are general motors and we will sell general products and if you want to pay more , we have a different cover for it which prints Cadillac, Buick etc but its essentially the same content as general ones. 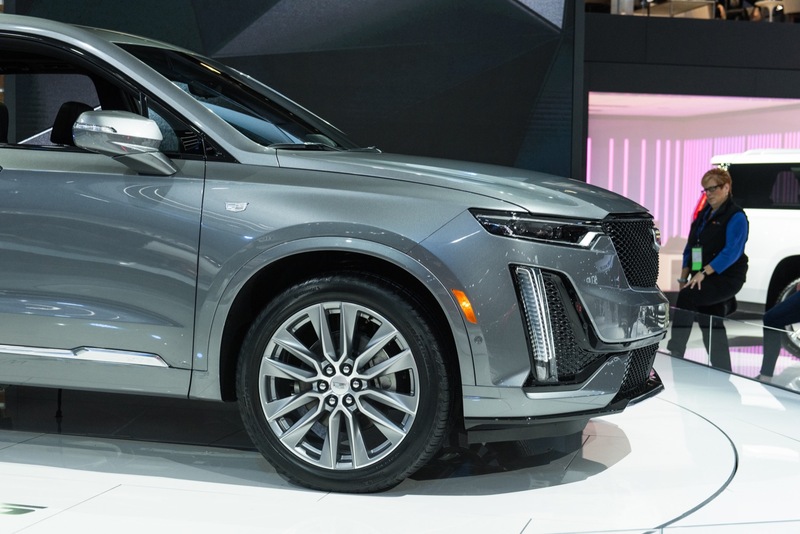 In my view, XT6 is a short term mistake for creating success ( he will say we sold x numbers and its a hit ) but kills the brand in long term . 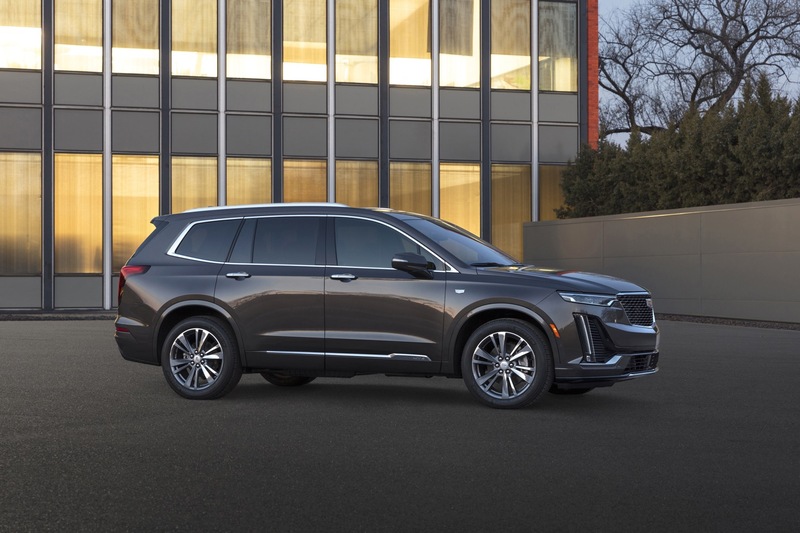 If they wanted to XT6 ( the right product) , they should have used to CT6 platform (GM Omega ), 4.2L engine with 10 speed RWD/AWD and the plug-in hybrid (same RWD/AWD ) and may be extend to XT6 EV . Always make sure the engine is mounted Longitudinal and come up up with some LT engines …. on special editions . If you need to sell luxury, you need to make Luxury products. People need to feel proud of brand , they need to feel special . 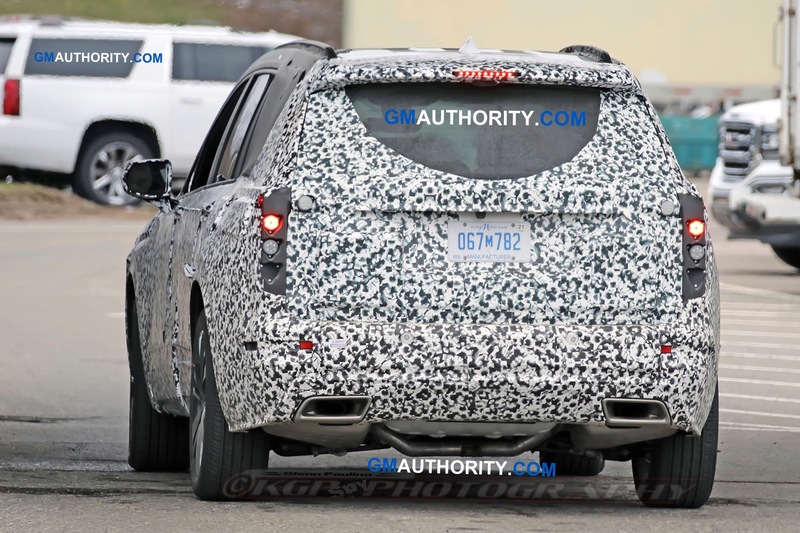 The XT6 may sell well. Not because it’s best-in-class or even class competitive with some of the best in the segment. 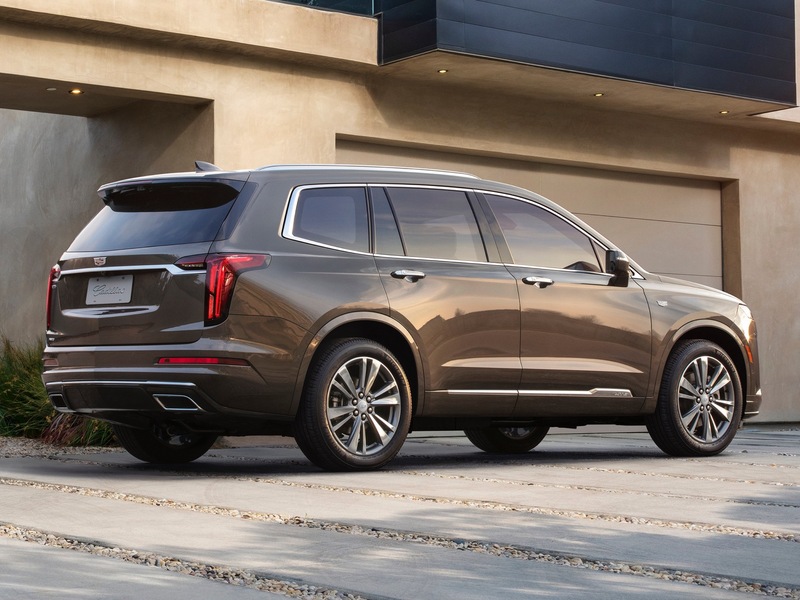 It’ll sell because of the usual incentives GM slaps on their cars to move them off the lot. 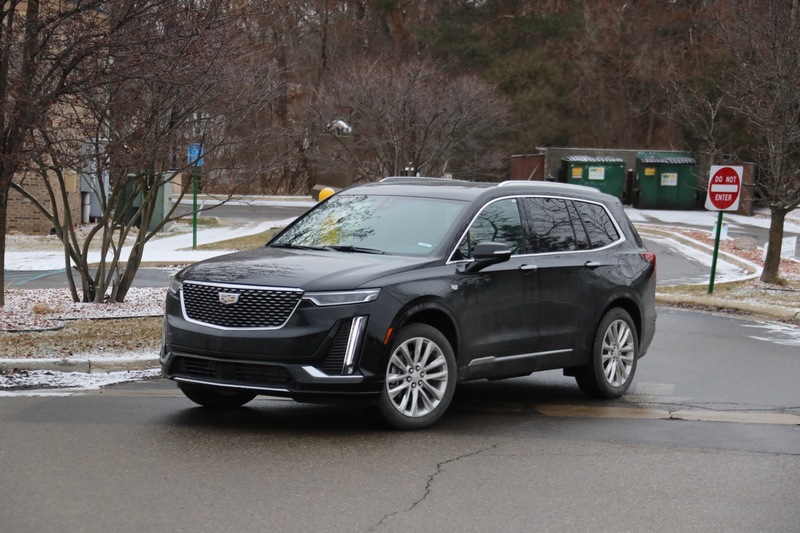 Unless you’re a very loyal Cadillac customer, there’s no way you can say with the straight face that the XT6 is superior to the new Aviator, the Volvo XC90, the Q7, or any number of 3-row luxury SUVs. 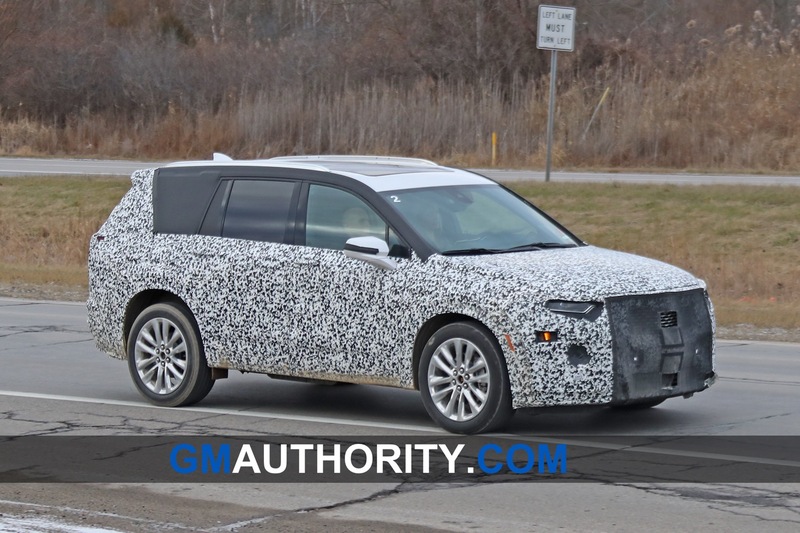 Hell, even if the new 3-row SUVs from Hyundai and Kia have superior styling inside and out. 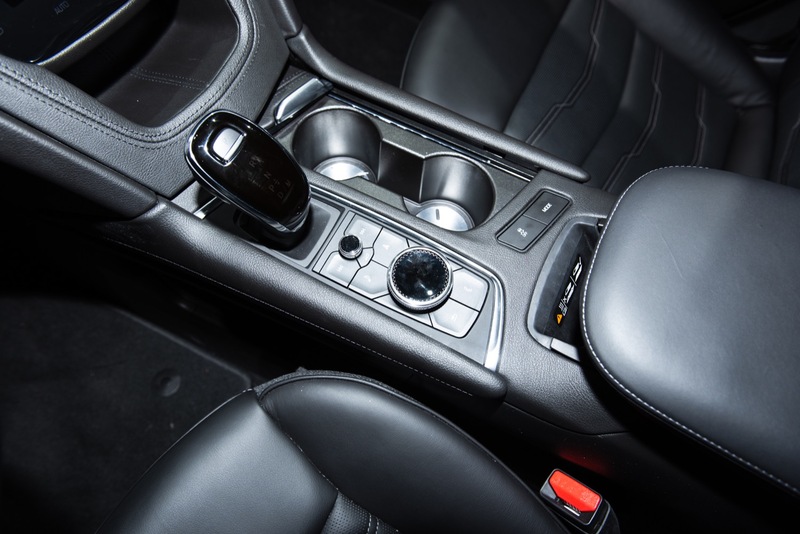 I was blown away by the Kia’s interior. What a handsome, inspiring design. 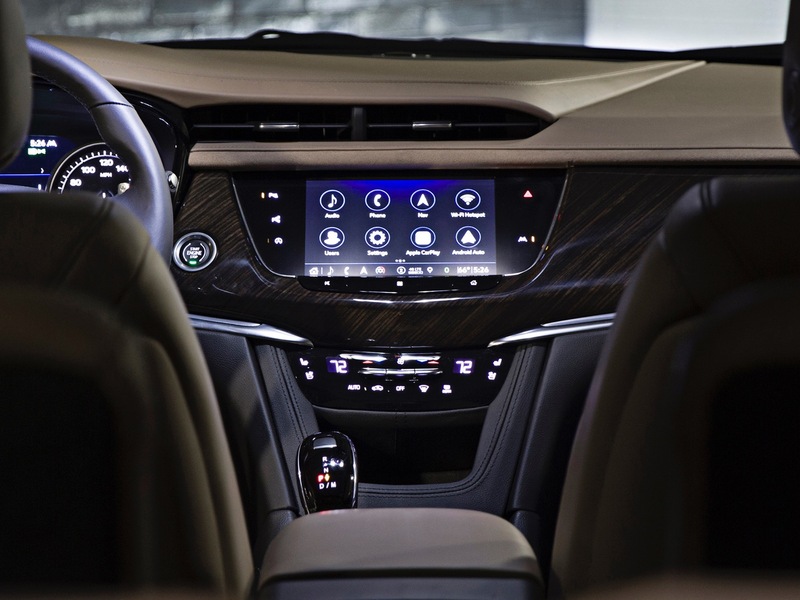 Oh, but the Cadillac top trim uses real wood whereas Hyundai and Kia use fake wood. Great. 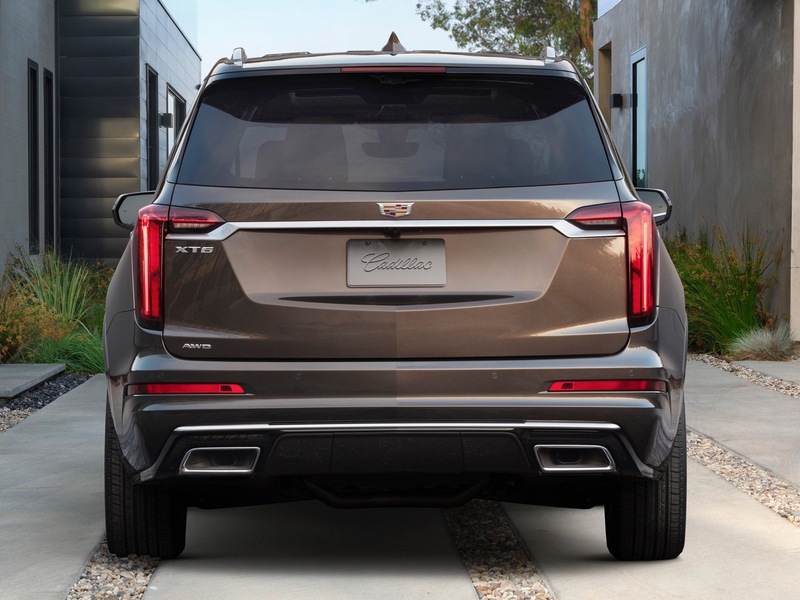 So happy for you, Cadillac PR. Real materials don’t mean anything if the design language is inferior. 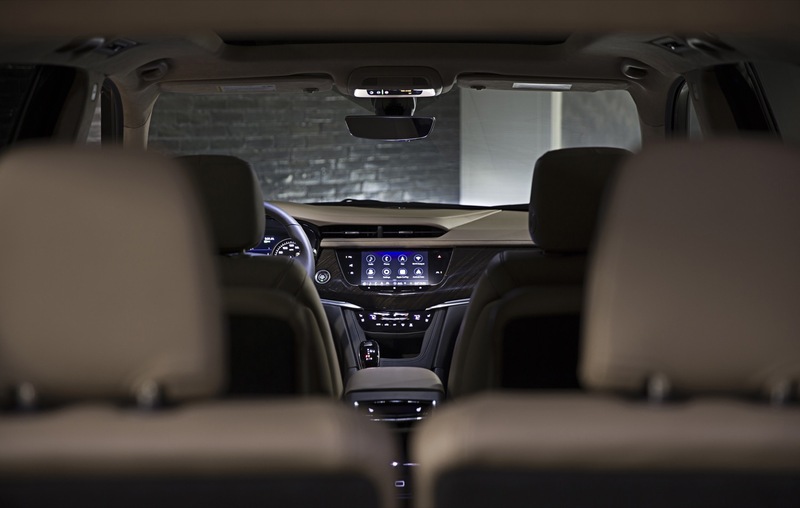 The Hyundai and Kia have a much more pleasing-to-the-eye interior. Much better cohesiveness and ergonomics. 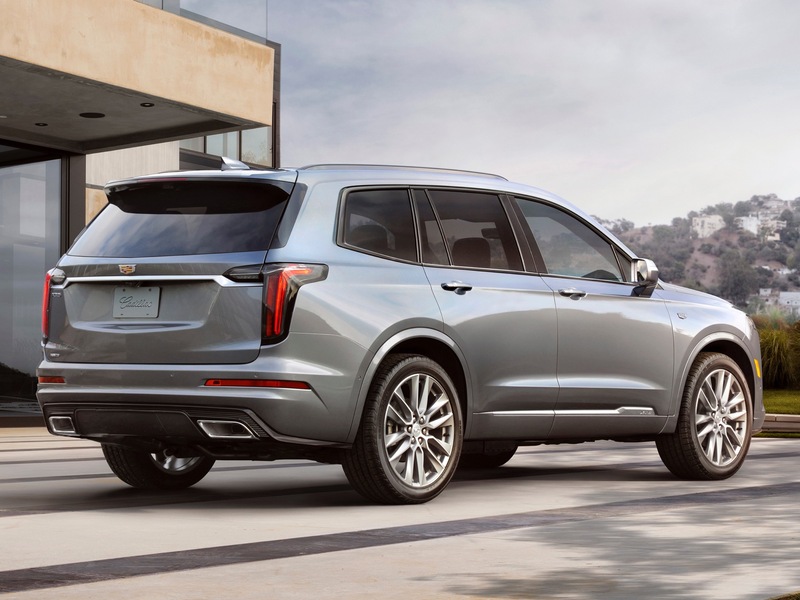 The problem with GM using a mass-market platform to underpin the XT6, is that it opens up competition from mainstream CUVs INSIDE AND OUTSIDE GM. 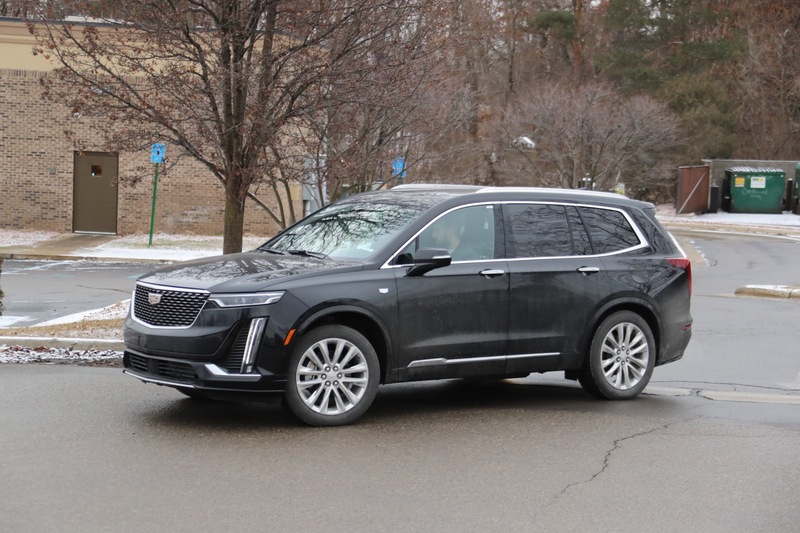 You’ll probably not see a comparison between the Aviator and the Mazda CX9 or Kia Telluride, but you could see a comparison between the XT6 and a well-equipped CX9. 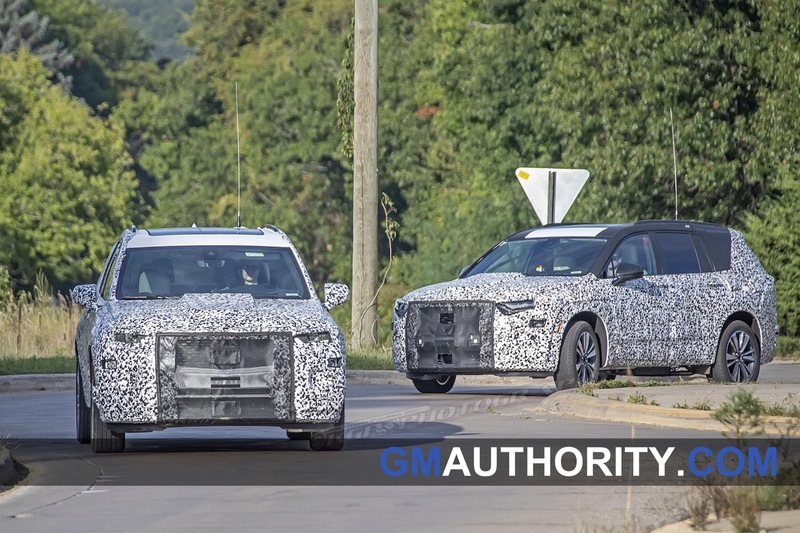 How will the XT6 stack up against a fully-loaded mainstream three-row CUV costing thousands less? They need to use Omega on something that moves in volume (cuv) it’s too good to just scrap. So they say. And why are we at this time supposed to believe them instead of the countless times before? This is just a more expensive GMC. 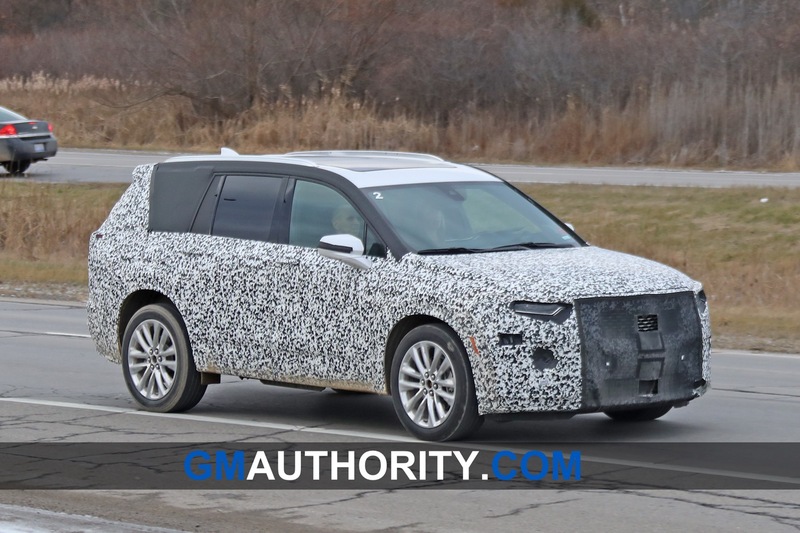 This CUV is beyond boring. I am a GM guy but they are going down a sad road. First the trucks and now this. 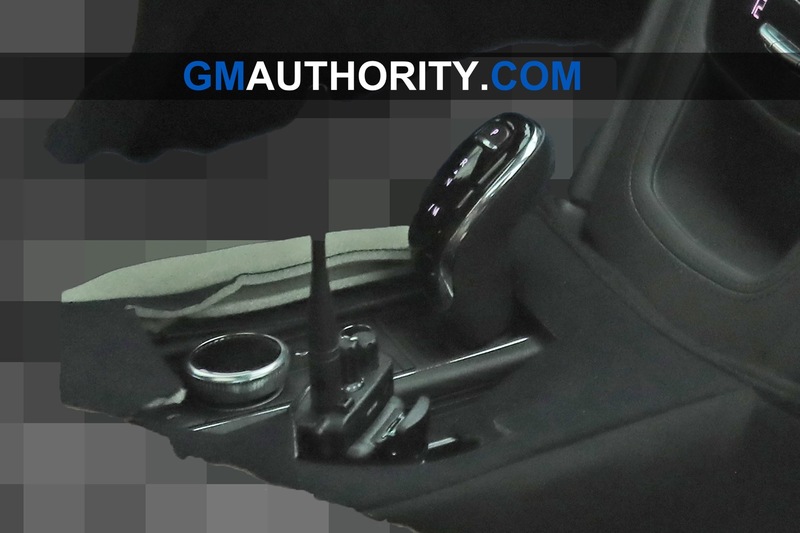 Does GM think their customers are stupid. More in line with CUSTOMER. What a joke. What Customer. 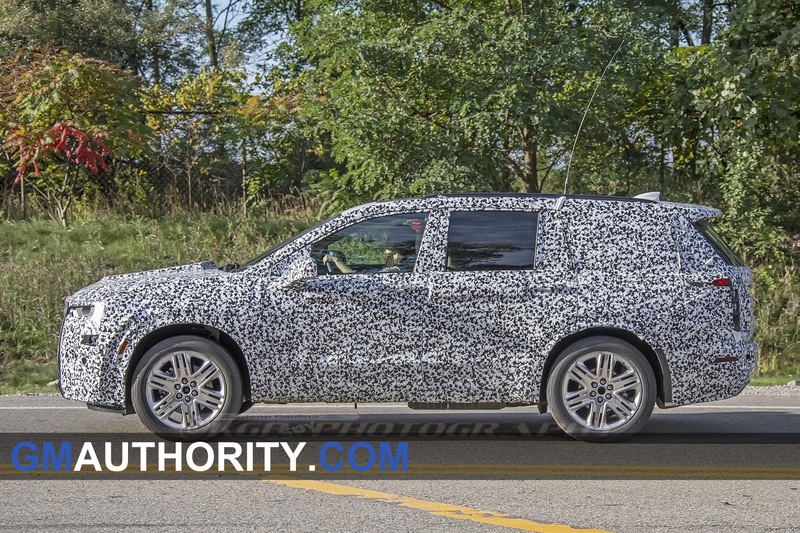 Maybe the same 7000 CUSTOMERS GM used for the Silverado interior. 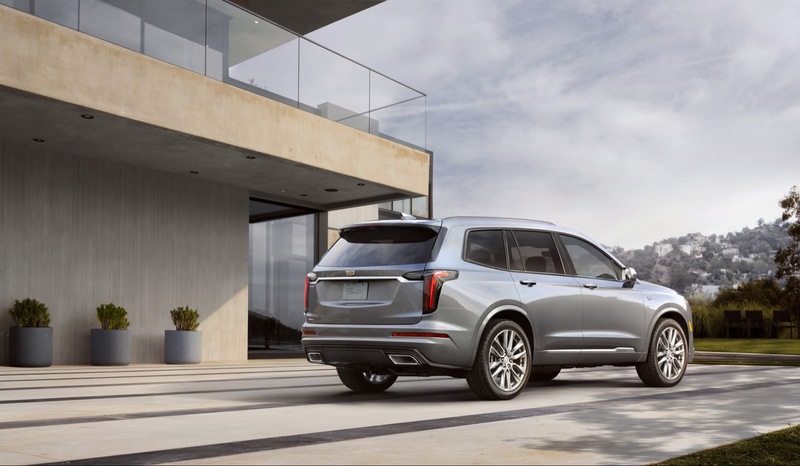 Existing Cadillac CUSTOMERS, or the hundreds of thousands of past, lost, Cadillac CUSTOMERS. 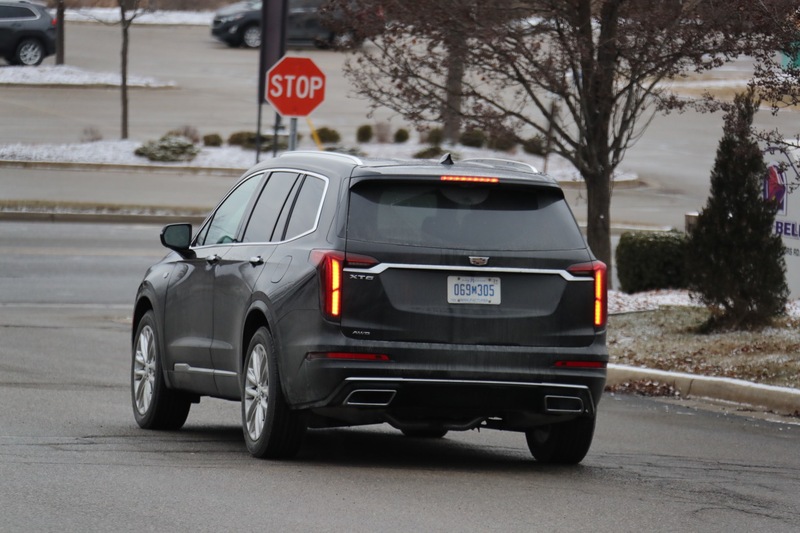 Who even is a Cadillac CUSTOMER ? 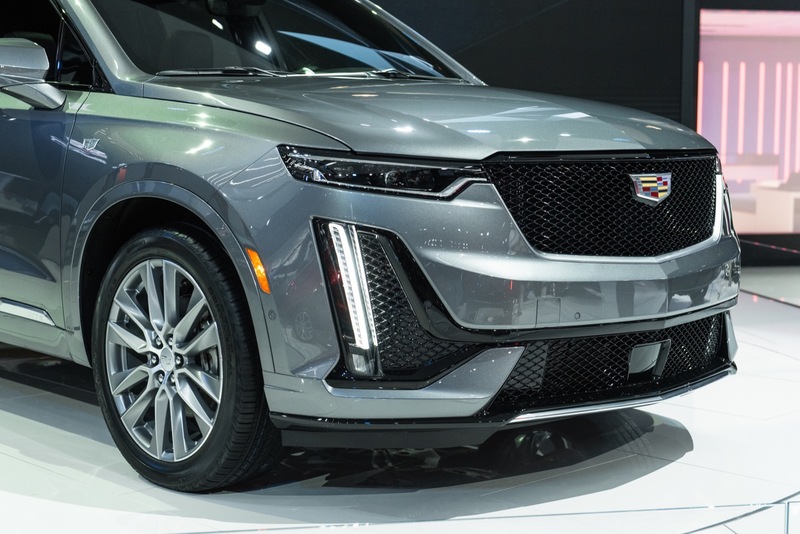 Well after owning five Cadillacs this XT6 exterior looks good to me , I like it. 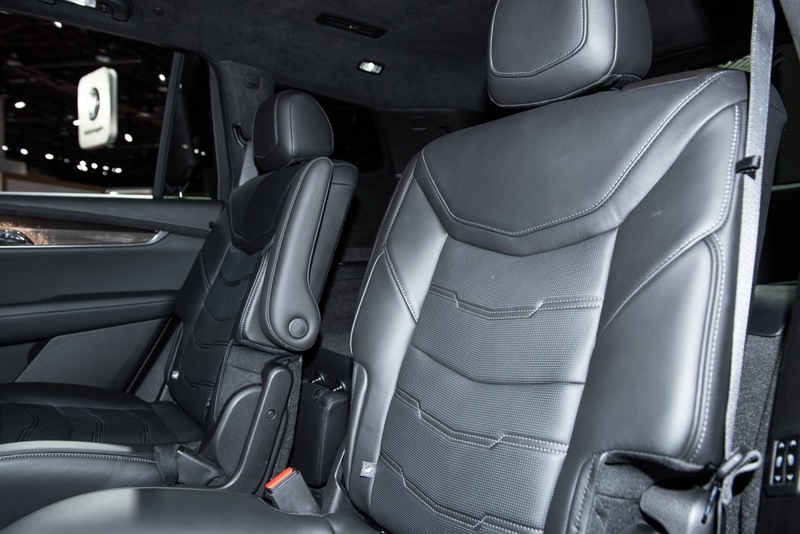 Interior is average, not luxury average, automotive industry average. Drivetrain is a FAILURE in my opinion. 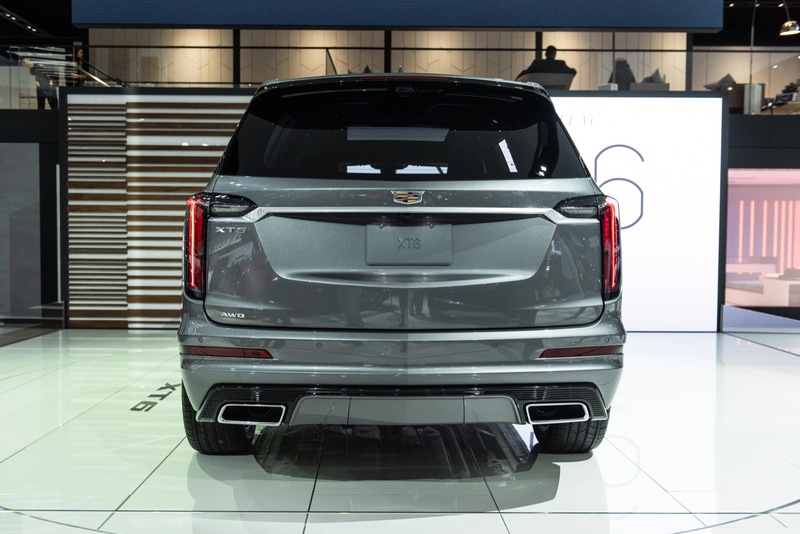 So my CUSTOMER 2 cents is, even if you use a GM platform for Cadillac you need on average more power. A nimble vehicle. Not necessarily a high performance vehicle, just an average more powerful vehicle than the same Chevrolet. You do know there’s other car companies for you, try a Lincoln instead. Yelling daily on a non-corporate site won’t change anything. I didn’t think you could hear through text. In case you are wondering, writing or talking to a corporate site won’t change anything either. 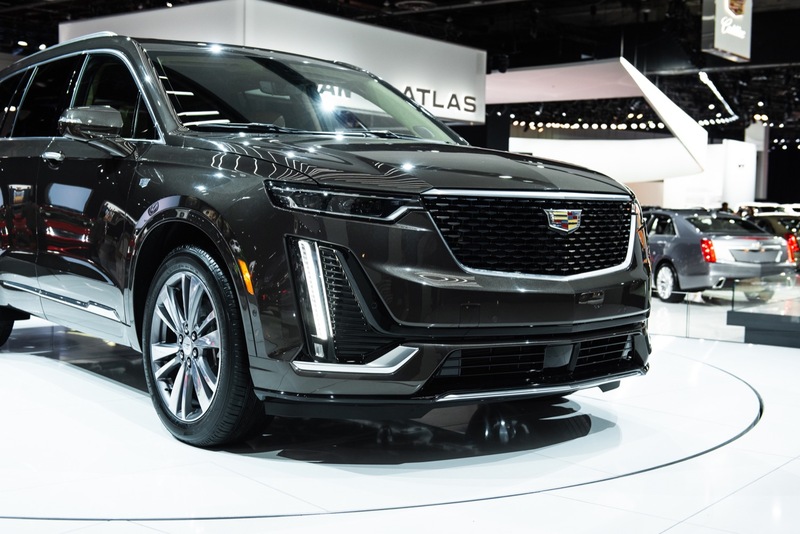 In case you forgot, there is no other car company for me, and you GM people need to quit telling your CUSTOMERS to go buy others. Can’t you figure out that is what is happening here. Loosing market share = people buying other brands. This is a hint, try to keep your CUSTOMER happy and you will quit loosing market share. And again yelling (you know typing in bold letters that implies voice rasing in case you didn’t know) don’t get a manufacturer do what you want, this isn’t an NFL game yelling at the TV about wrong plays. 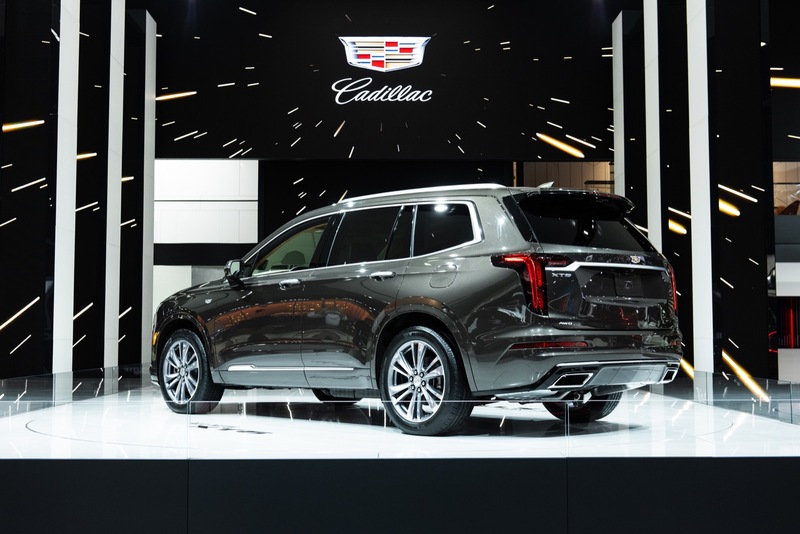 About this mythical non-customer service hype you keep harpin, GM sells millions of vehicles, customer service I think it’s part of the sell. 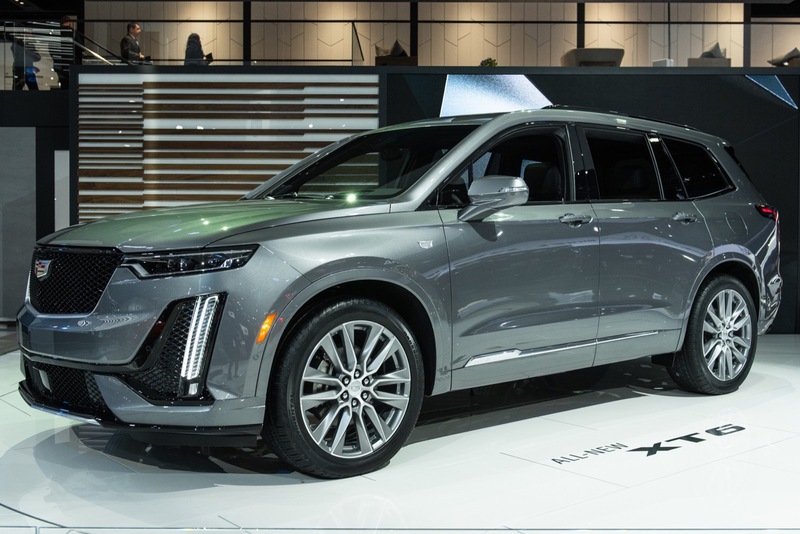 As for vehicle choices GM didn’t have a car that I want at the time so I got a Ford, when the Ford is done GM is my first choice and go somewhere else if they don’t have it. I don’t hang here about what they doing wrong daily but I do get on GMs case when appropriate. Well I maybe, in your mind. However in MY mind it just brings attention to the word. Like BOLD print in a report, UNDERLINING, or ITALIC. These are forms of bringing attention to the word. It must be WORKING it got YOUR attention. Like if you would have “emphasized” mythical. like I “emphasize” NO CUSTOMER SUPPORT. And I never watch sports. Also your last line ” I don’t hang here about what they are doing wrong daily” EMPLIES GM doing something wrong. And I feel it APPROPRIATE, you mite not, but I do. Yes the 3.6/9 speed is a massive failure. Instead it should have the 237 HP underperforming 2.0T because turbos are COOL! So yes we need a lesser tiny turbo engine that gets the same MPG as the larger smoother quieter and more powerful V6. 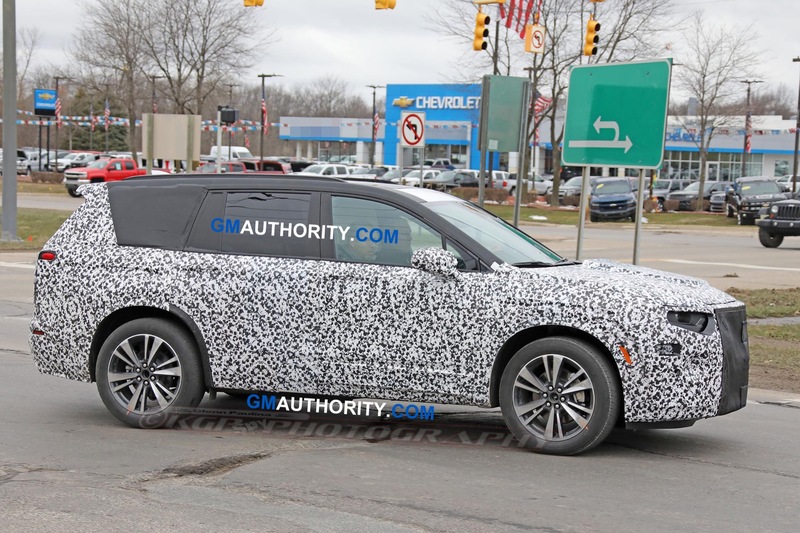 Now I do think they should offer the 3.0TT for the upper trim levels as Lincoln does but the 310 HP 3.6/9 speed combo is the least of this vehicles issues. 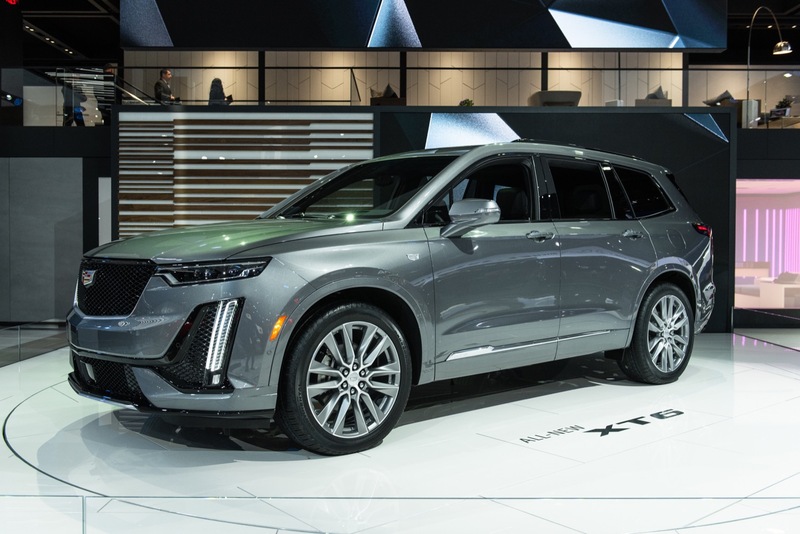 So the customer wants a 5 year old plastic interior in the most boring and blend designed cuv ever created powered by a chevy parts bin engine combined with mediocre reliability topped by a crappy customer service at a premium price? And not an EV in sight for the next decade to complete it all. No wonder they could not make it in Europe and were forced out by the big boys. 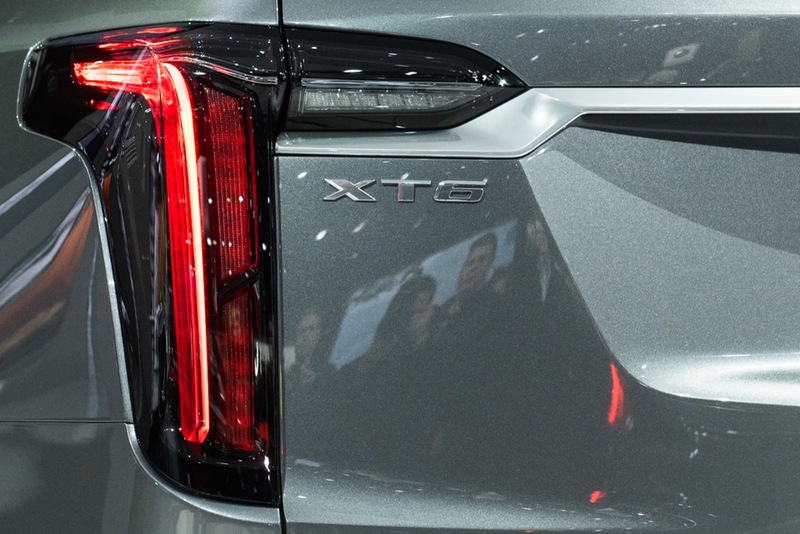 What is really sad is this entire blog response, and every single one I’ve read on other sites is negative towards the XT6 which was hugely anticipated. 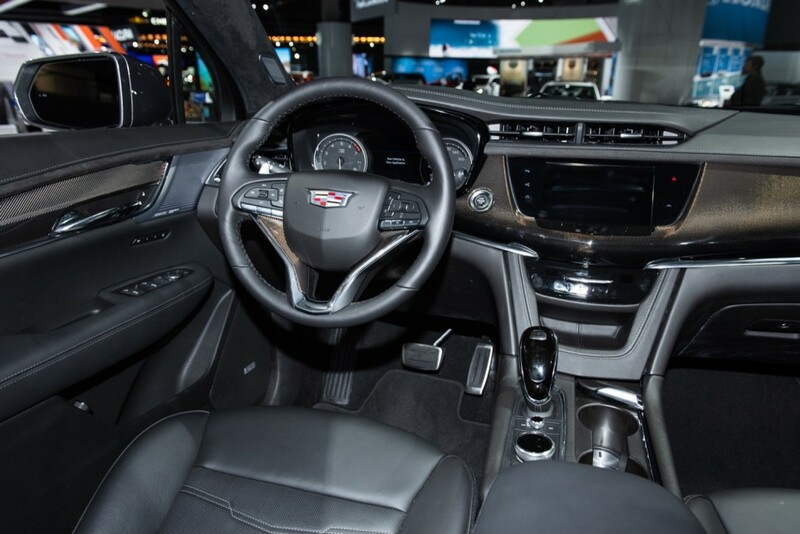 Why wasn’t it based on the CT6 platform which is a technical marvel. 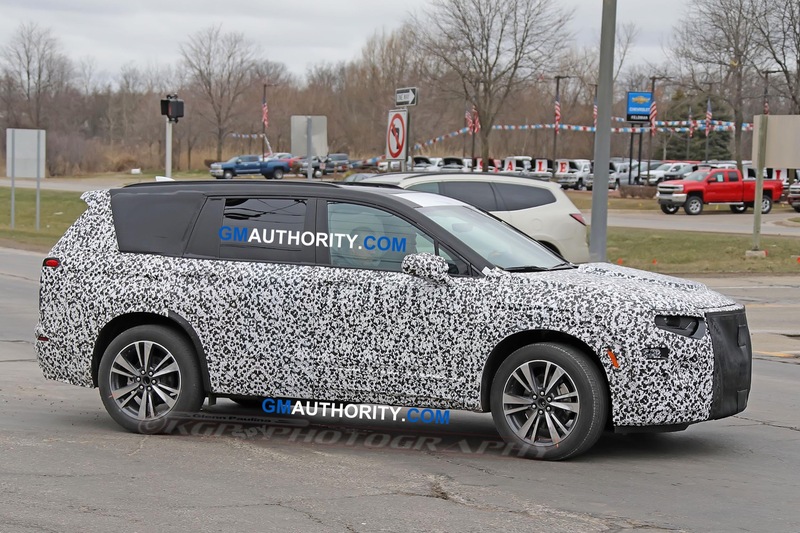 Why is it FWD, why is the styling less than the XT4, why is the interior so awful, why is it a badge engineered stretched Acadia? Because this is what was designed and approved… THIS is what they want to sell and for us to spend serious money to buy. Everyone needs to be fired at GM starting at the top. The culture there is short term stock prices not building products customers want to buy. Show us the breathtaking Escala, the fabulous El Miraj, the overwhelming Ciel then give us THIS? GM is joke, GM mgt is a pathetic joke and their market share is going to continue to drop which means their “long term” stock price will drop, but probably AFTER these clowns are gone. Sounds to me a lot of you have not driven some of the new vehicles. 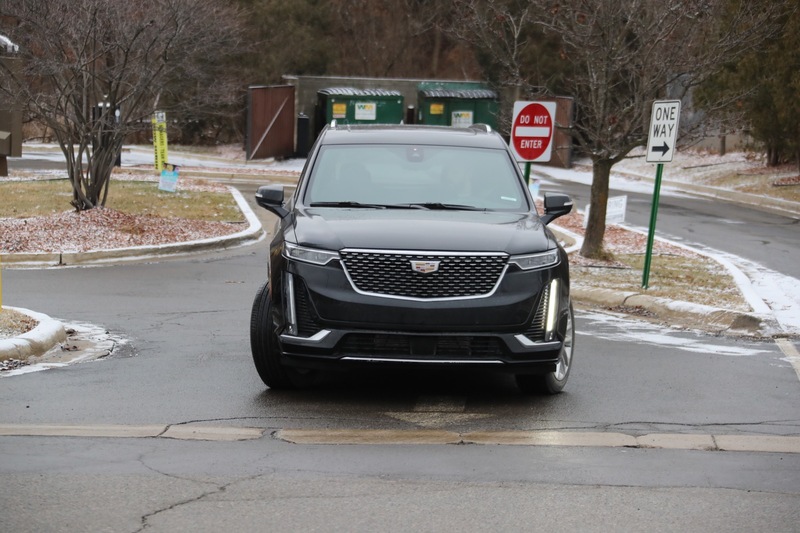 I drove the Equinox and Terrain and bought the Terrain because it handles differently and I like the look better. Sharing platforms and engines is fine as long as things are different. 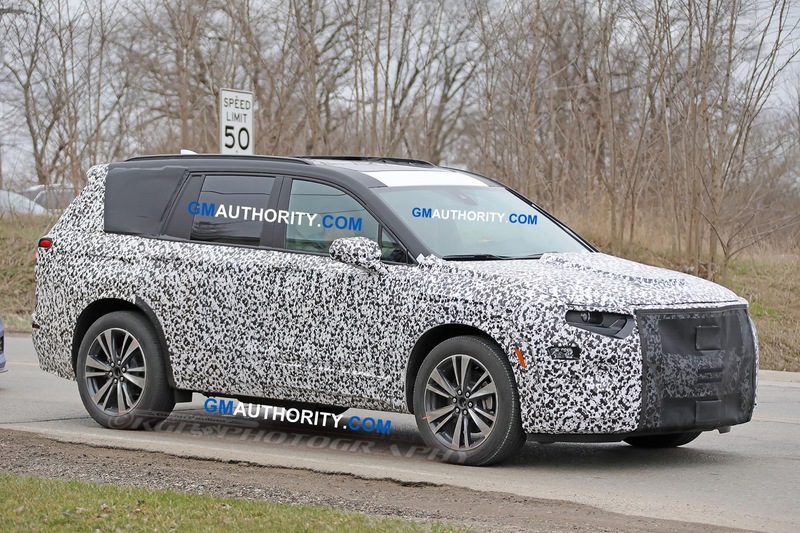 Which this will be different than the GMC Acadia by a lot. The buying public will not know they are on the same platform. 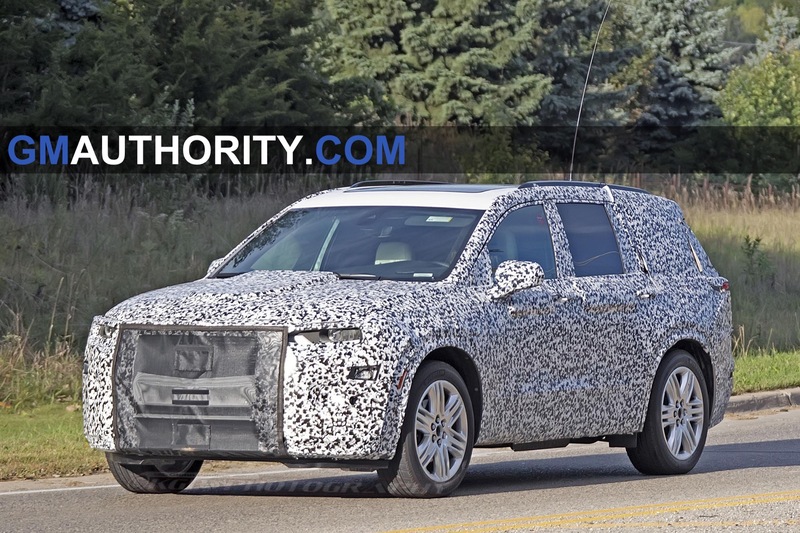 I also bet the new Escalade is going to be awesome with a independent rear suspension. Which will be printing money for them. Sounds to me a lot of you GM people, like myself, have not driven the competition. 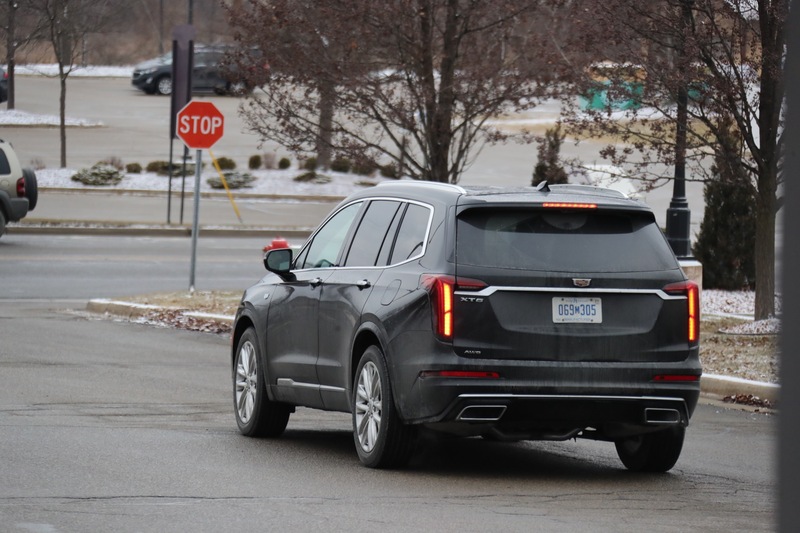 I have driven the NEW GM stuff, and the competition. I agree that the buying public will not know what platform they are on, however the buying public will know when the competition drives better. Now I will lump “drives better” into, handling, acceleration, and long trip comfort, to keep it simple. Then if you add price, look out. 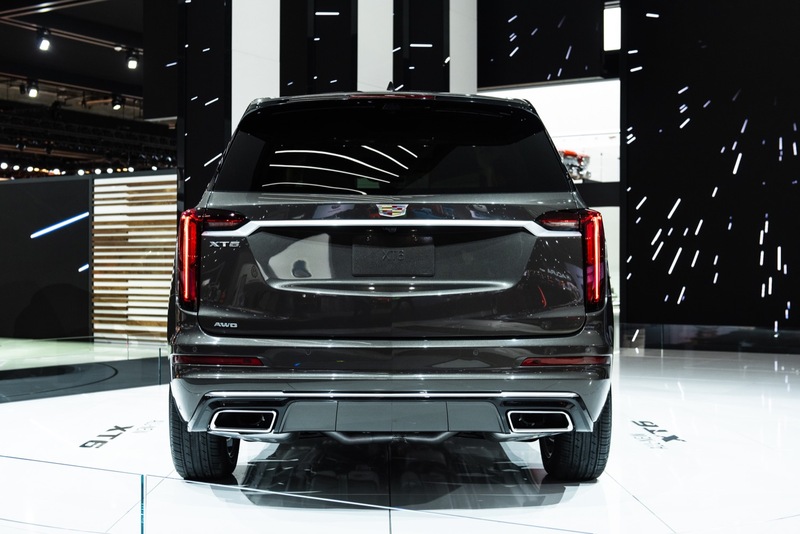 I agree the Escalade will print money but that is it. Look at the V8 CT6 it is printing money but only 200 some. Why do these two Cadillacs print money ? PLATFORM. 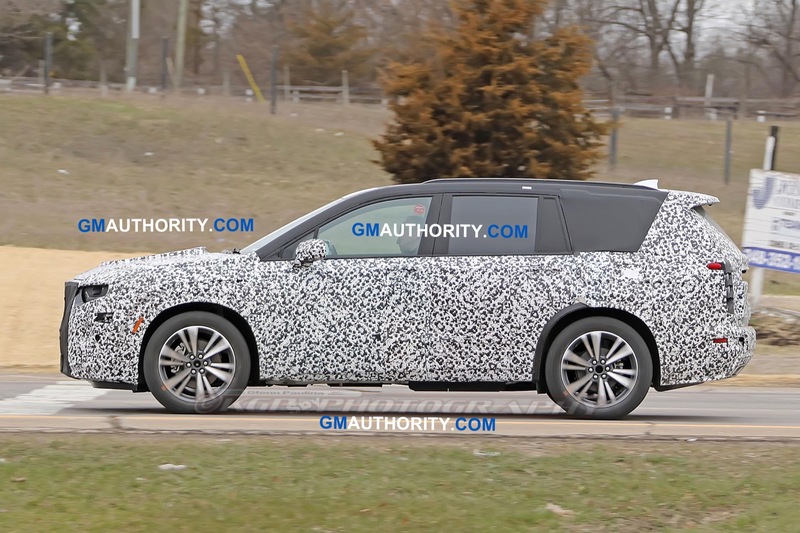 How much money did the CT6, 2.0T print ? 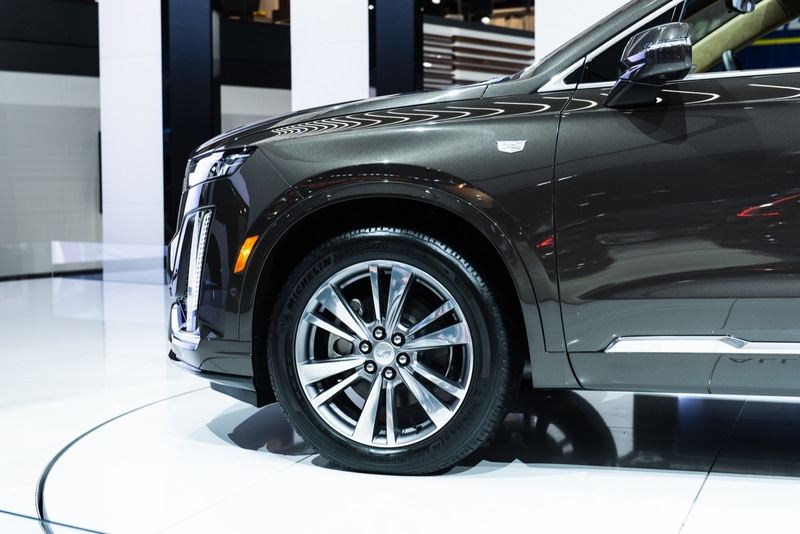 When the buying public is looking for a vehicle, say Cadillac CT6 and Audi A6. The buying public goes to the dealers to test drive both. Well the vehicle on the dealer lot is an A6 with a 3.0T (standard) and a CT6 2.0T (standard), well. Drive them, compare. What platform I don’t know what platform, engine, transmission, I am just test driving competitive vehicles and looking at standard options and price. 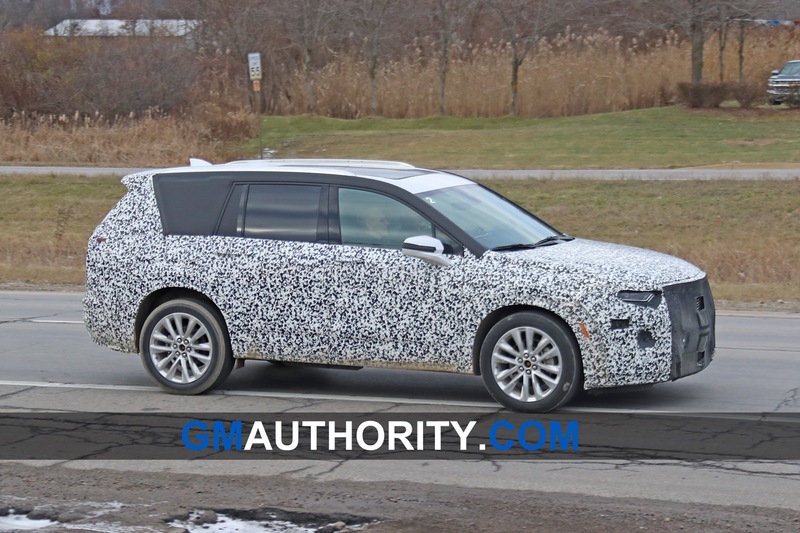 Sure if you are only driving GM vehicles and comparing GM vehicles, but GM loyalists are wearing thinner each day. Look at what is out there in the world today. Compare. Drive. Put the do pressure where the pressure is do. 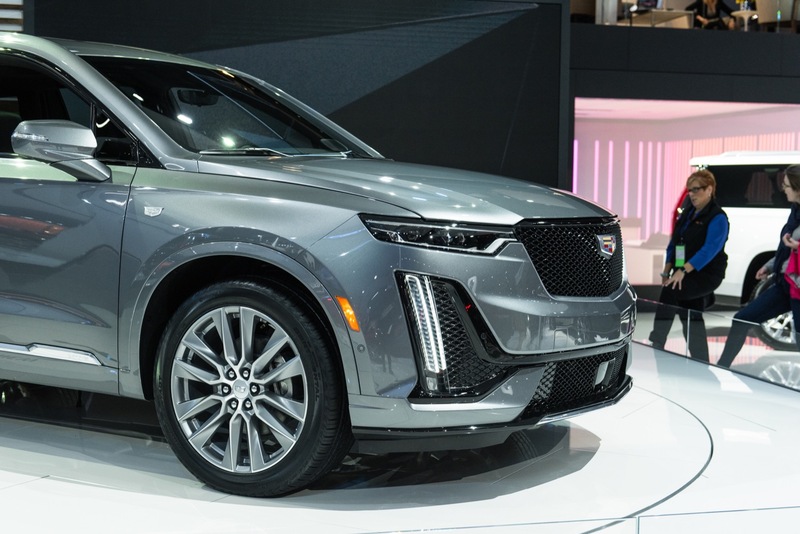 People who love this new XT6 great good for you. Like I said, I like it also except the ( platform) ok not platform, I will simply say power. 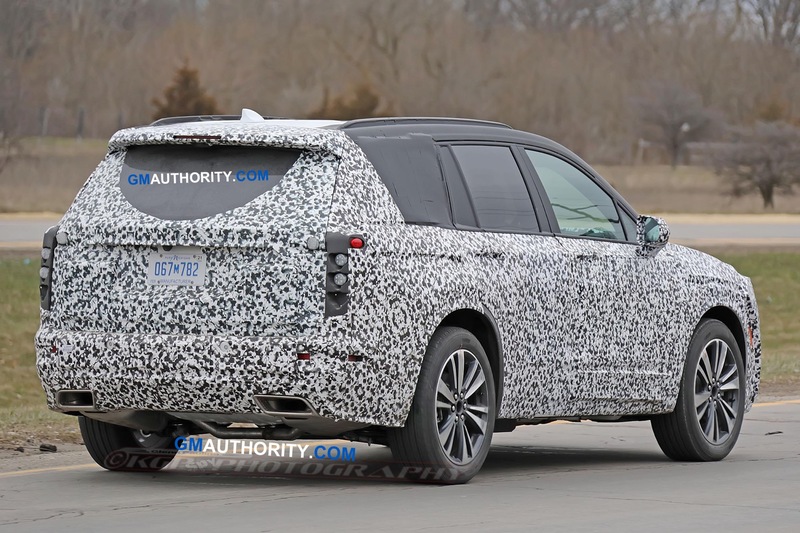 I am about 80% sure we would be driving a XT4 if it had this 3.6, see power (platform). I am 80% sure we will be driving the new CT5 when it gets here, but never with a 2.0T, 3.6-OK, but not a 2.0T. 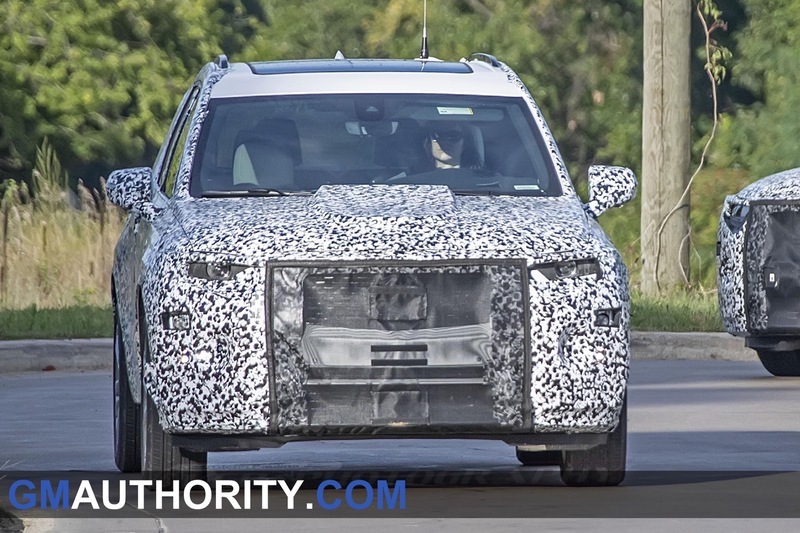 From the up-front looks of it, I’d probably choose the upcoming Kia Telluride over the XT6. Why you ask? 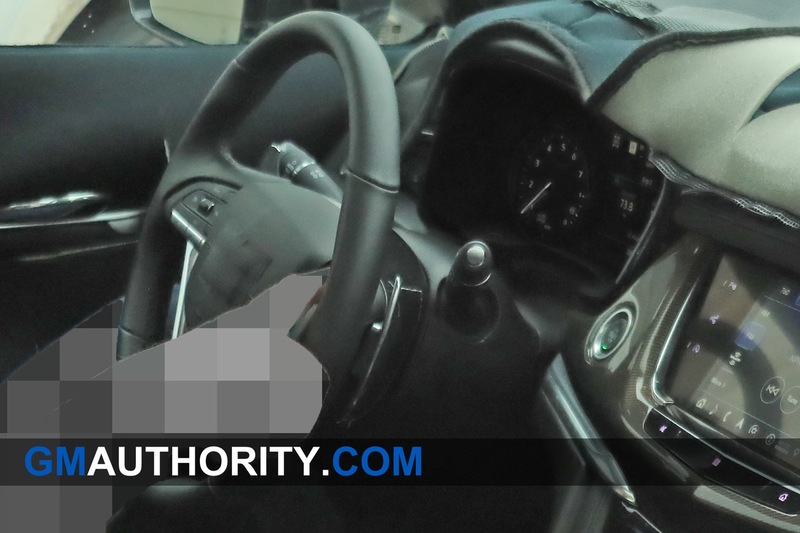 Because Kia knows how to effectively execute an interior. They go above and beyond with most materials. Their design language simply rocks. It’s got to be a better value across the board. It’s going to have a better warranty. 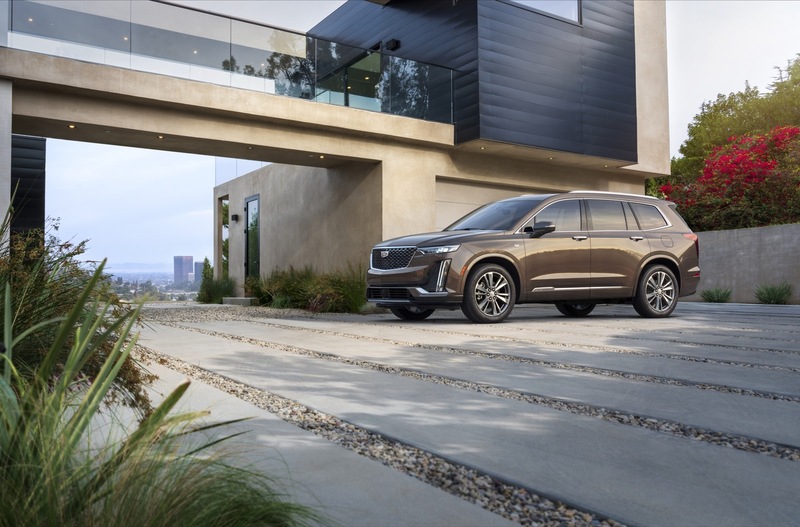 I think Kia (and Genesis, if they can ever figure out their dealer network) could easily be leading brands with a few more all-new launches. 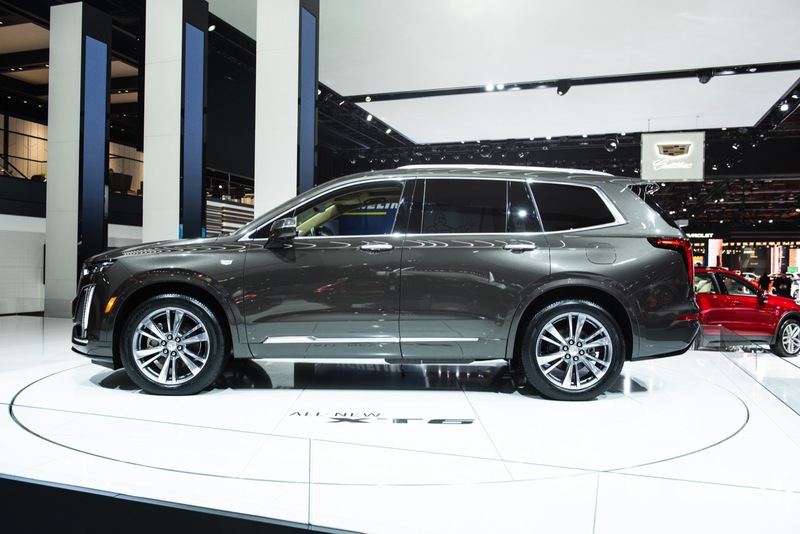 They’ve had some knockout vehicles lately that have impressed even stalwart auto enthusiasts and industry watchers. 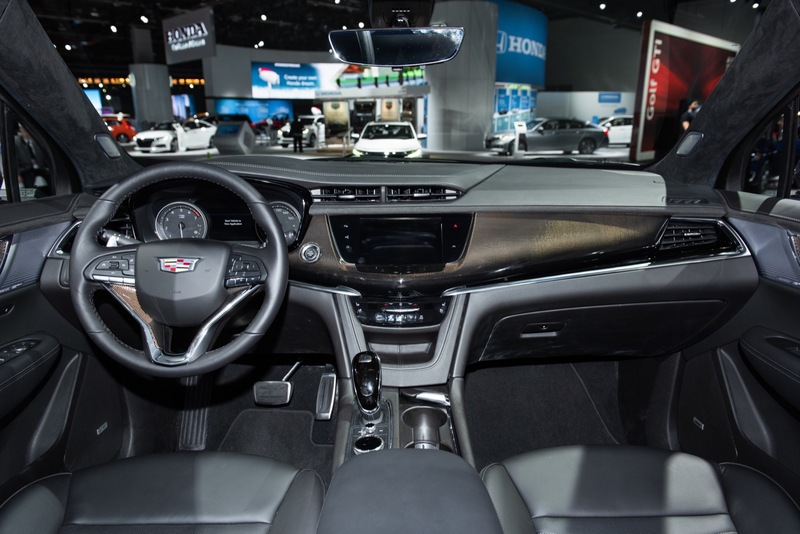 GM falters in two areas above all else, pretty much no matter the vehicle and with very, very few exceptions: interior materials/design, and overall value for the money. 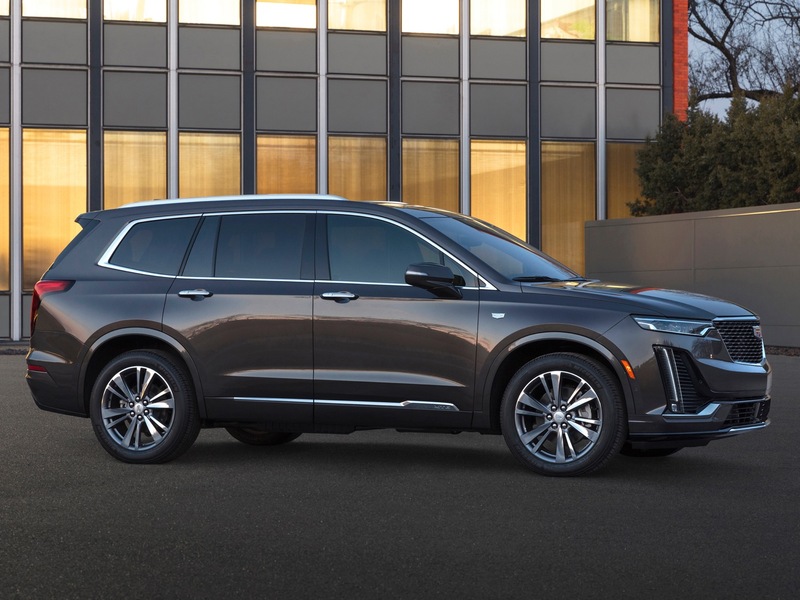 Most people entirely scoff at the MSRP on new Chevy vehicles (much more so on GMC and Caddy) – and because the incentives and vehicles themselves are often poorly communicated through GM’s terrible marketing campaigns, I firmly believe the entire corporation is executing poorly. This new widespread Silverado campaign reeks of “we’re not making enough sales, so put it literally everywhere. we messed up!” to me. 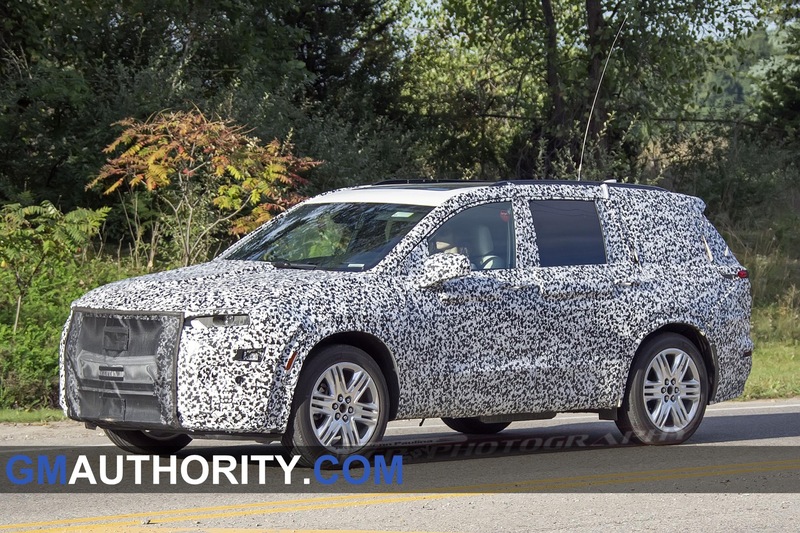 I can’t wait to see the new 2020 Chevy Tahoe, mainly because I want to see how badly they screwed up my favorite GM vehicle. I want to be clear – I want to love GM. 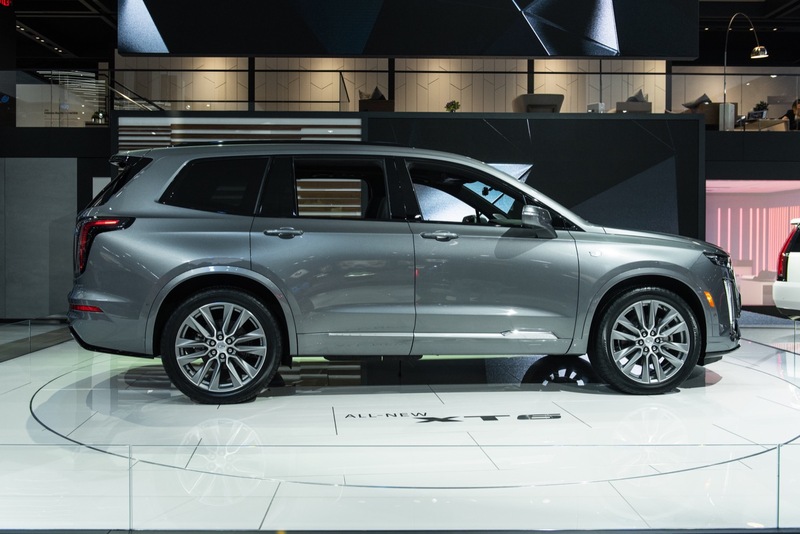 I grew up in Chevies – a Blazer, Trailblazer, Tahoe, Lumina, and a number of Malibus. 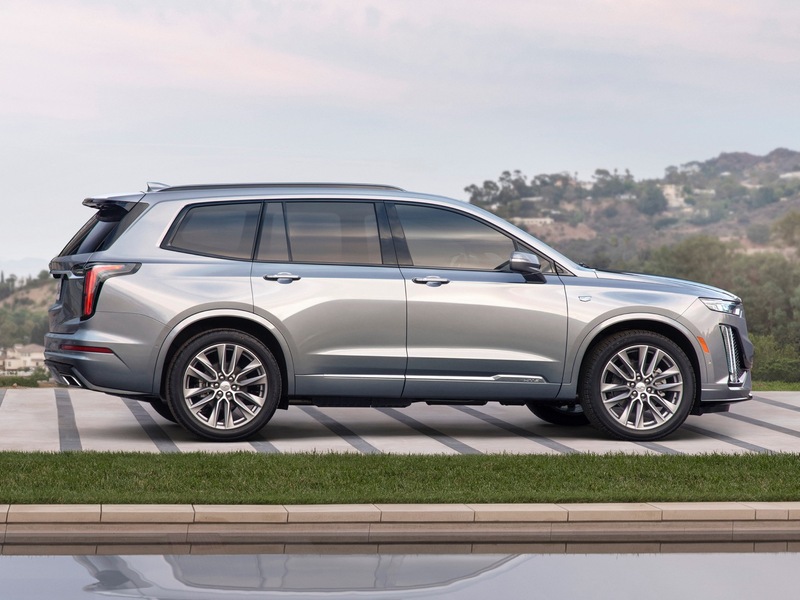 However, my entire family has gravitated away from the brand in many ways because we, for example, felt the Ford Escape executed much better on being a small CUV than the equivalently priced and aged Chevy Equinox. My buddy is looking for a CUV for his wife soon. 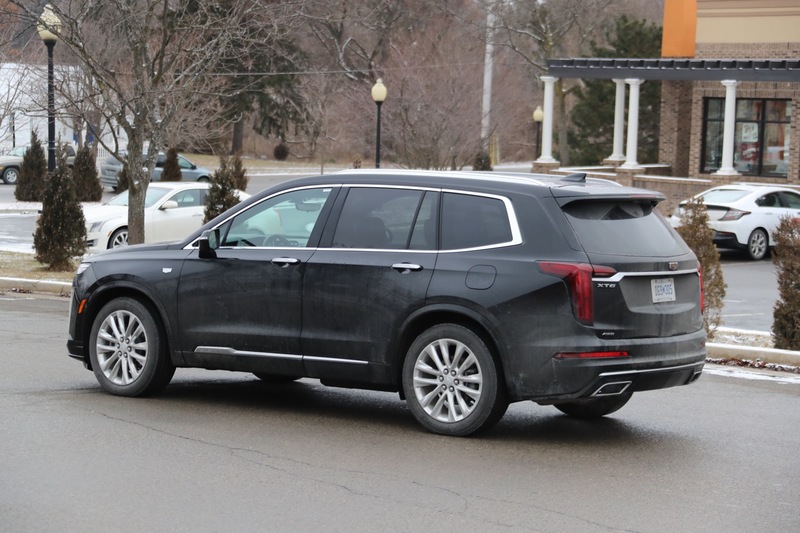 We looked at the Cadillac XT4 which had a price tag of 54K and then sat in a new Hyundai Santa Fe Limited AWD with the 2.0T that coincidentally makes within 2 HP of the luxury Cadillac. 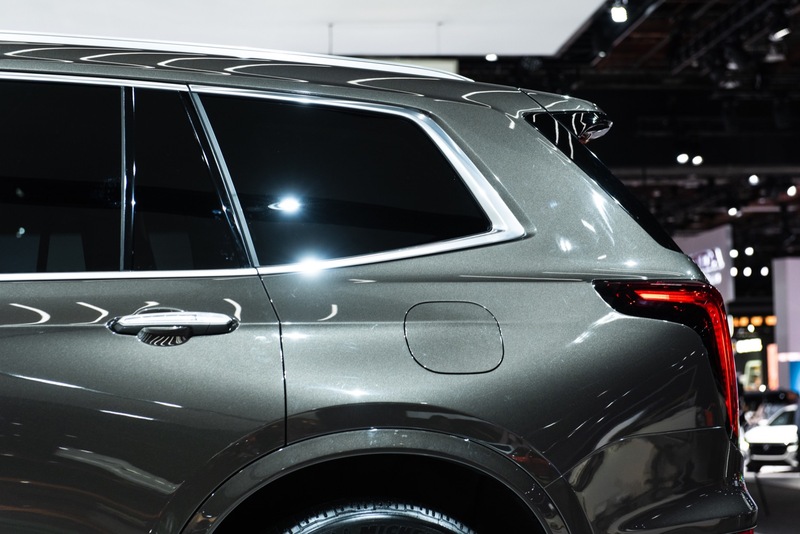 The Sante Fe Limited 2.0T was 37070. And we both preferred the Hyundai, especially the interior. 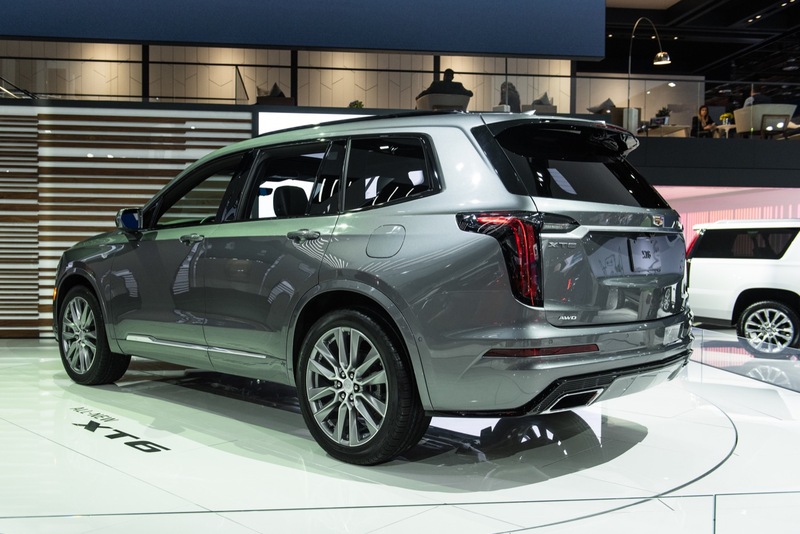 And before everybody chimes in that the XT5 is more comparable size wise those were even more expensive with an interior just as bland and dull so he pulled it from his list of vehicles to consider. 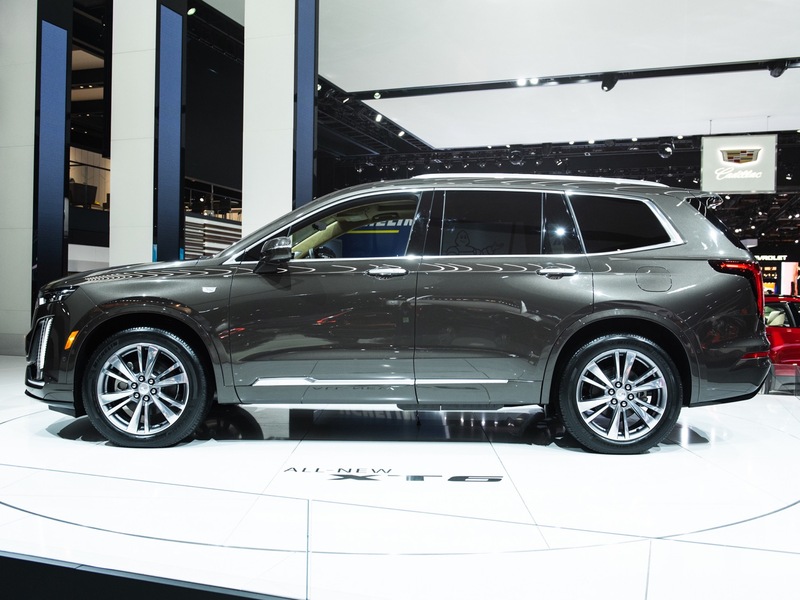 In comparison the Lincoln dealer right across the street had new 2019 Nautilus Reserve AWD with the 2.7 TT V6 with 5 gorgeous interior color choices for about the same price as the mediocre XT4’s and those model Lincoln’s are supposed to be a size and price up from the little Cadillac. Just sad! 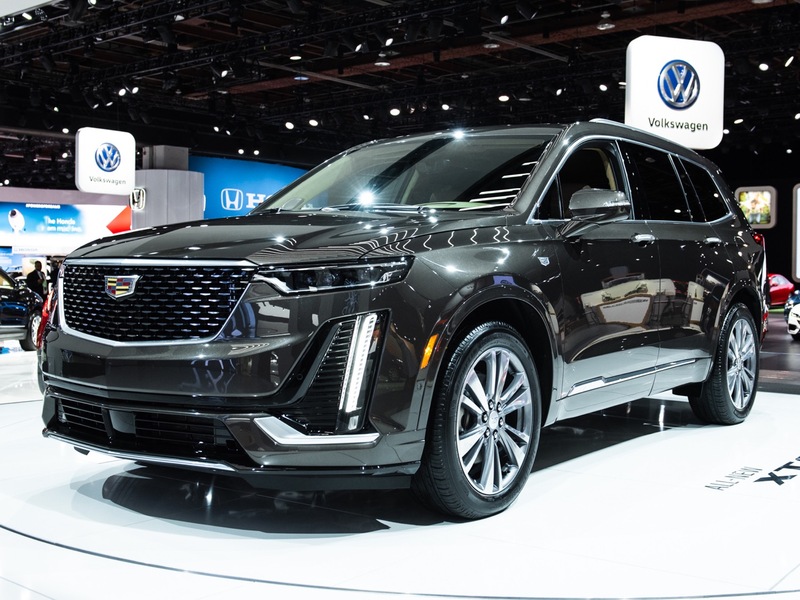 Good points but don’t totally discount GM.I have a 2019 Equinox 2.0T LT with some option packages, and it’s an awesome vehicle. Driving dynamics are better than any other small crossover I’ve ever tried. The interior is basic but it works and I find the simplicity rather elegant. With premium gas and the 9 speed auto it makes great power and I consider it to be the best performance bargain in the entire segment. I paid 28k for it. 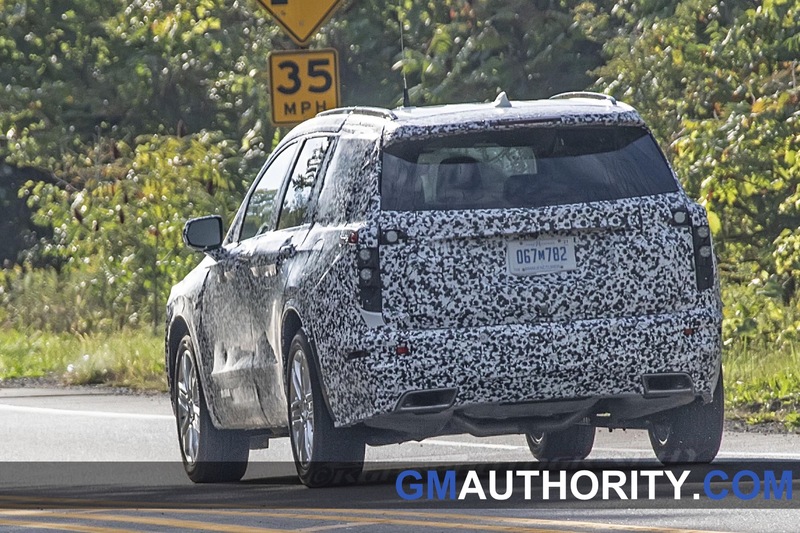 MSRP looks high on GM vehicles but you won’t actually pay that if you’re smart about it. 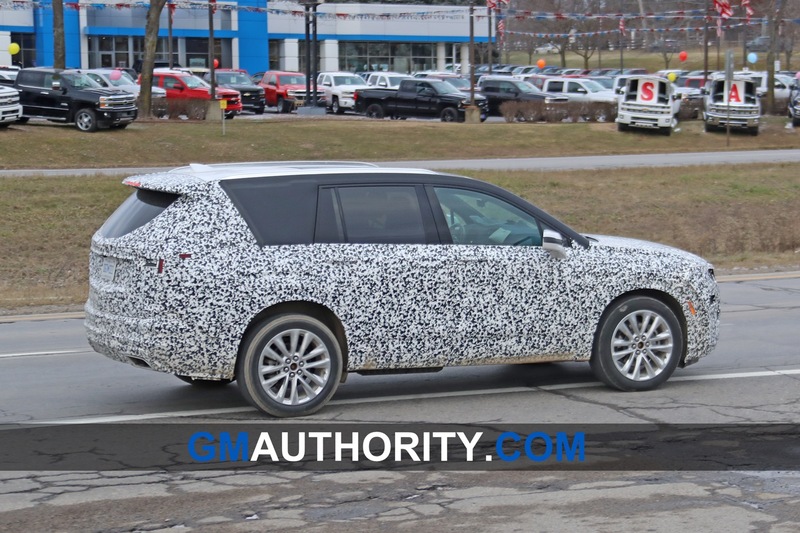 I guarantee my Equinox will have fewer quality issues than any Kia. Kia and Hyundai may have been really basic vehicles 20 years ago, but they’ve always been reliable ways to get from point A to point B. 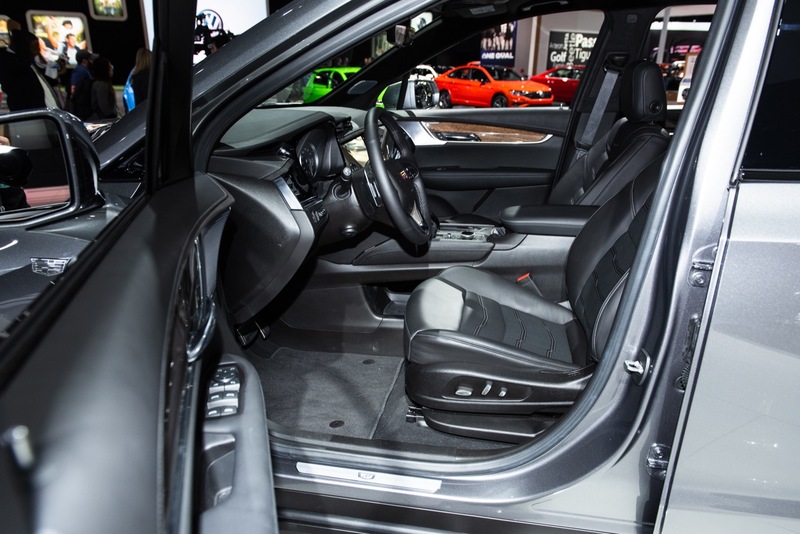 In the past 10-15 years, they’ve brought their interior materials, build quality, luxury, tech, and engineering to equivalent or better qualities as those of the mid-range mass market brands like Chevrolet or Ford. I would also point out that there’s a reason Kia and Hyundai offer a 10 year/100,000 mile warranty (beyond a marketing ploy) – it’s that they believe in their products and their ability to make it 10 years and 100,000 miles without paying out a massive sum of money. 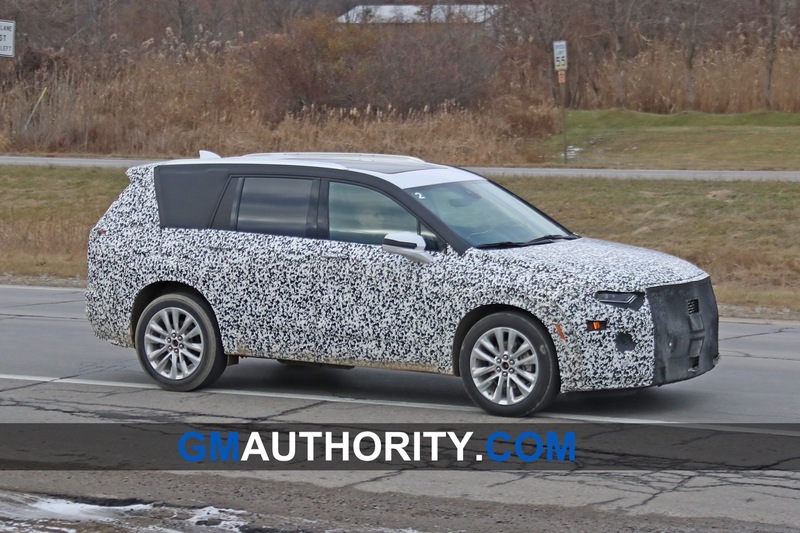 My mother had a 2007 Hyundai Entourage – a minivan built as the global economy was starting to slide and the entire automotive industry was forced to start making cuts. It had 1 recall that ever applied to it. It was perfectly reliable and only ever had normal maintenance downtime. She traded it in 5 months ago with 220,000 miles and I’ve seen it driving around even still. It wasn’t perfect – some of the chrome platings were starting to peel, and the A/C had sprung a small leak within those last couple months. Both easy fixes that we simply didn’t do. 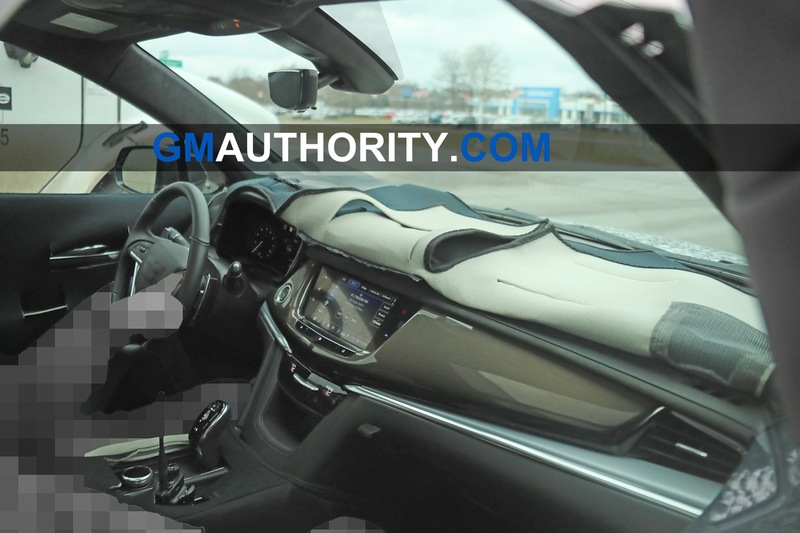 So Ruess basically just admitted what I have been stating for years…Cadillac is nowhere near a Tier One Luxury Brand. When? When? When? When? When? When? When? WHEEEEEEEEN??? 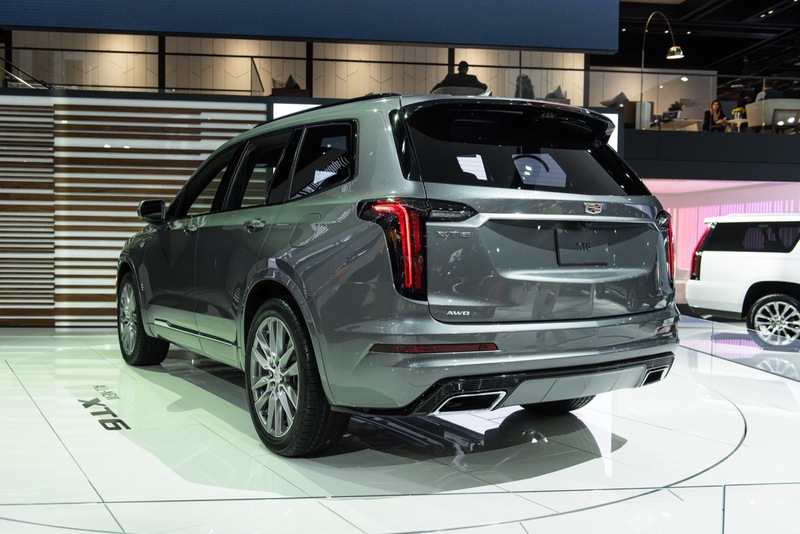 All the current Cadillacs are nothing but pos compared to the rivals. 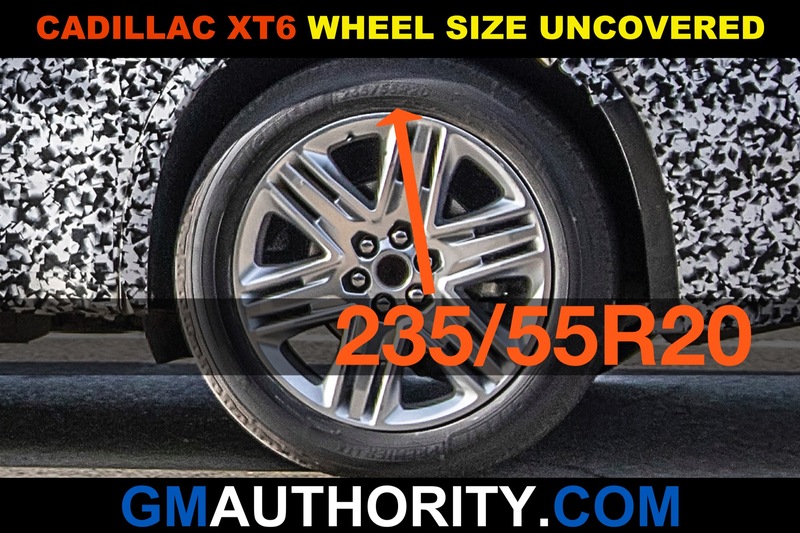 XT6 is a *ucking shame. The supremacy of so called tier 1 luxury brands is not so cut and dry anymore. 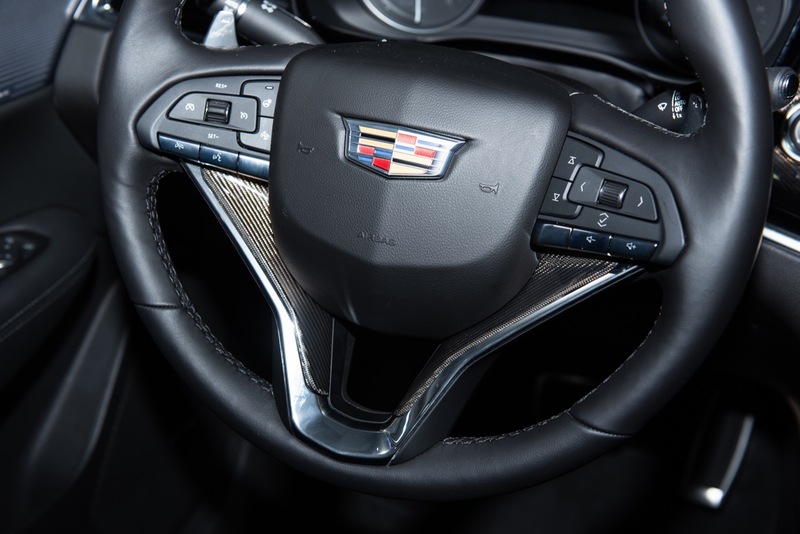 All supposed “tier 1 luxury” brands sell vehicles at the price point that cadillac is targeting and those vehicles have stripped down interiors too. 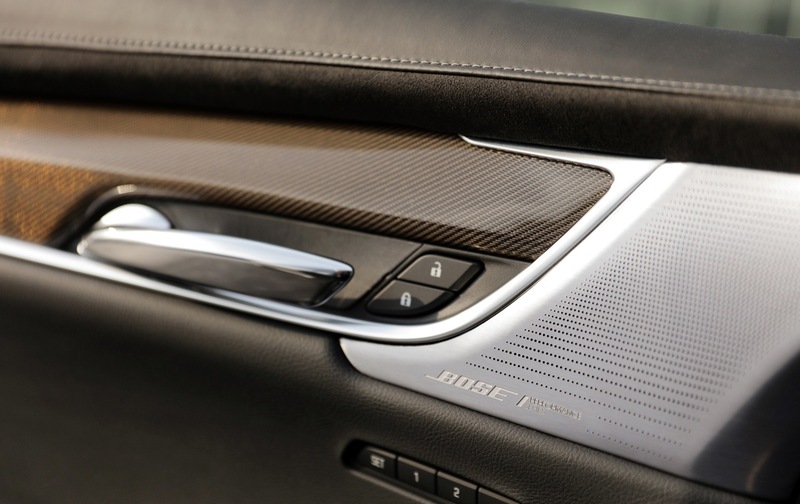 Base BMW and Mercedes CUVs don’t come with real leather, don’t include all the bells and whistles, etc. People complain about it but at the end of the day, there is a huge market for those types of vehicles. People want things like a BMW X3 base model with a turbo 4 that you can put in your driveway for 45k. 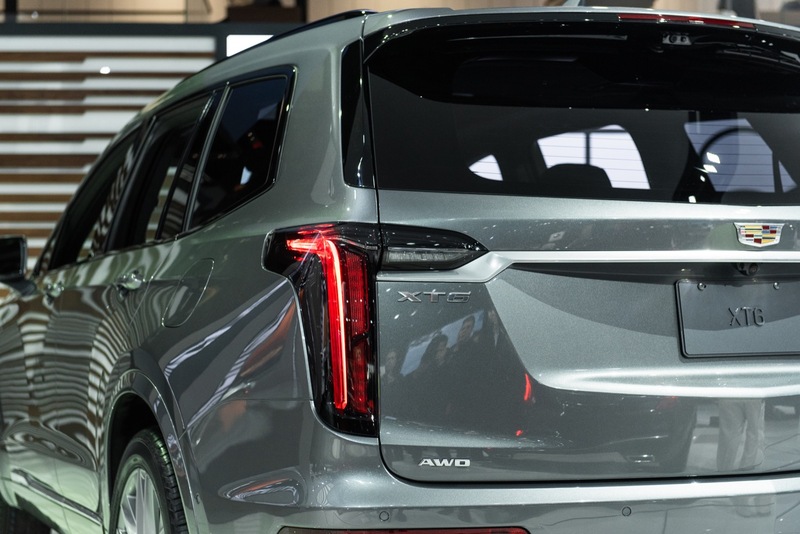 That is the market Cadillac wants to compete in, and that’s all Mark Reuss is saying. 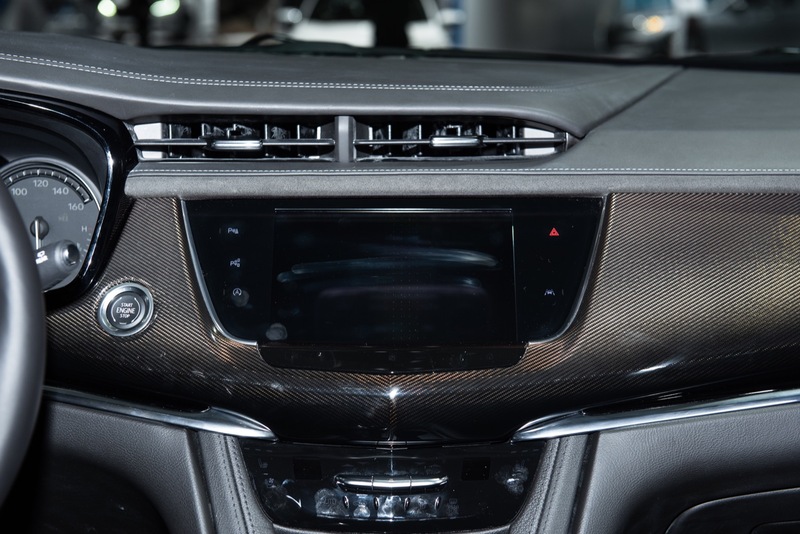 The BMW interior is no better than the cadillac, it uses the same plastics, same fake leather. At the end of the day “Tier 1” is just a concept people are holding on to from the past. 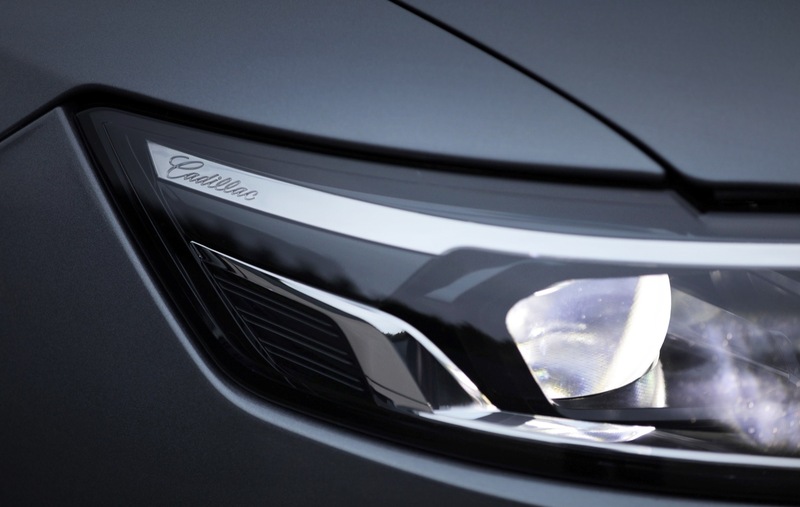 Today, the fuel economy requirements on cars necessitate light weight and basically all vehicles even the highest trim models from Tier 1 luxury brands use the same light weight plastics as the base cars. It all comes down to design, aesthetic, and execution. 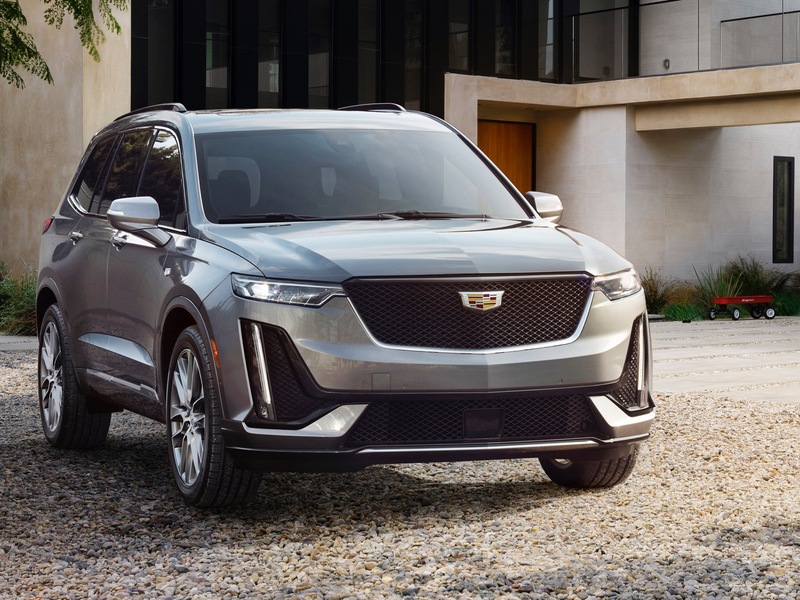 Cadillac has made certain business decisions about how to be profitable, and to some degree it works. 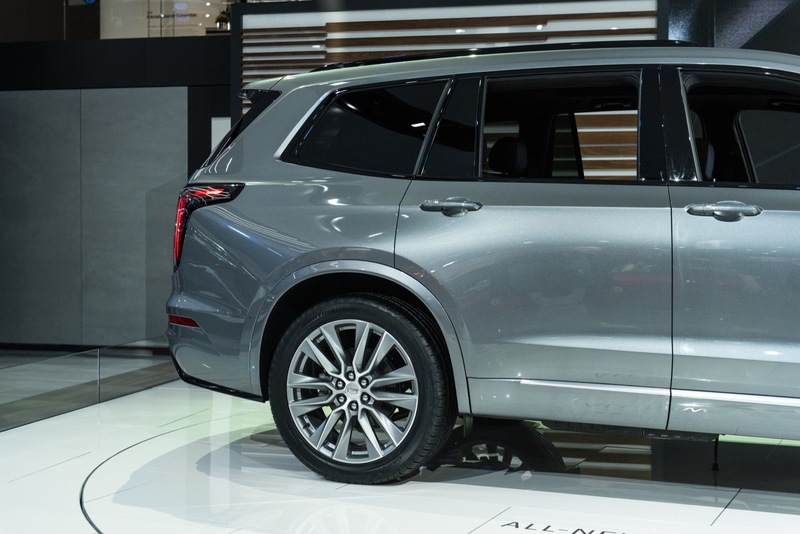 You can option out a Chevrolet Blazer with leather and the bells and whistles for around 45k. 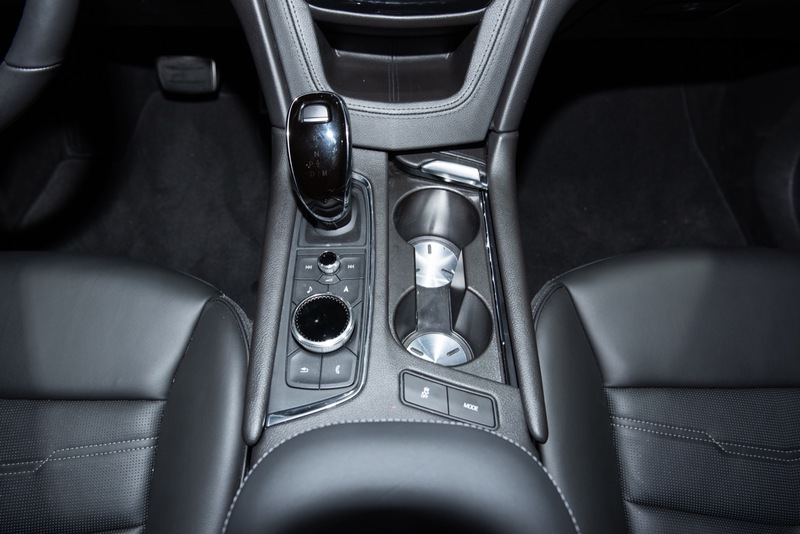 You can option out a Chevrolet Equinox with the same leather and the bells and whistles for around 40k. 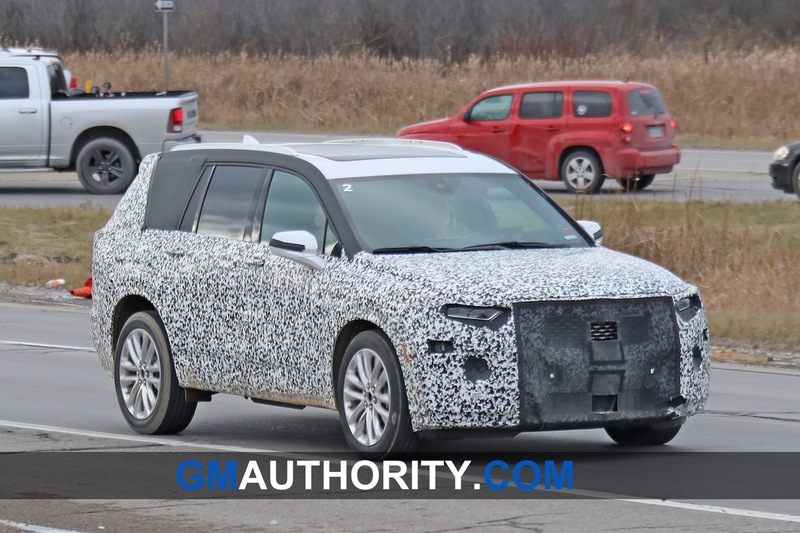 A Cadillac XT5 spec’d the same is 50k and costs the same to manufacture as the other cars. 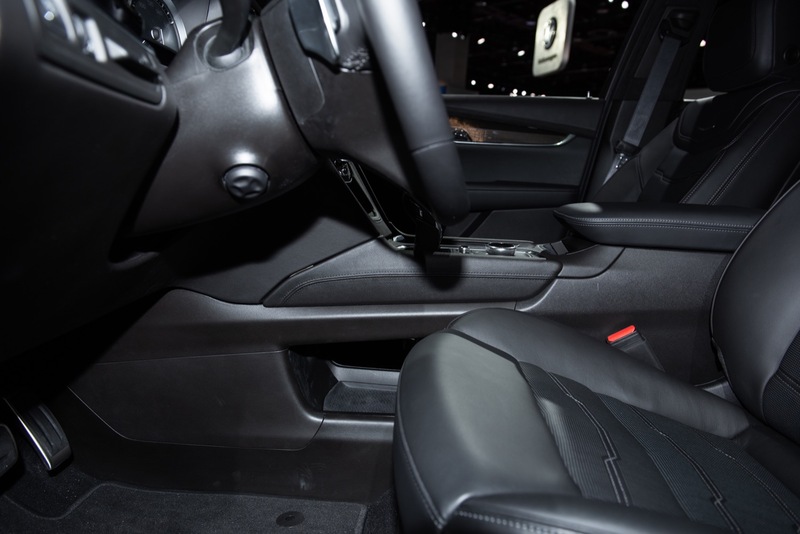 That extra 5 or 10 thousand dollars buys you a few gimmicks like an electronic shifter, some badges on the seats, but the platform, drivetrain, etc is no different and the interior really is no better. 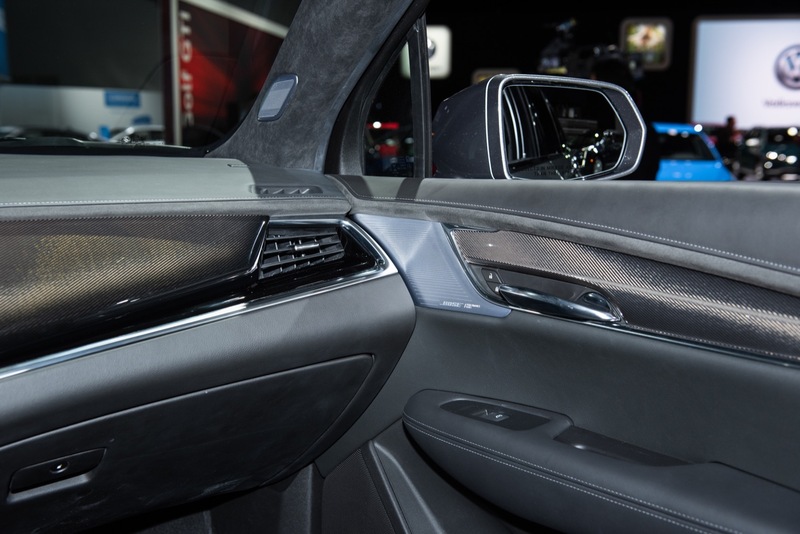 People will only spring for the extra 5-10k if the seats really are more comfortable, the tech stuff really is more useful and convenient, or the design really is more captivating. Sometimes that has been true. Often it isn’t. 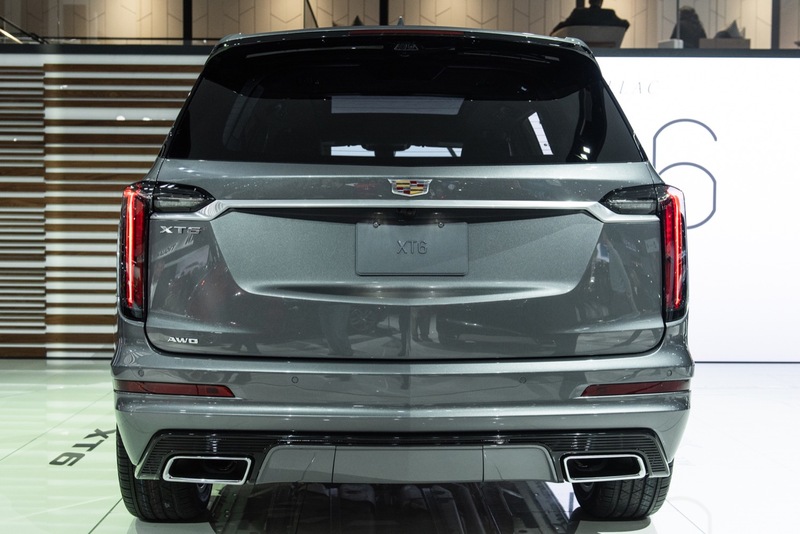 For cadillac to truly be profitable in this market, that extra 5-10k must get you something tangible. 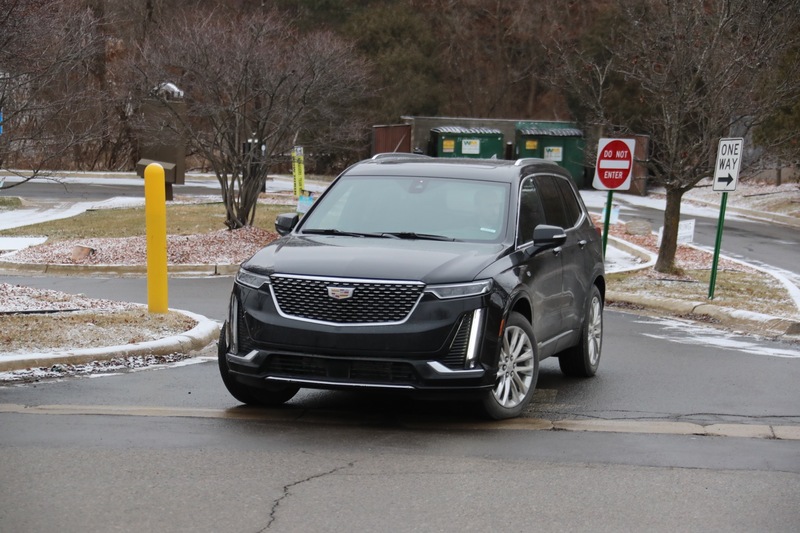 It does NOT make sense for cadillac to develop a bunch of unique engines and platforms for their vehicles which increase maintenance costs and require lots of redundant service department training, facilities, etc. 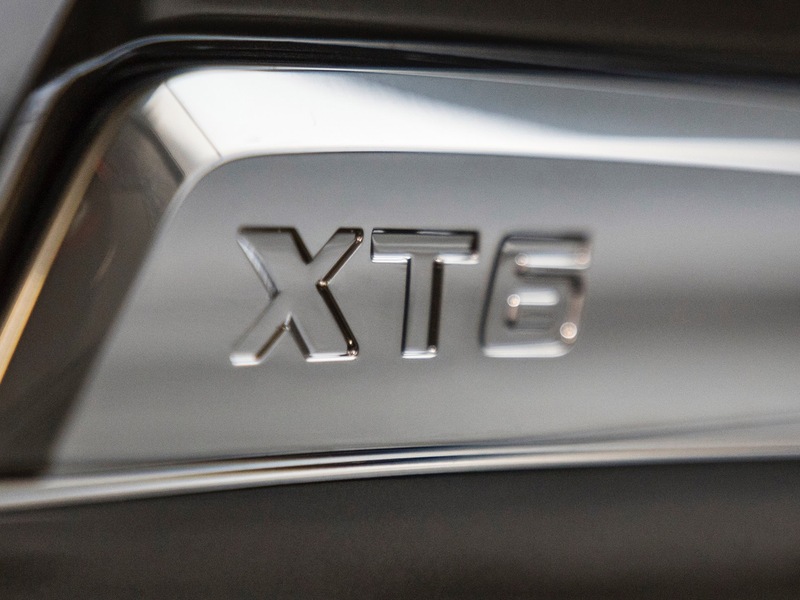 The LGX V6 engine makes more than enough power and is currently the pinnacle of N/A V6 technology. The fact that it also goes in Traverse/Acadia doesn’t matter. 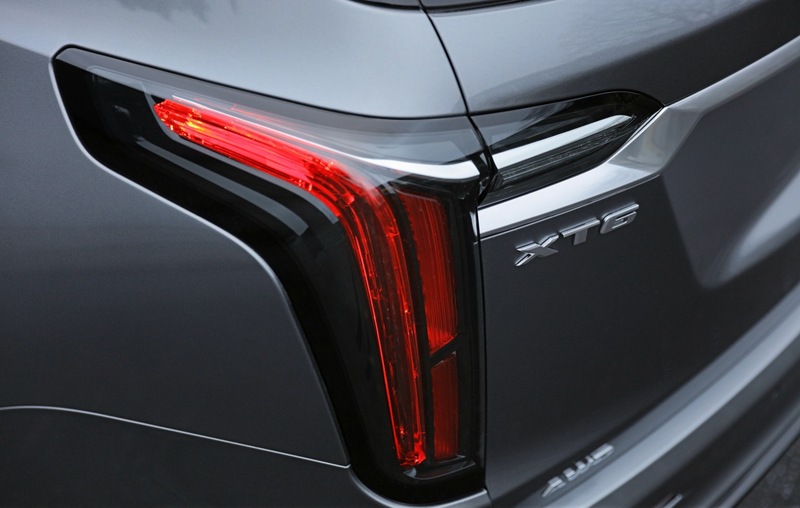 What Cadillac CAN do, is spec the corporate engine better, do a turbocharged or supercharged LGX, etc. 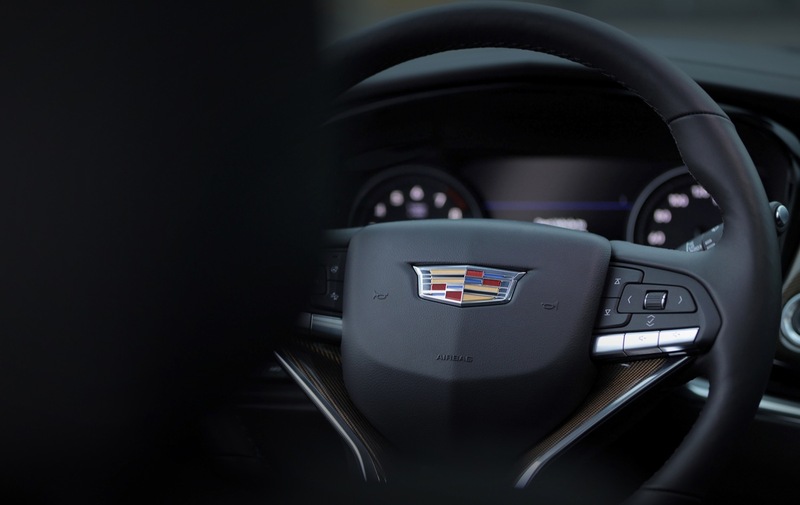 People seem to want Cadillac to be everything–mid-tier luxury, tier 1 luxury, tier-0 luxury. 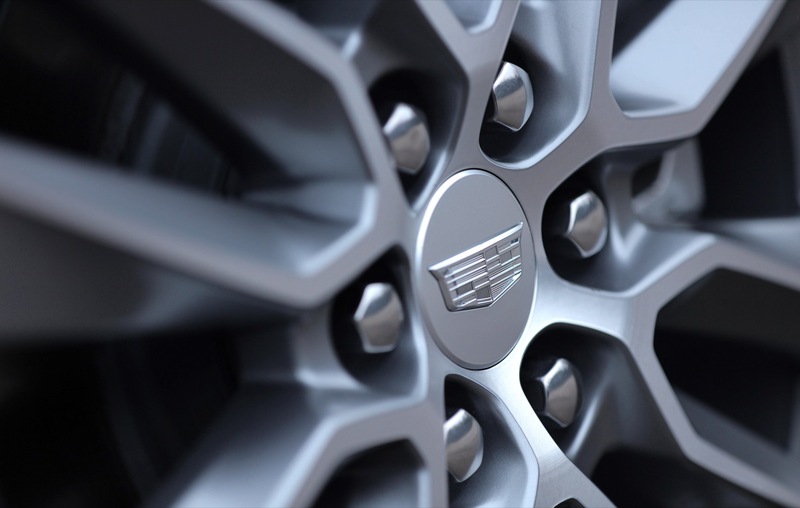 Some even want Cadillac to be the North American Bentley. Yet those very same people aren’t buying Bentley’s right now. Why not? They don’t have the money. Ok lets say that is all true. 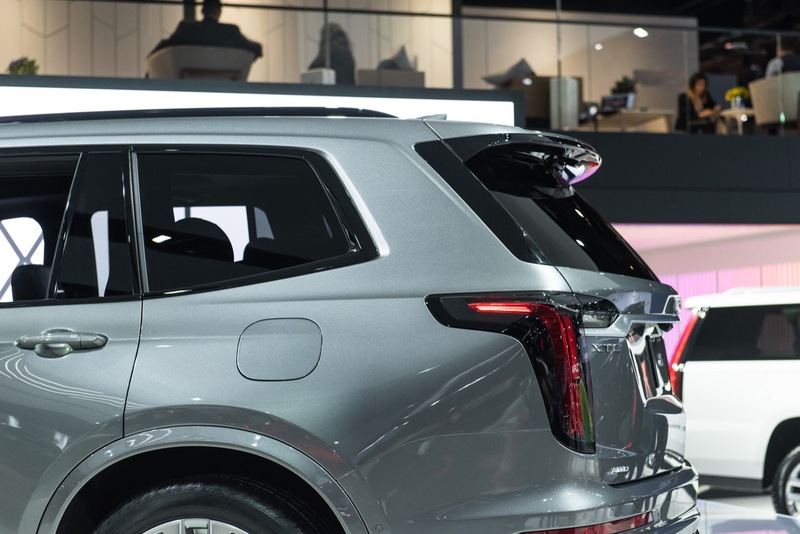 Compare a fully loaded X5, Q7, GLE, Aviator, and Discovery and whatever else you’d like to add. 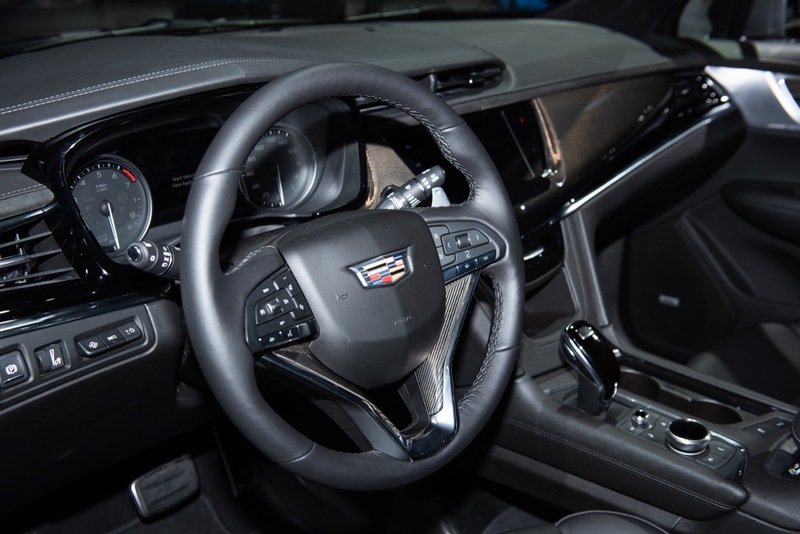 Is the Fully loaded XT6 Interior comparable at all in terms of Materials, Technology or pretty much anything? Is it comparable in the engine Bay? Is is comparable in Total Technology? 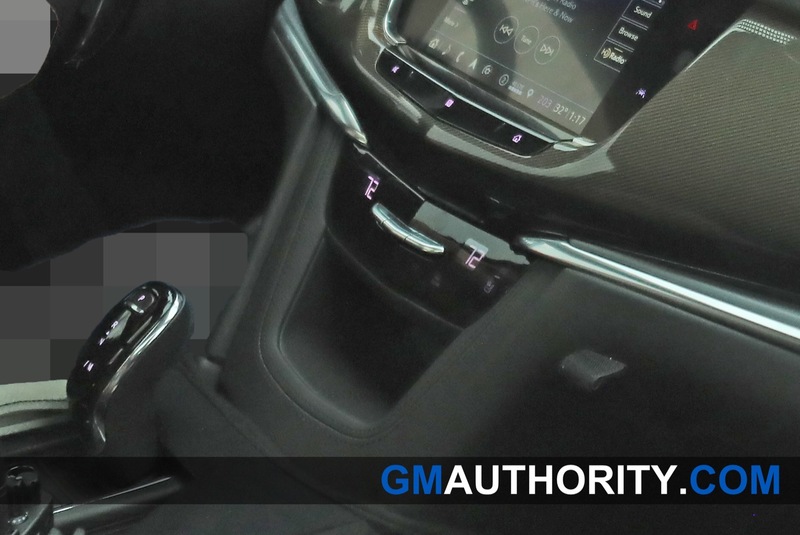 Safety or Driving features. In Pretty much any Tech. 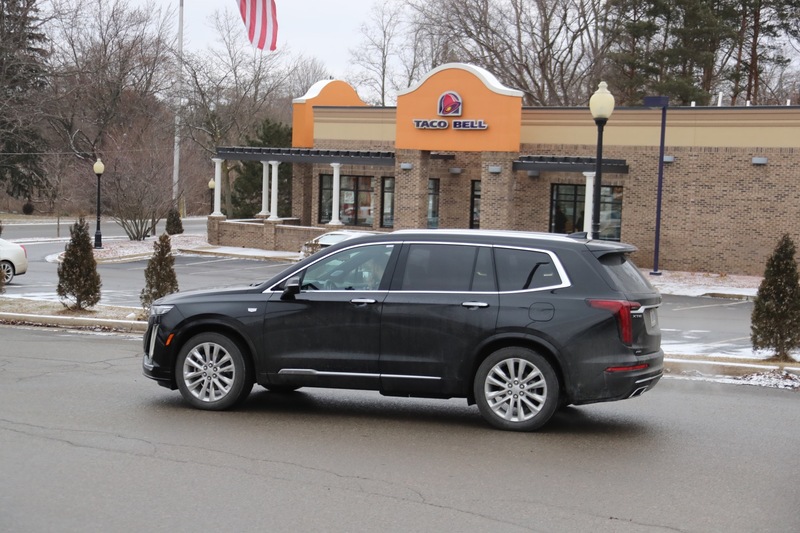 What does the XT6 best it’s competition in? Name me one thing. 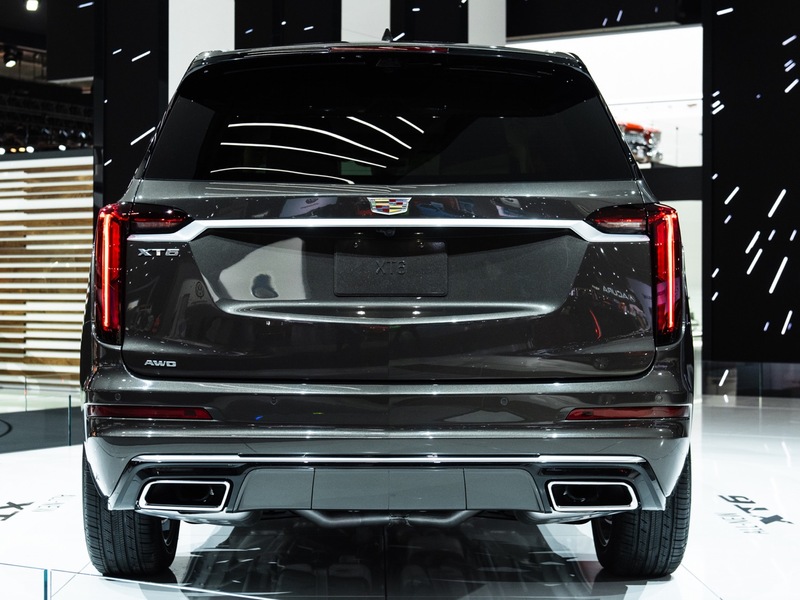 Lets all just face it, GM made once again a Nice enough effort for PURE Cadillac Loyalists and that is pretty much it. I am still pulling for them as I am a HUGE Cadillac fan and the I’m the age group they want to bring in. 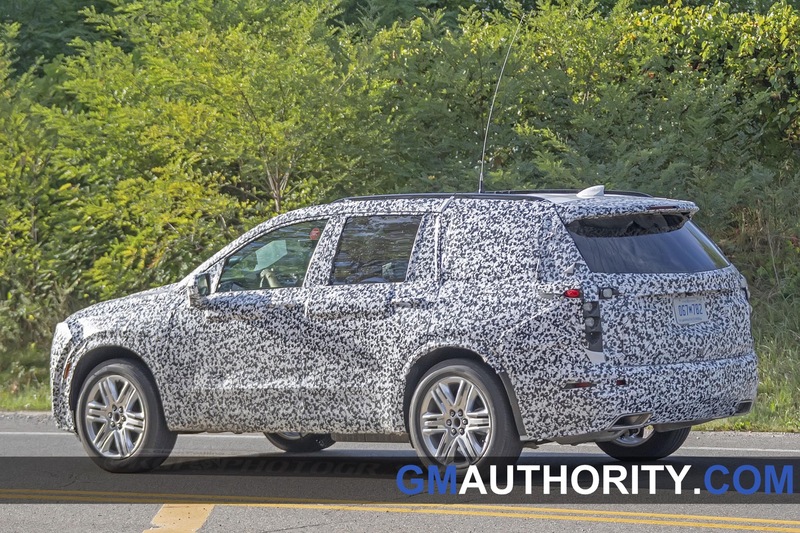 I am still waiting for a NO Compromise effort from GM. 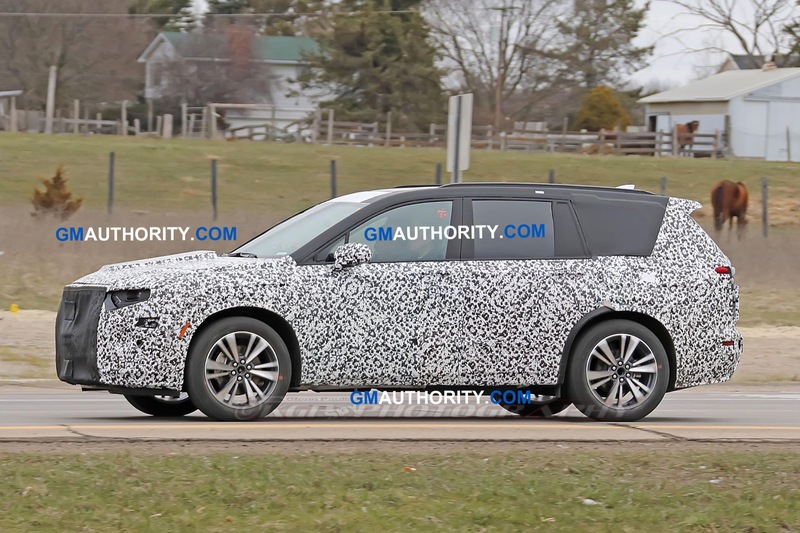 Hope that the CT4 or CT5 are it but we all saw Spy Shots of the interior so we pretty much know those will probably not be what saves or pushes Cadillac to True Tier One Luxury Status. 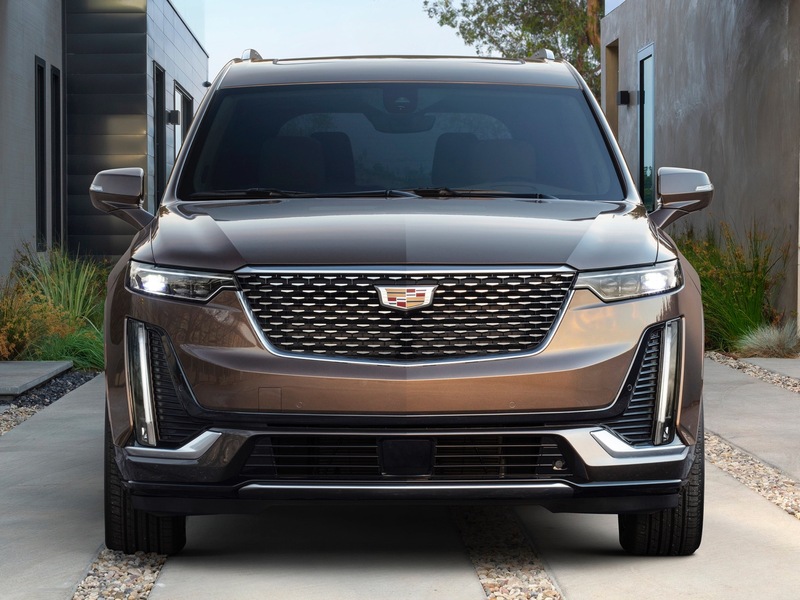 If GM doesn’t hit Grand Slams with the upcoming EV’s, Cadillac is probably done. And GM has nobody to blame except themselves. It’s difficult to understand why these people are in charge of Cadillac. The public missteps alone are mind-boggling . 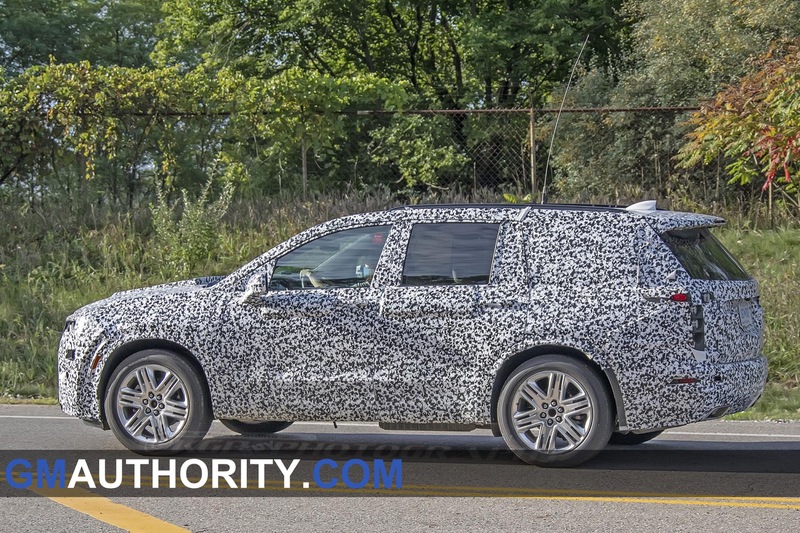 Reuss recently said that “We don’t have any chances left with taking Cadillac to a really new place,” he said. “This is pretty much it.” Sooo, are we supposed to want to invest our supremely hard earned dollars in a car and company whose president basically says it’s over? 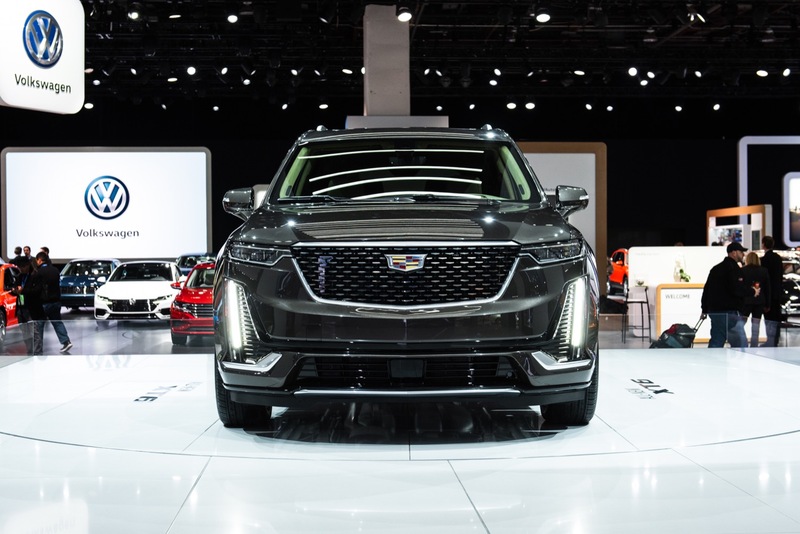 Electrification will not save Cadillac or any other automaker anytime soon and certainly not in the U.S. Cadillac was already well on it’s way to a new place but bean counters relegated us to ho-hum near luxury interiors on a supreme chassis and a supreme price. 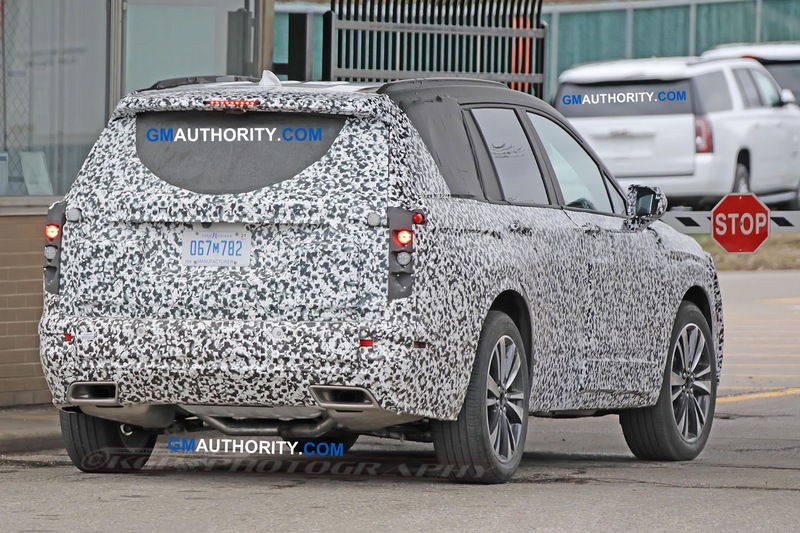 Then there was the incomplete messaging about the CT6’s imminent death…..maybe-but-we’re-exploring-options debacle. 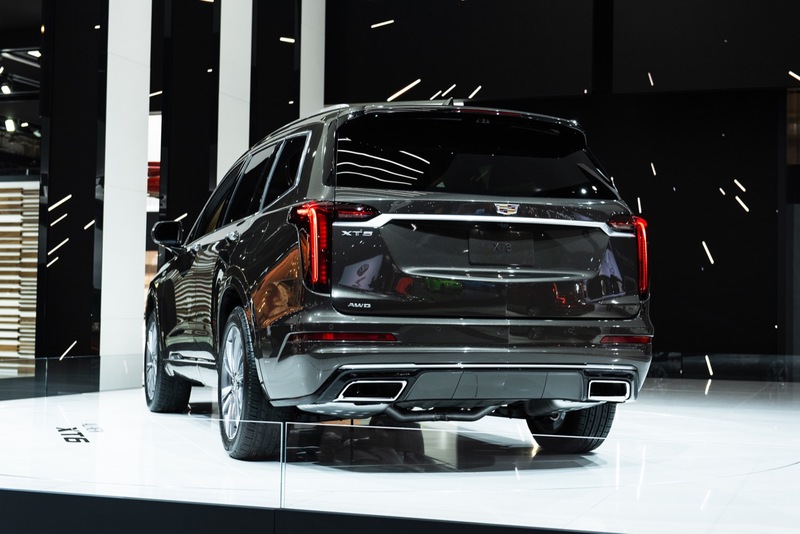 Maybe it’s time to had Cadillac over to someone who will not compromise on the good. 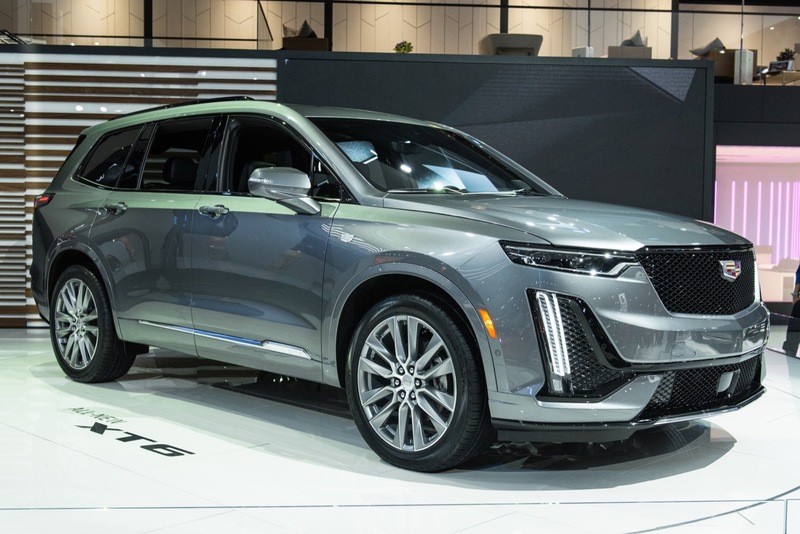 Maybe it’s time to go upmarket with far better but also fewer products with a higher profit margin so you don’t have to infuse GMC and Chevy into Cadillacs.